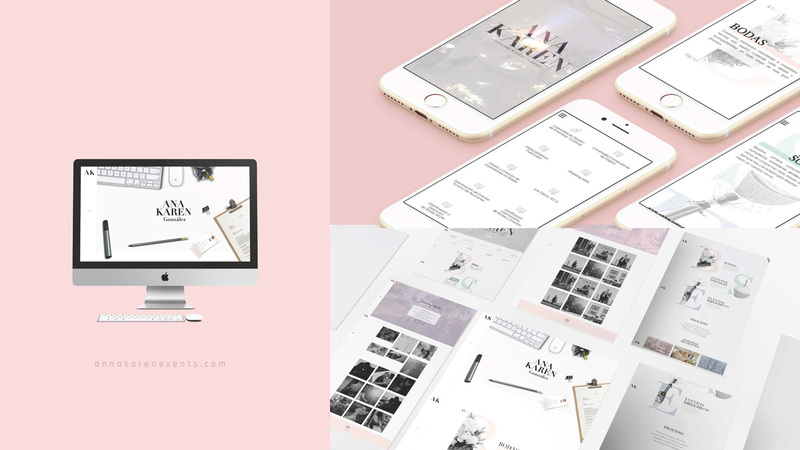 × Who we are Our representations Contact us! 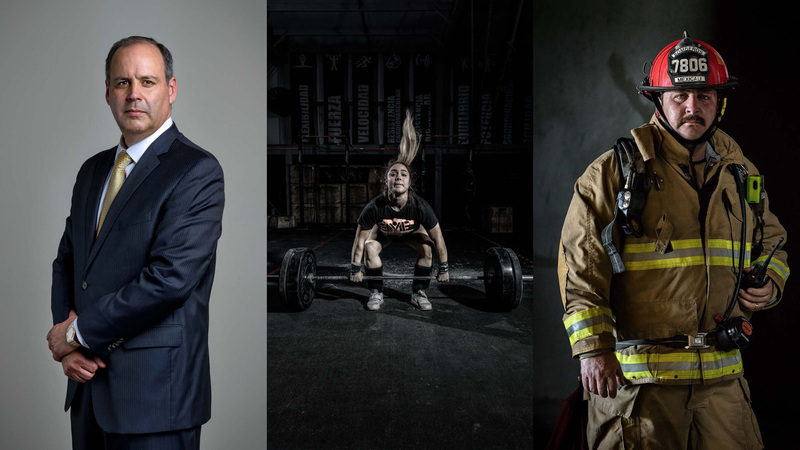 Who we are Our representations Contact us! 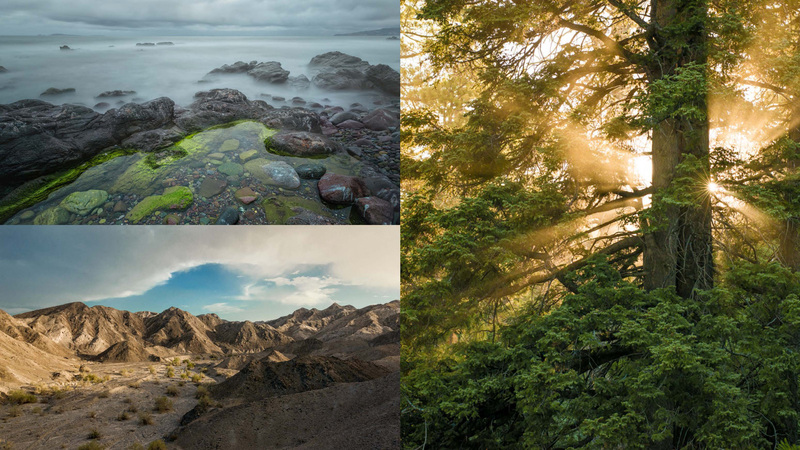 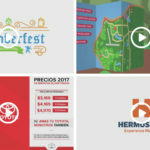 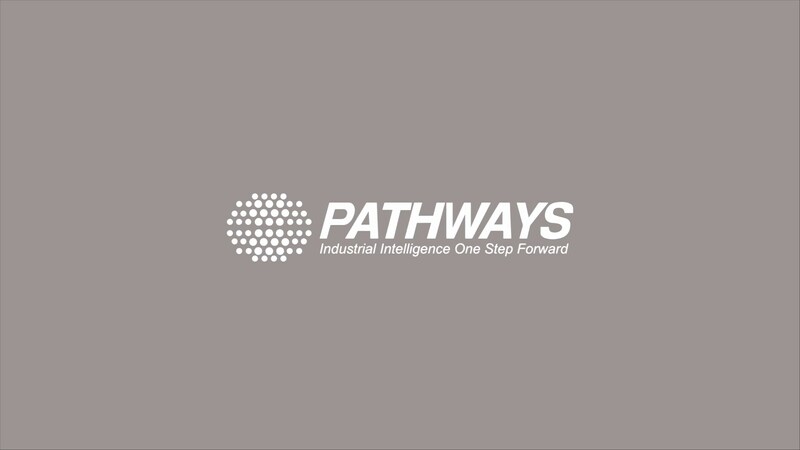 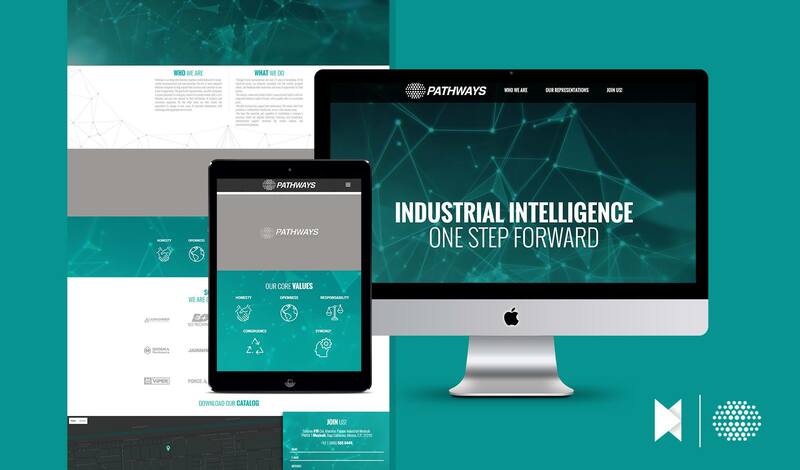 Pathways is an integrated business solutions model dedicated to brand-market accompaniment and representation. 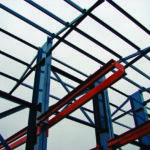 We aim to work alongside different companies to help expand their business and transition to new areas of opportunity. 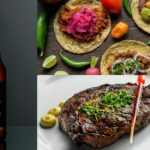 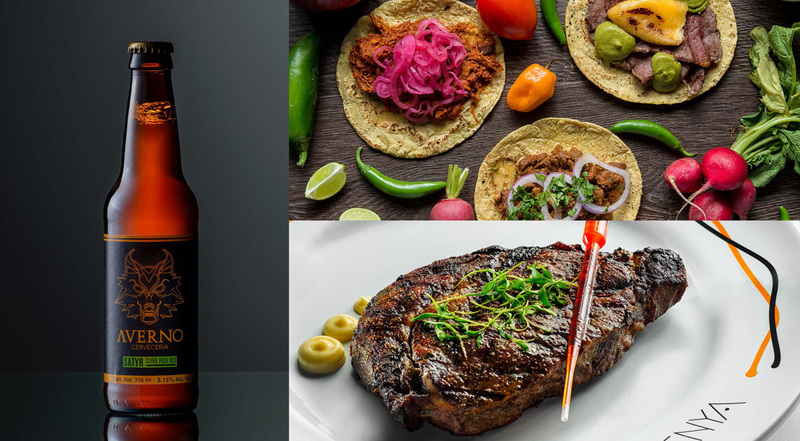 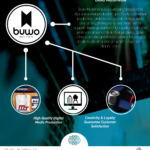 Through brand representation, we offer companies a secure placement in emerging markets to present brands with a cost effective and risk free solution to their distribution of products and commerce expansion. 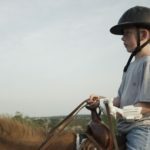 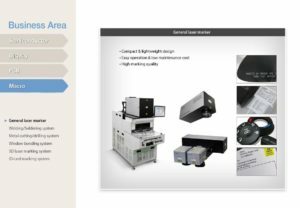 On the other hand, we offer clients the opportunity to engage in new areas of improved development, with technology and equipment now at reach. 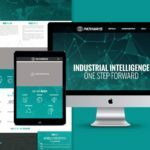 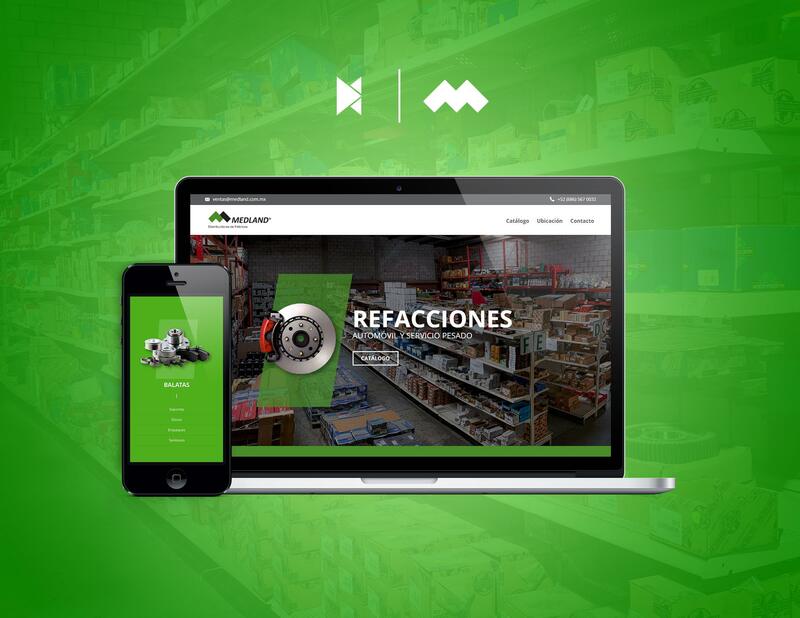 •Through brand representation and over 25 years of knowledge of the industrial sector, we integrate companies into the market, prospect clients, and feedback their necessities and areas of opportunity for both parties. 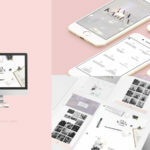 •We analyze, review and attend a client's necessity and tackle it with our integrated solutions model of brands, with a quality offer at a reasonable price. 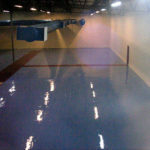 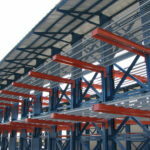 •We offer local service, support and maintenance. 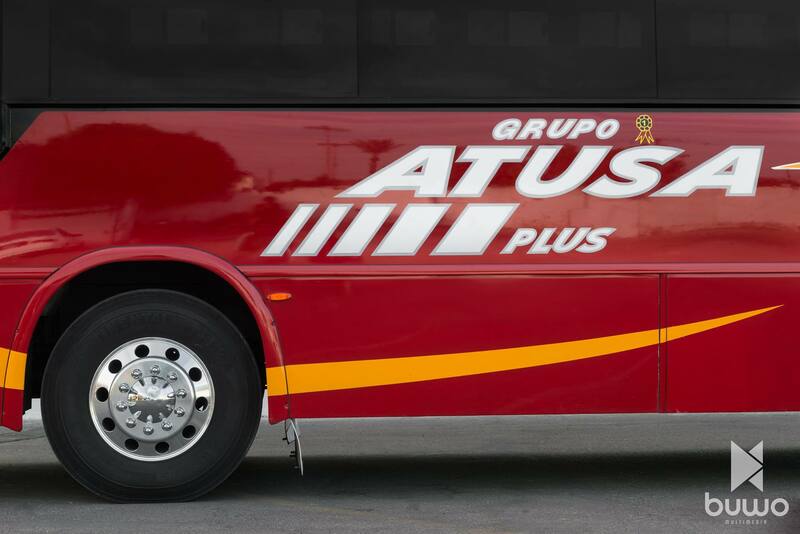 This means, that if any problems or malfunctions should arise, we are a few minutes away. 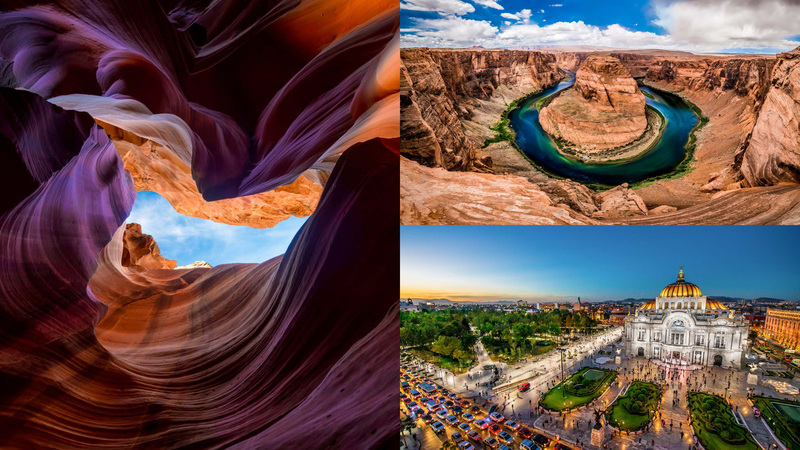 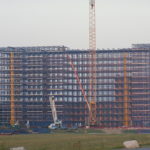 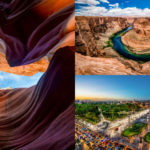 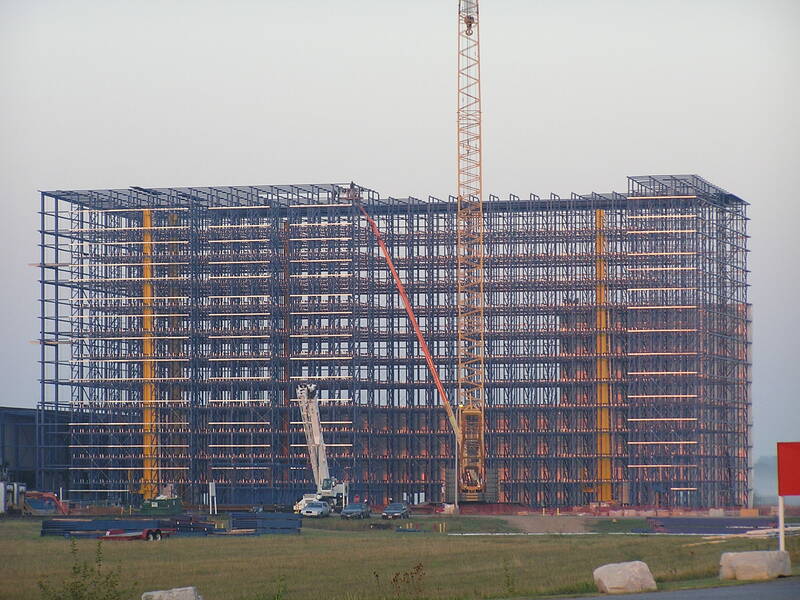 •We have the expertise and capability of constituting a company's presence, which can englobe sheltering, financing, land prospection, administrative support, structural aid, market analysis, and communicative planning. 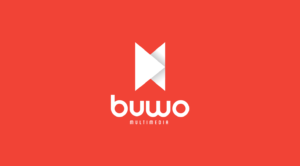 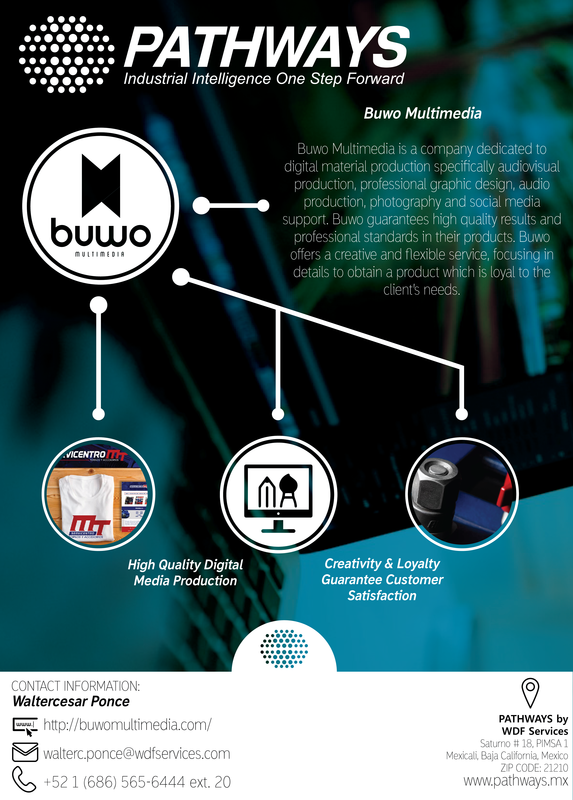 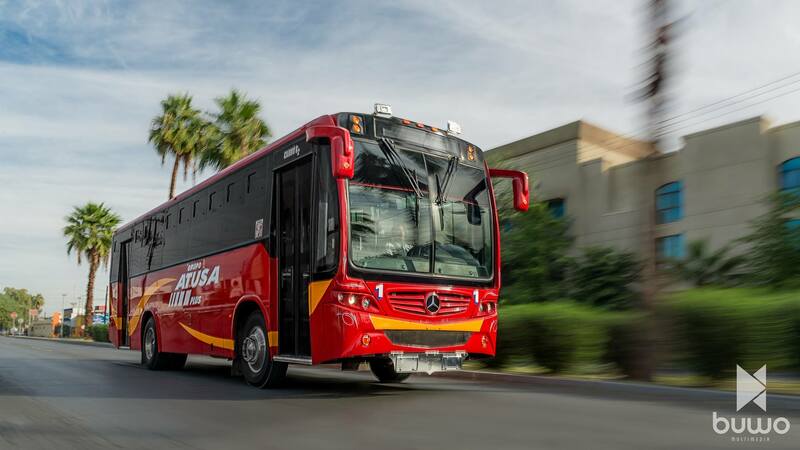 BUWO is capable of creating a company's image from the ground up. 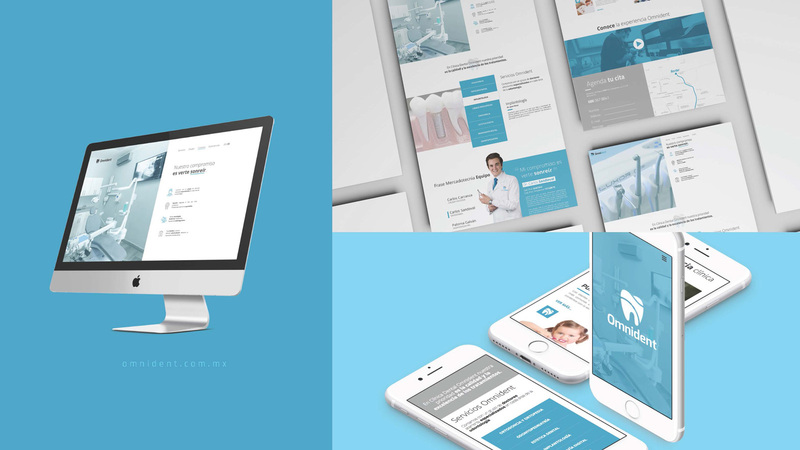 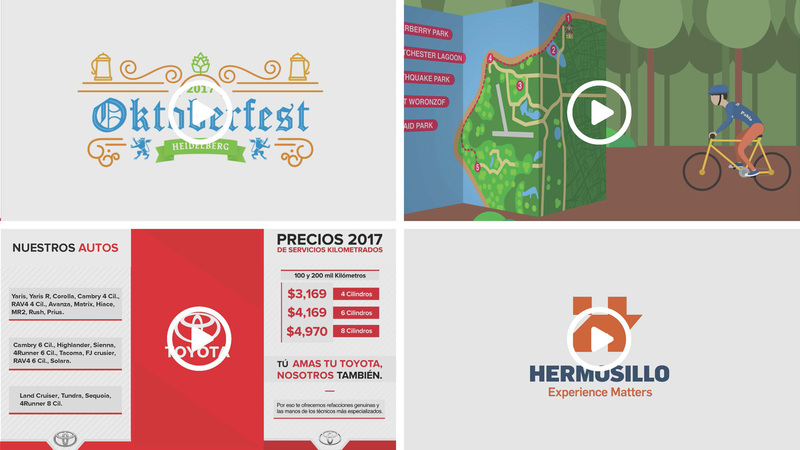 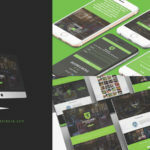 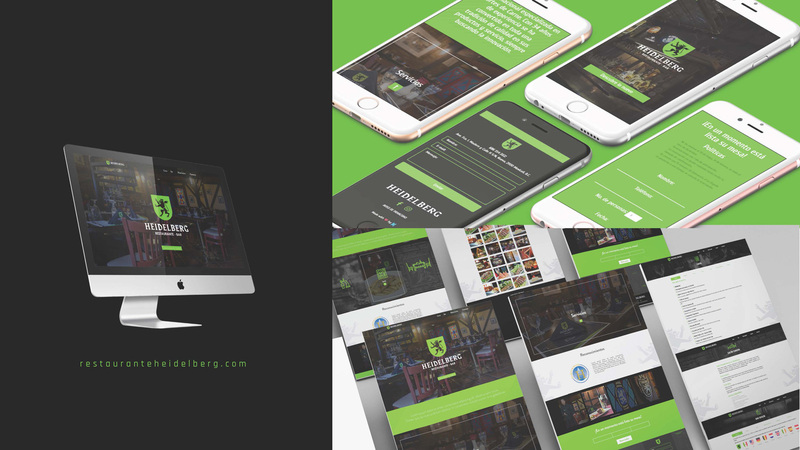 Offering design, web page development, animation, and audiovisual services, its quality of work and strategy have positioned it as one of the definitive choices in the market to make your business stand out. 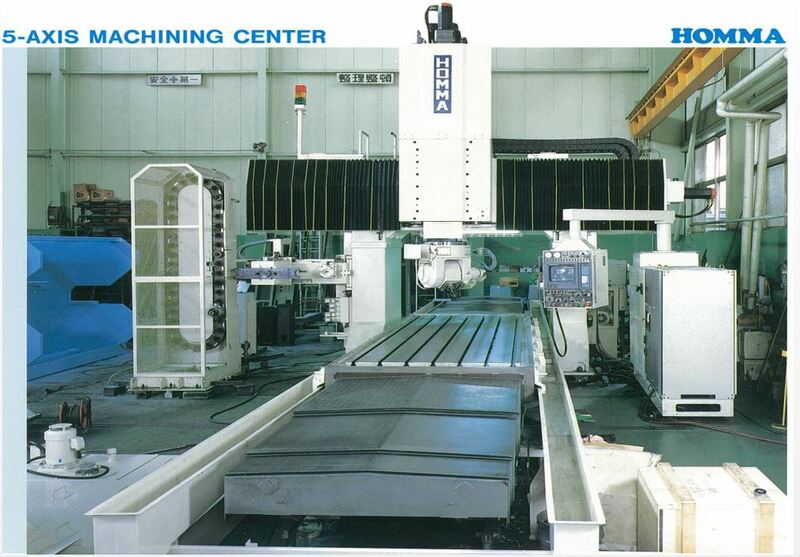 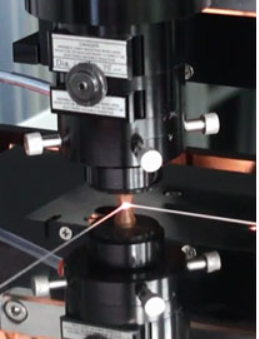 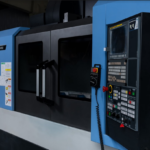 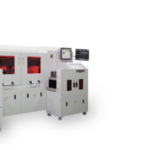 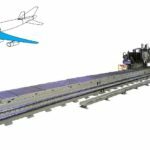 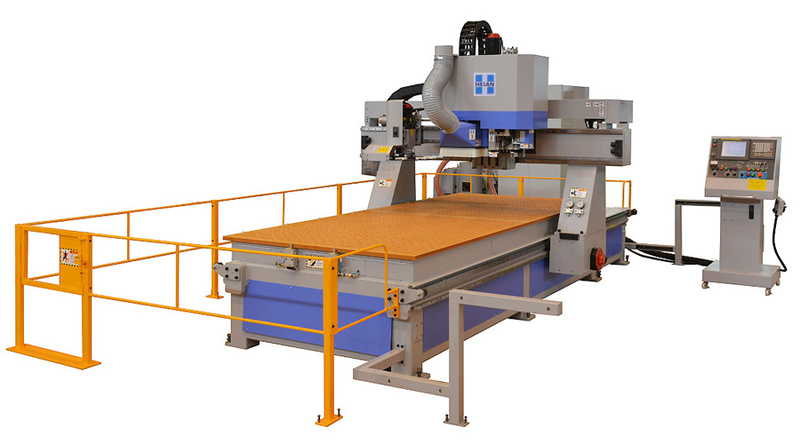 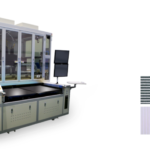 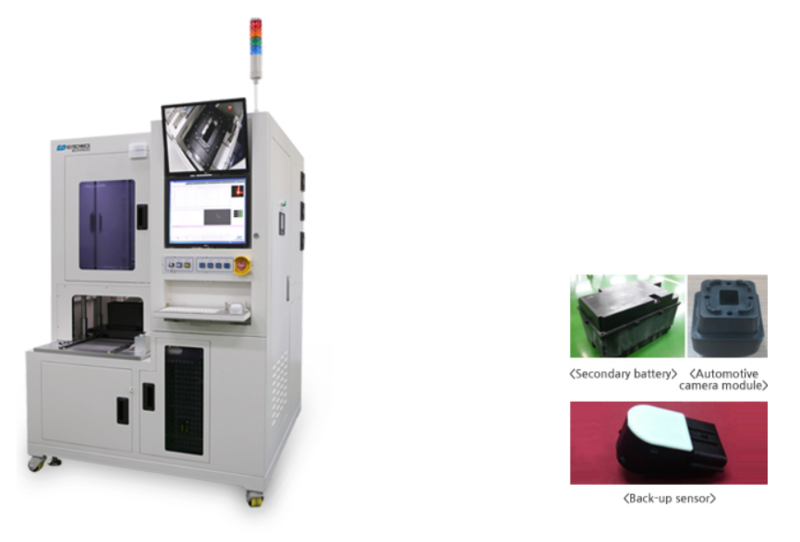 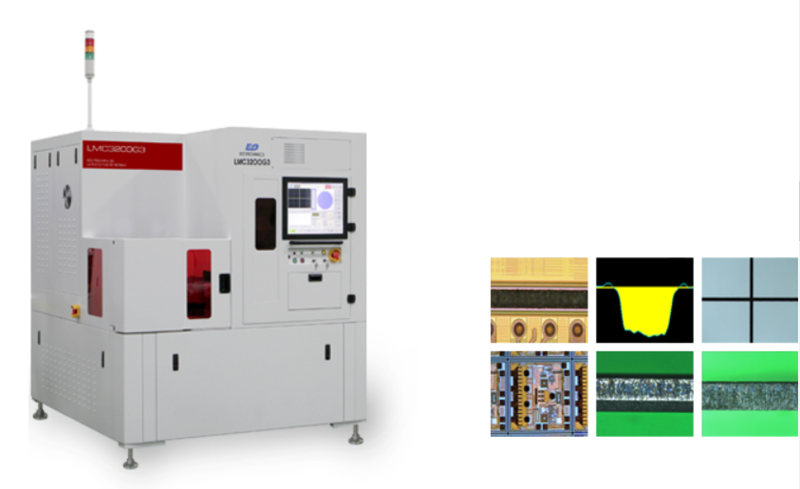 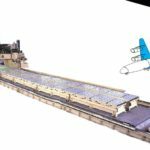 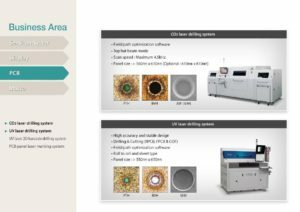 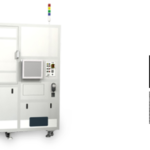 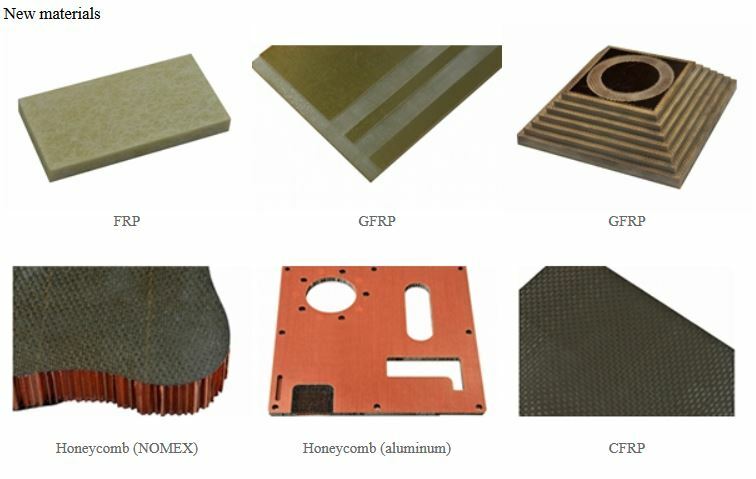 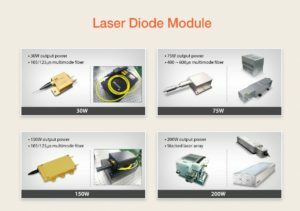 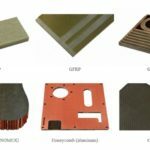 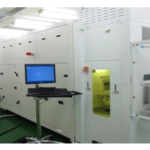 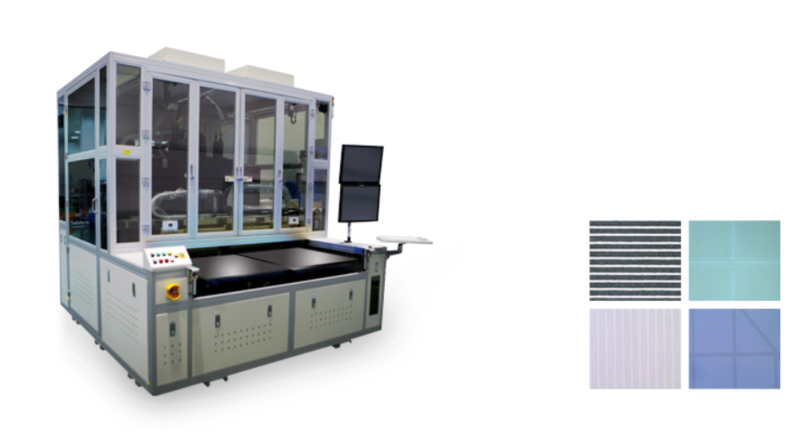 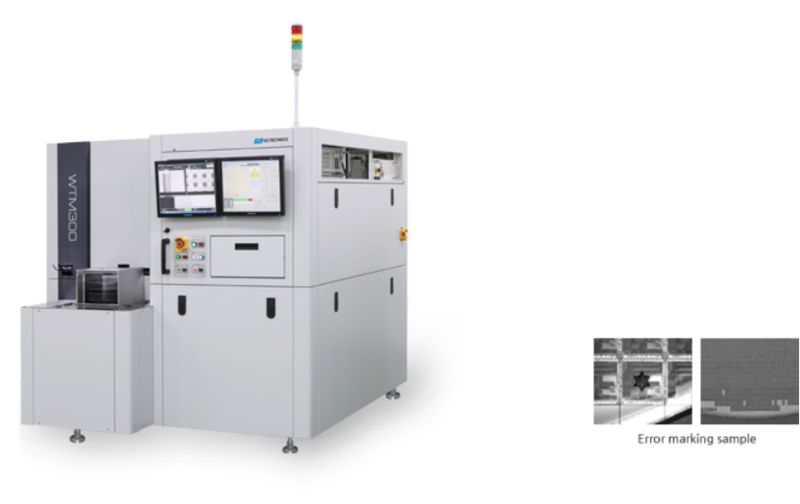 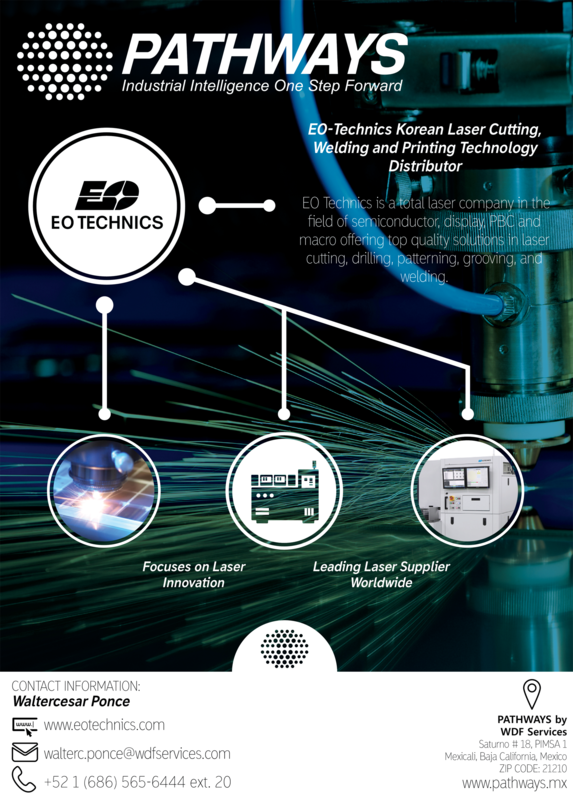 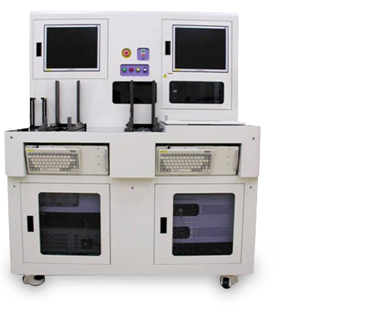 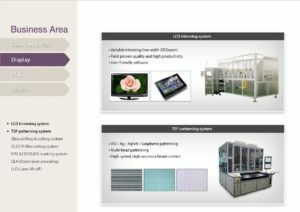 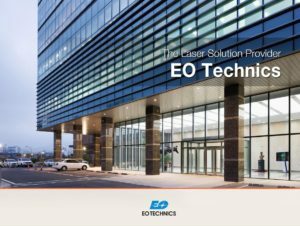 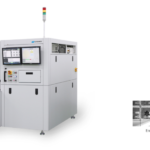 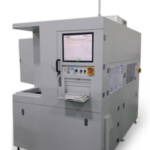 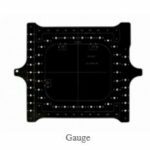 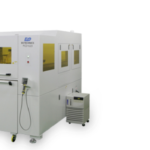 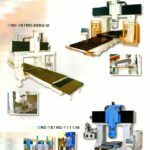 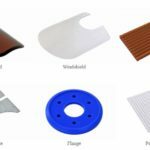 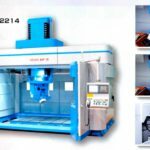 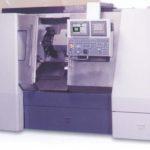 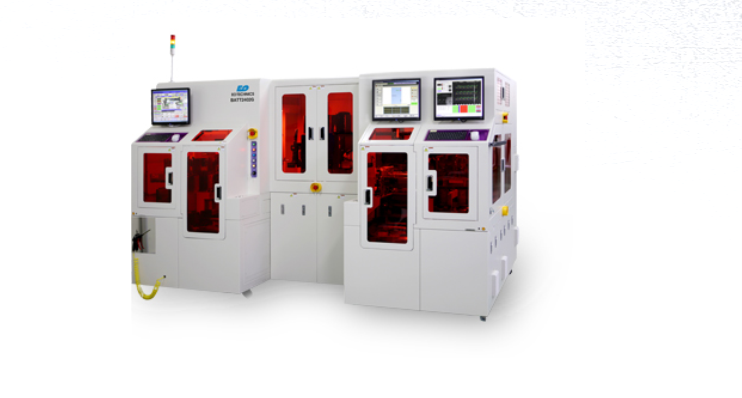 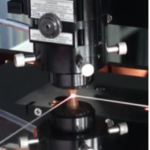 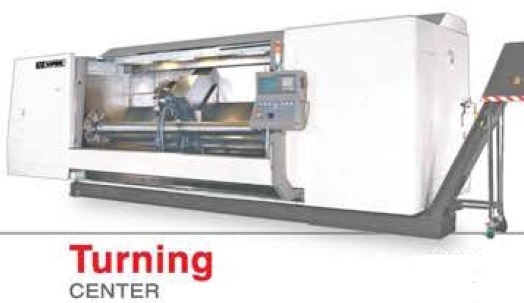 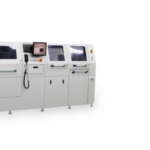 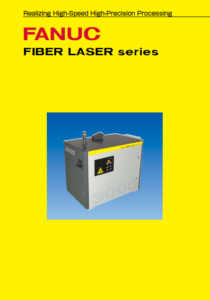 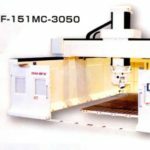 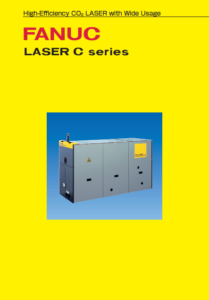 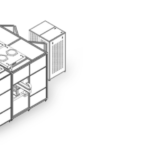 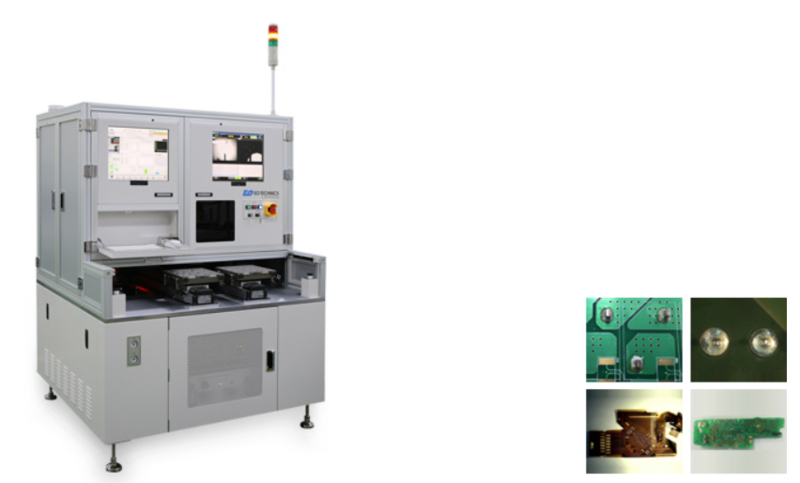 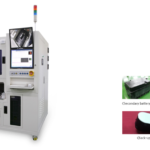 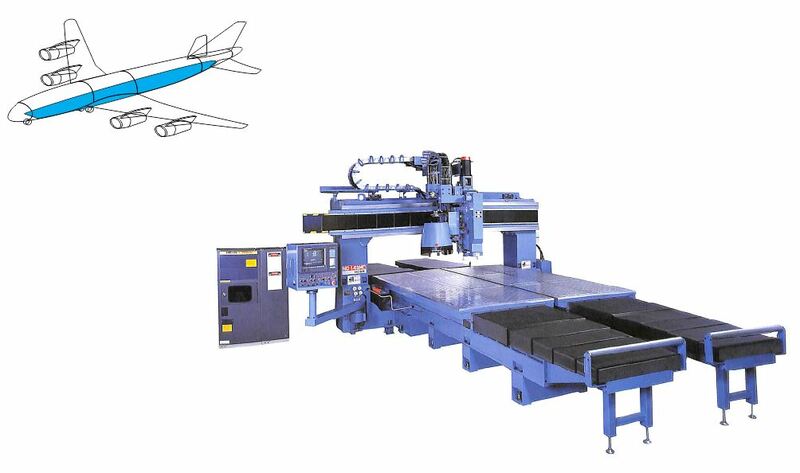 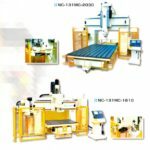 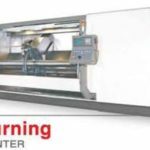 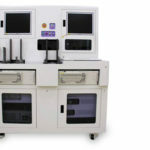 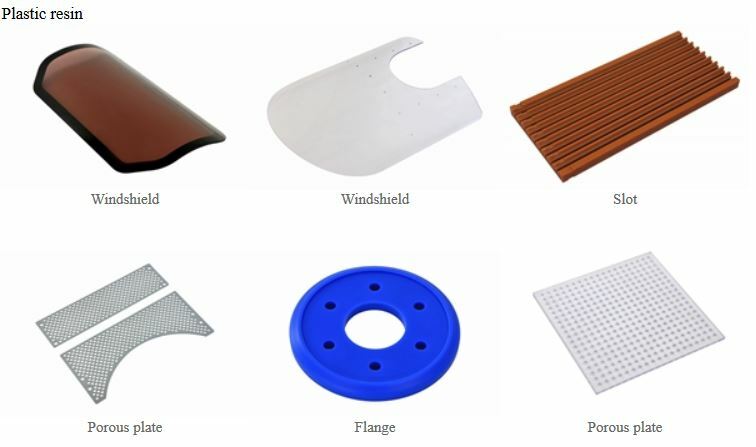 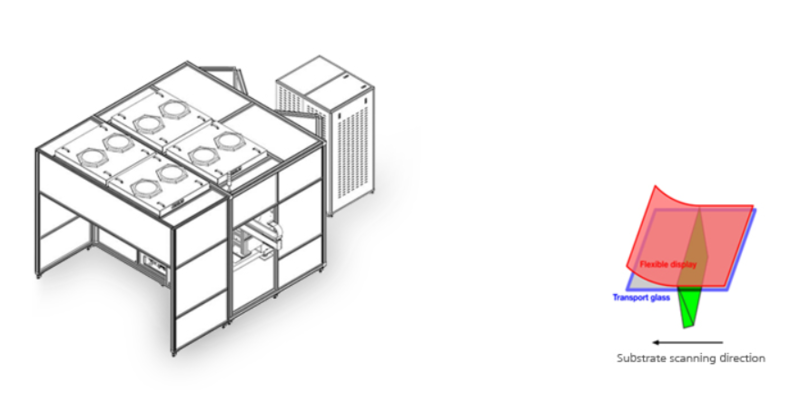 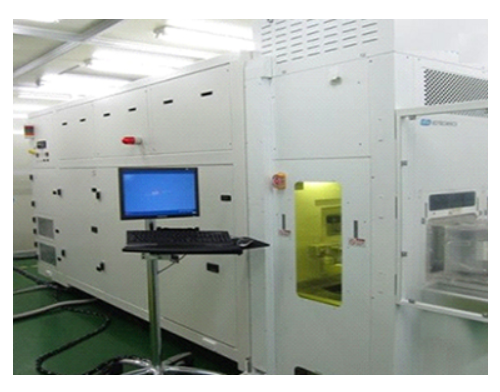 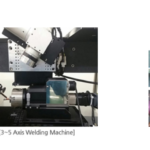 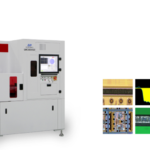 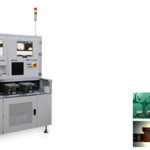 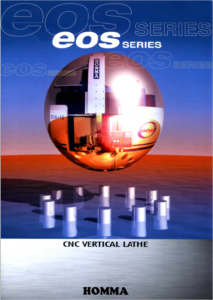 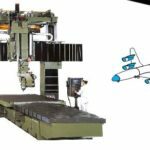 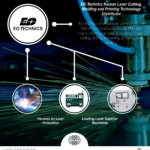 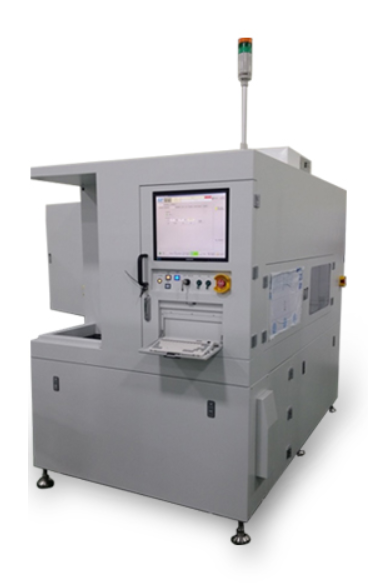 EO Technics is a total laser company in the field of semiconductor, display, PBC and macro offering top quality solutions in laser cutting, drilling, patterning, grooving,and welding. 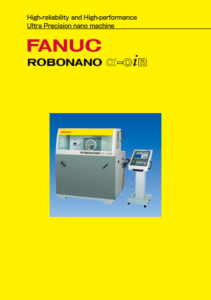 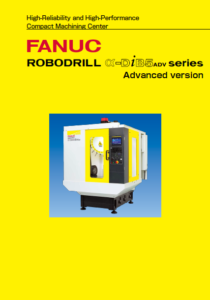 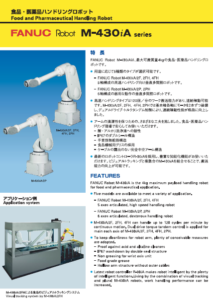 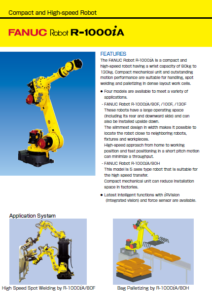 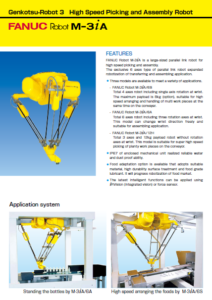 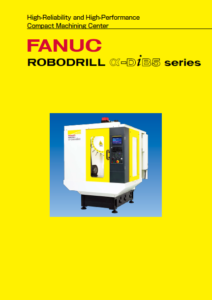 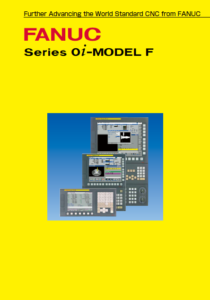 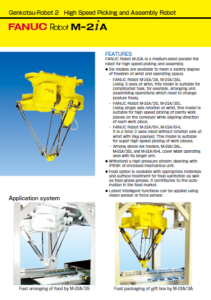 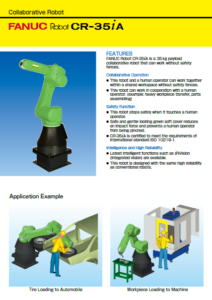 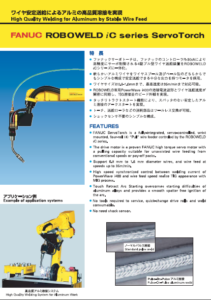 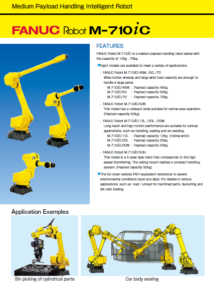 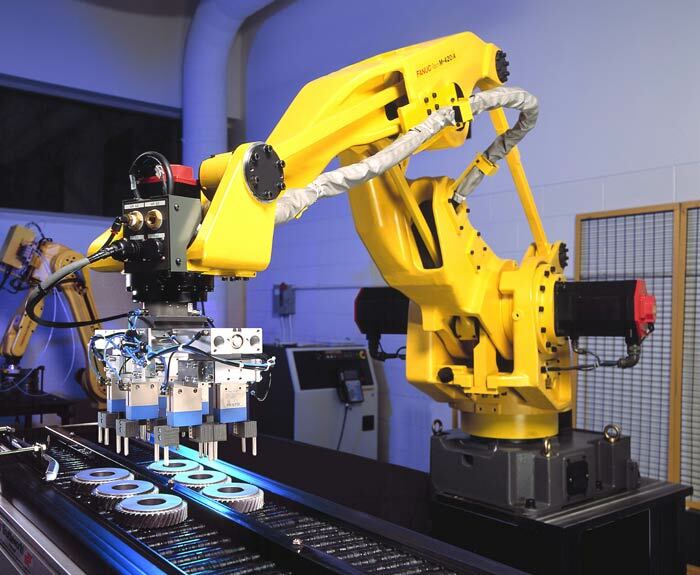 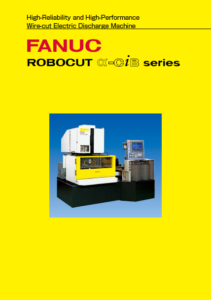 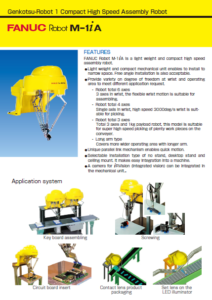 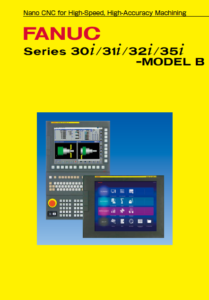 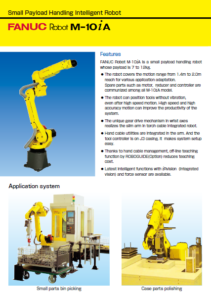 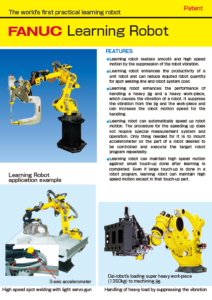 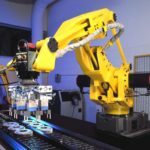 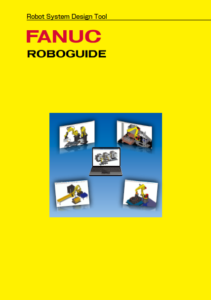 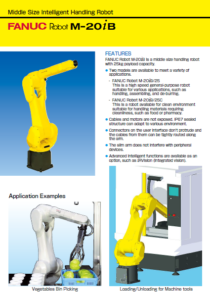 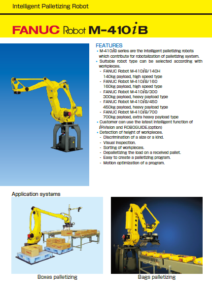 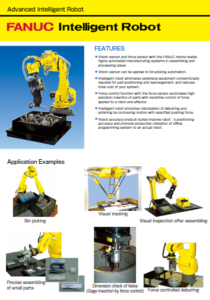 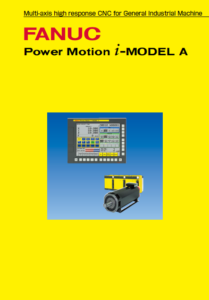 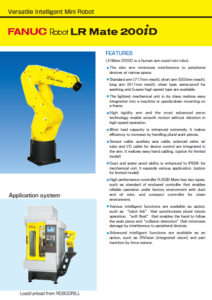 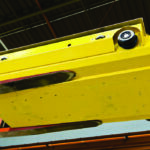 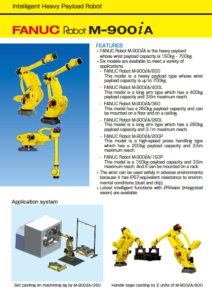 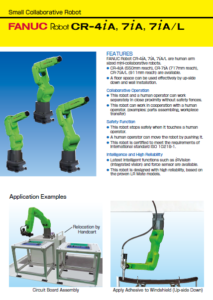 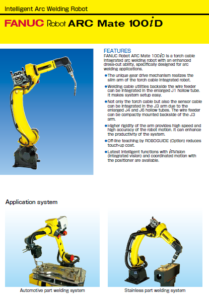 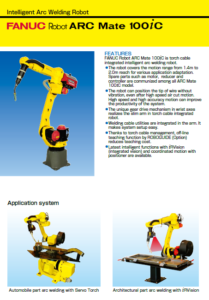 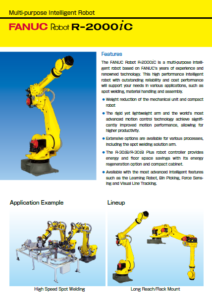 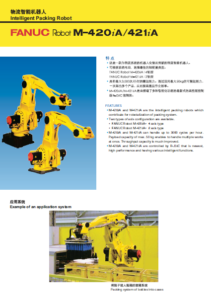 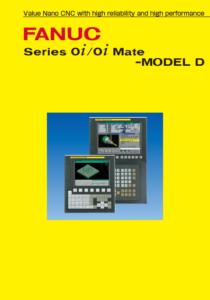 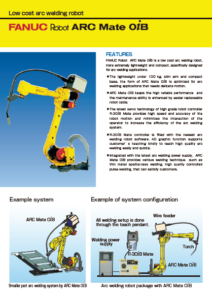 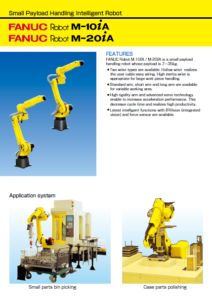 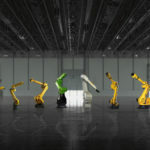 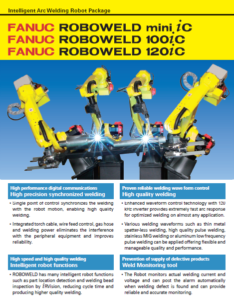 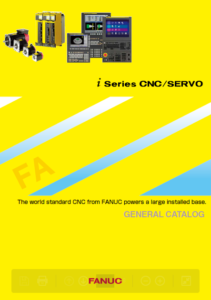 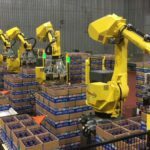 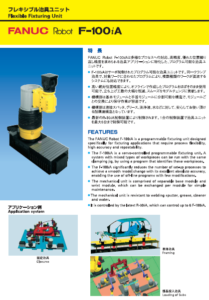 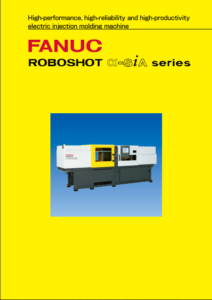 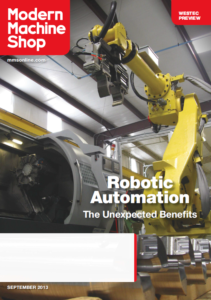 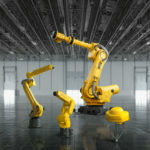 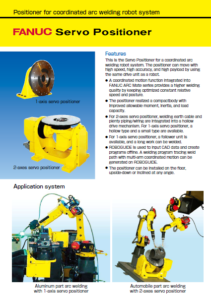 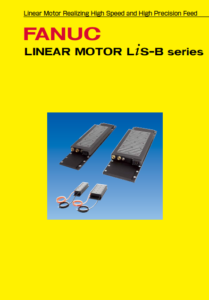 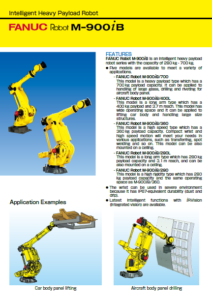 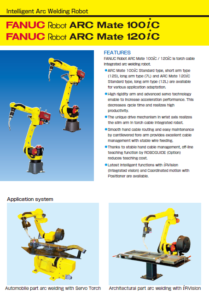 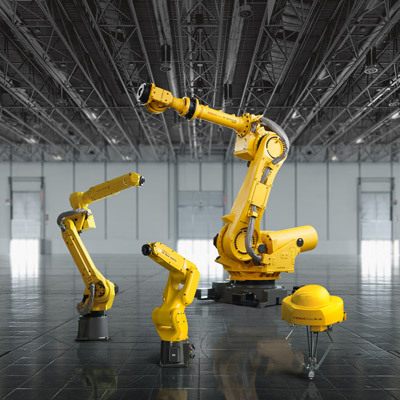 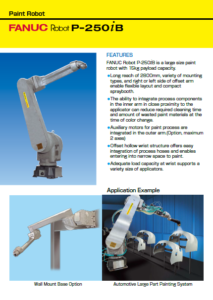 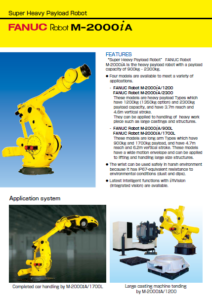 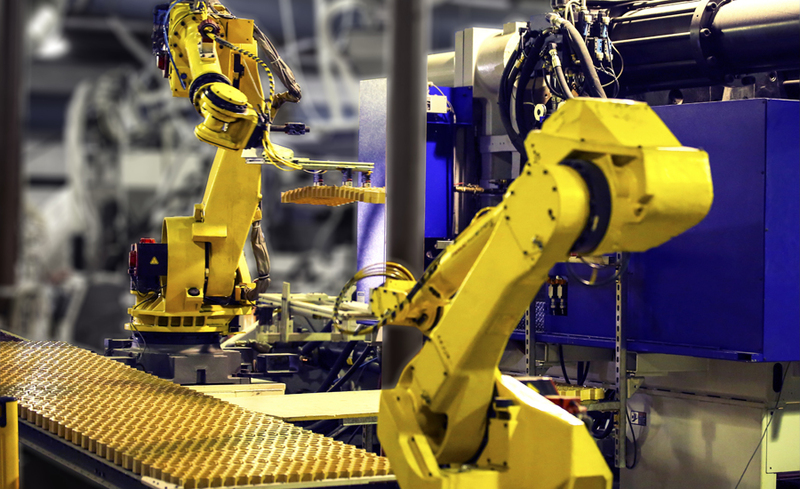 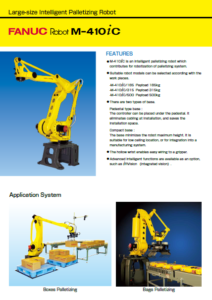 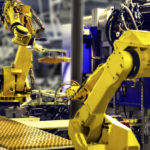 FANUC is the global leader in automation for manufacturing. 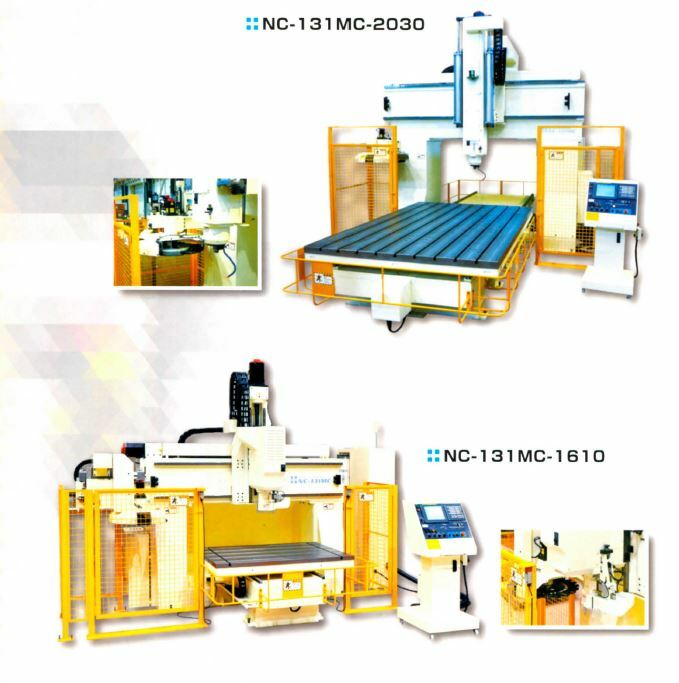 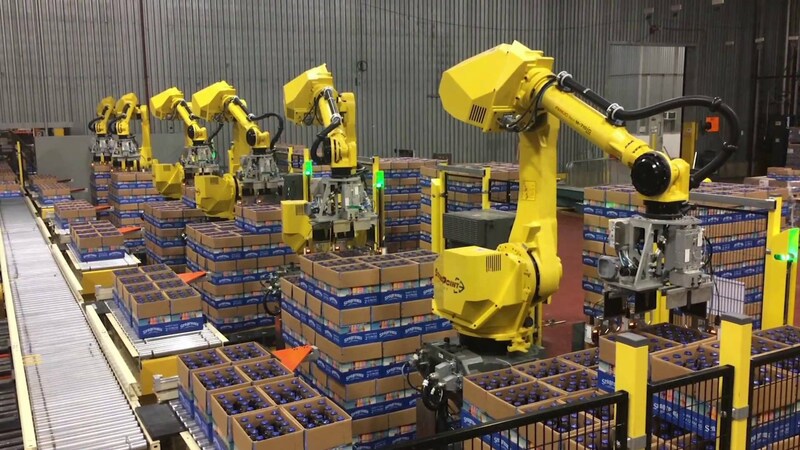 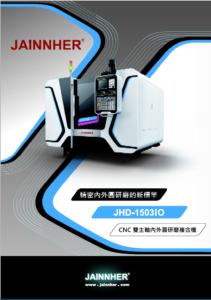 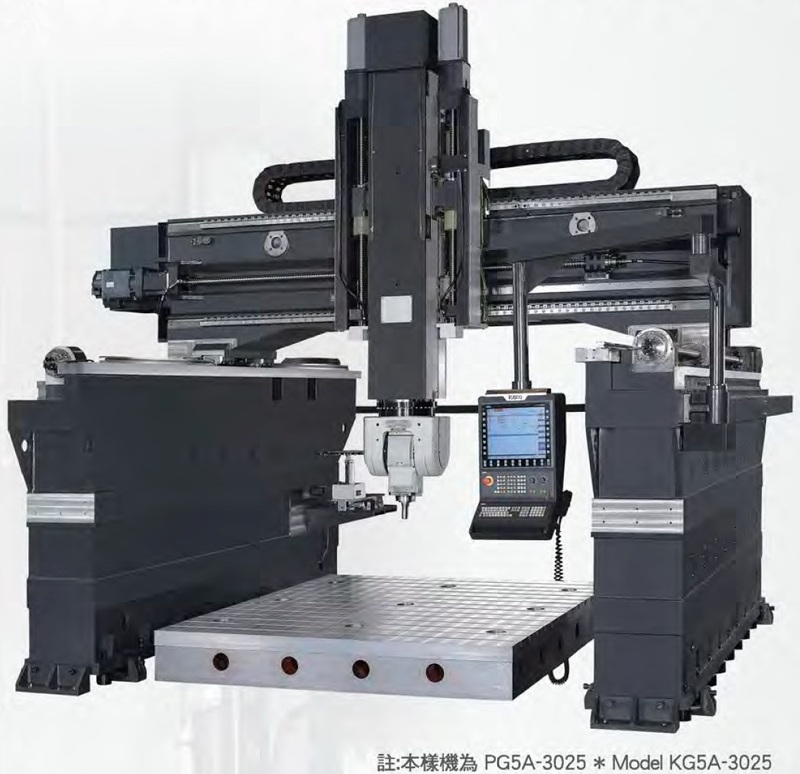 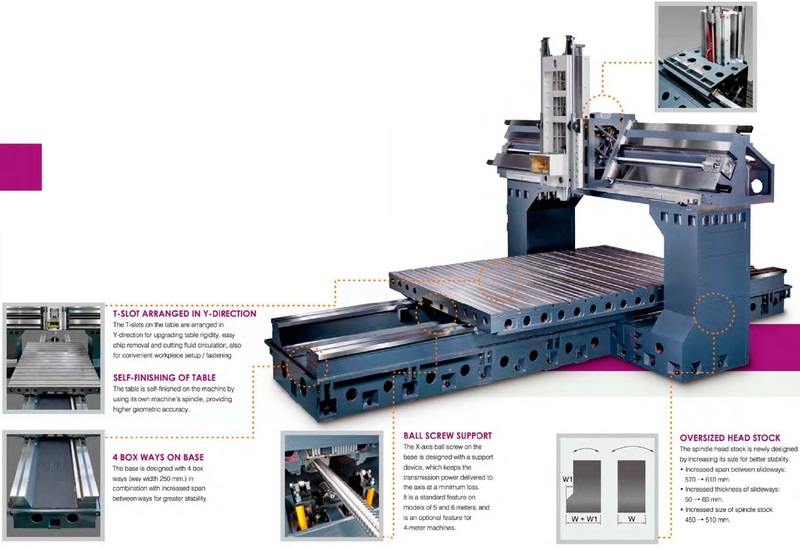 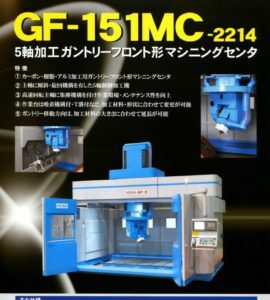 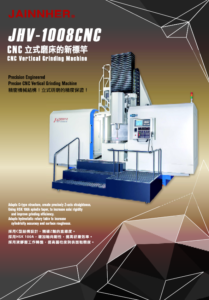 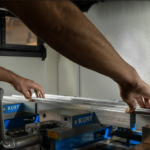 Our innovative CNC, Robot and ROBOMACHINE product lines are world renowned for driving customers to be more efficient, reliable and - most importantly - more profitable. 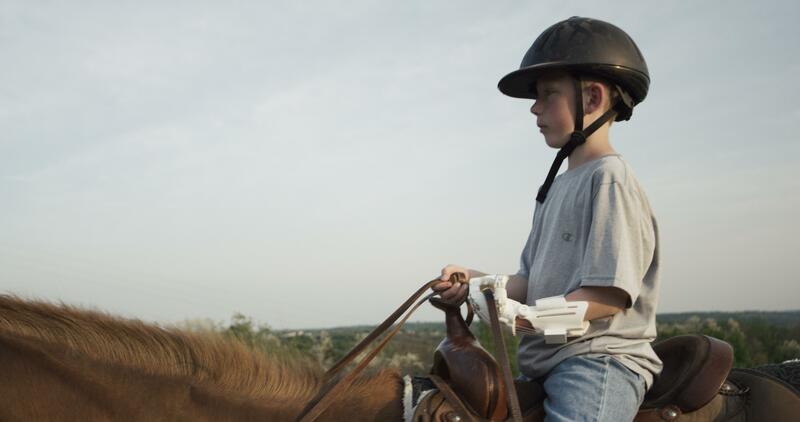 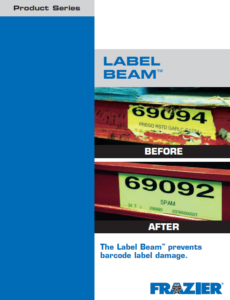 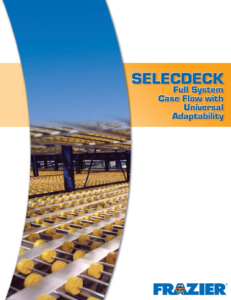 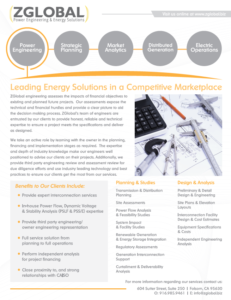 Coupled with our proven expertise, we provide performance our customers can rely on. 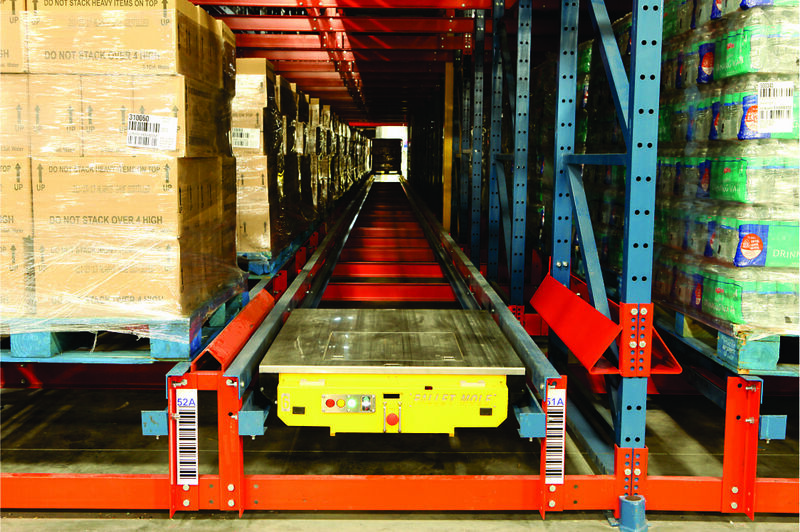 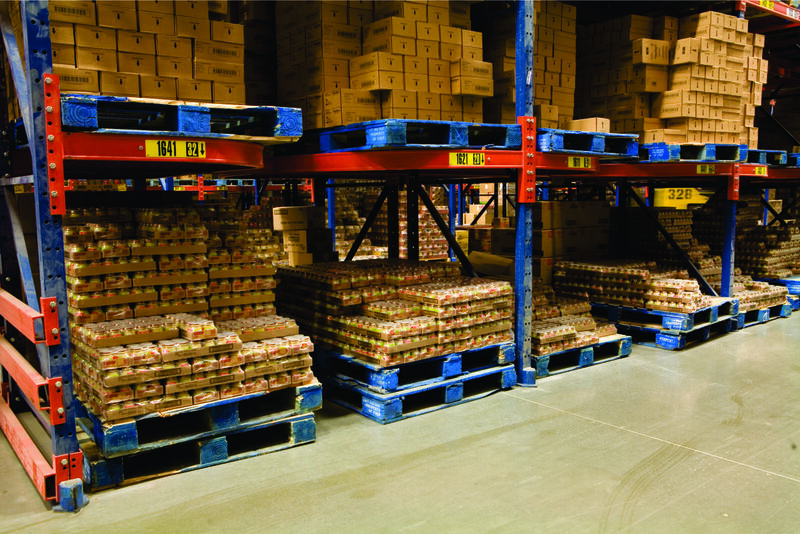 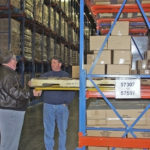 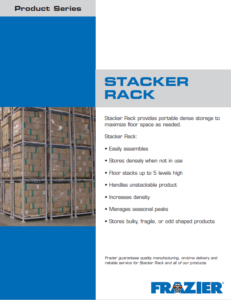 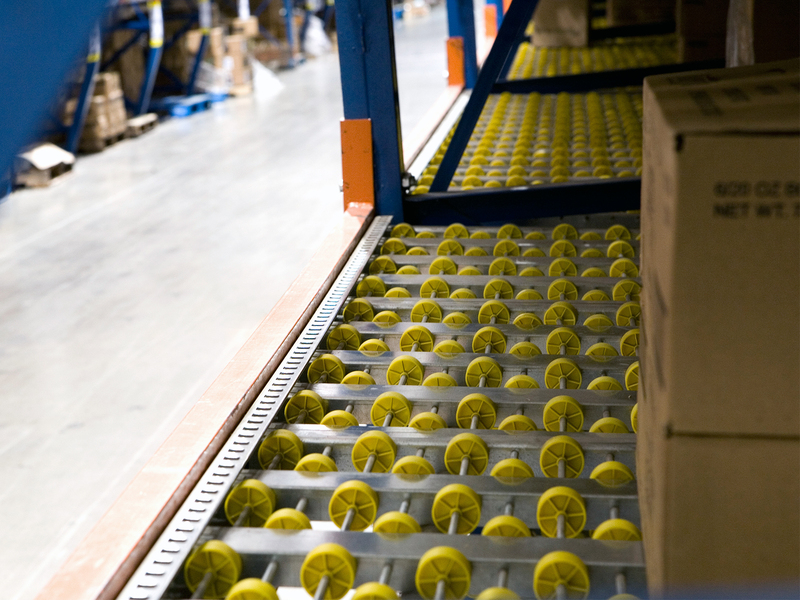 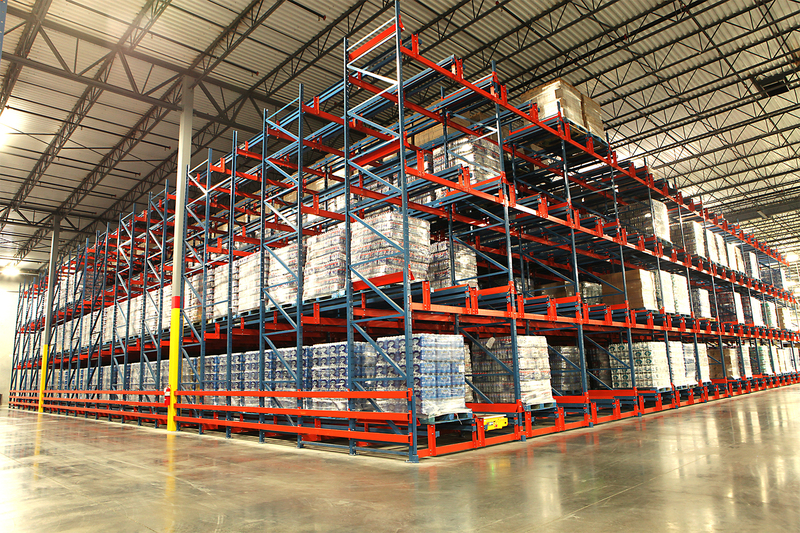 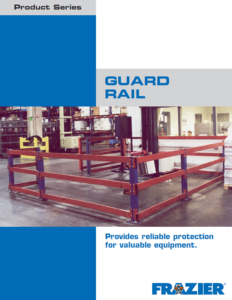 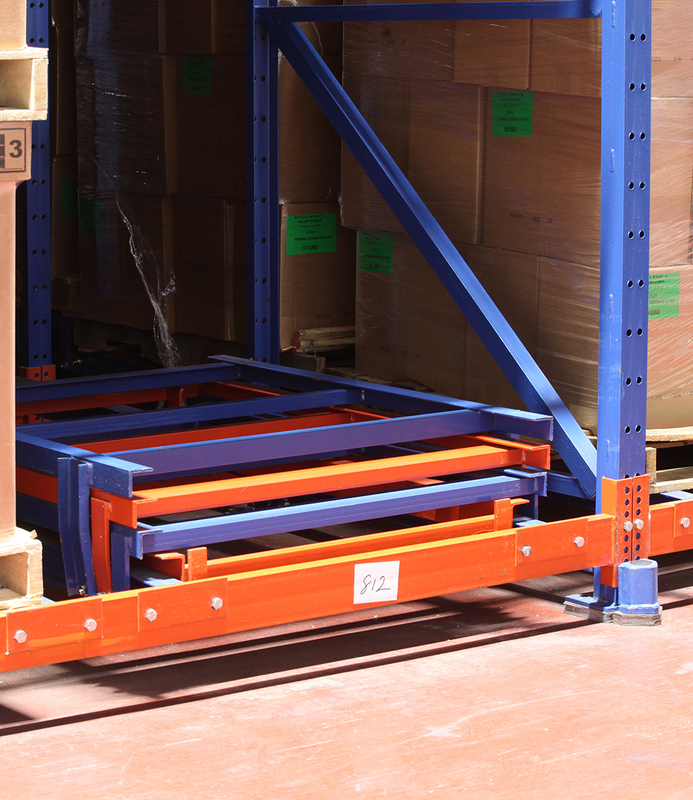 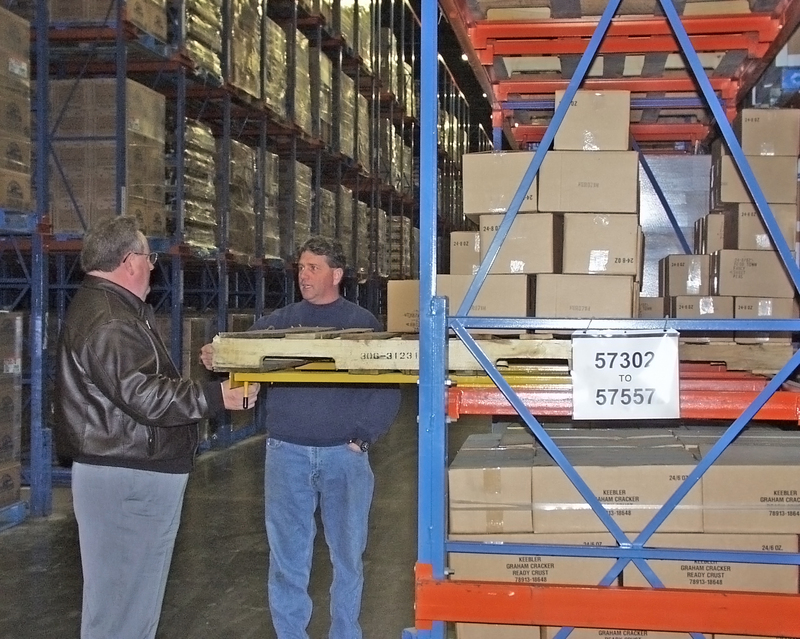 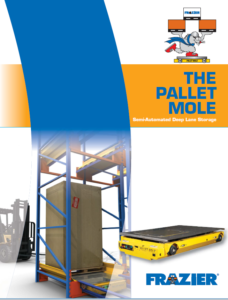 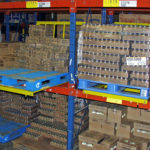 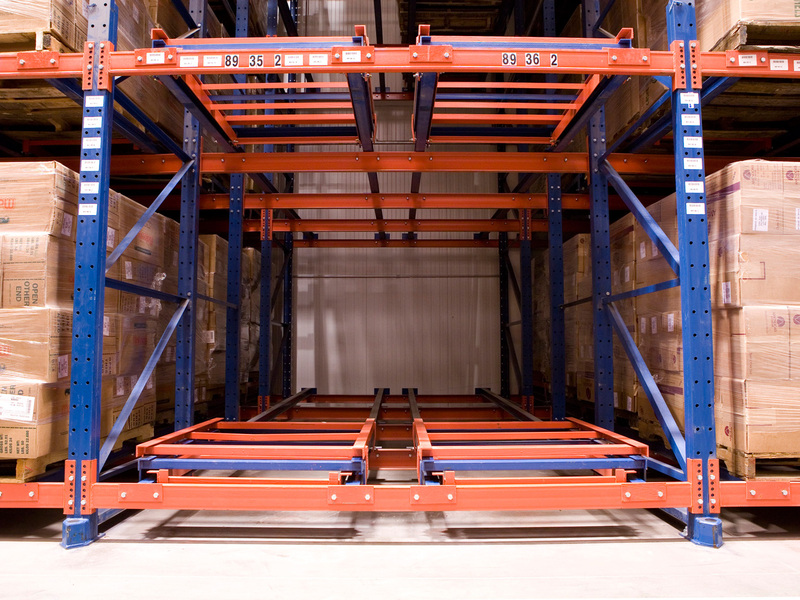 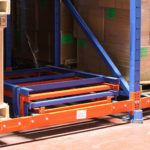 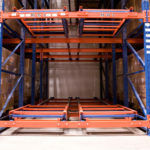 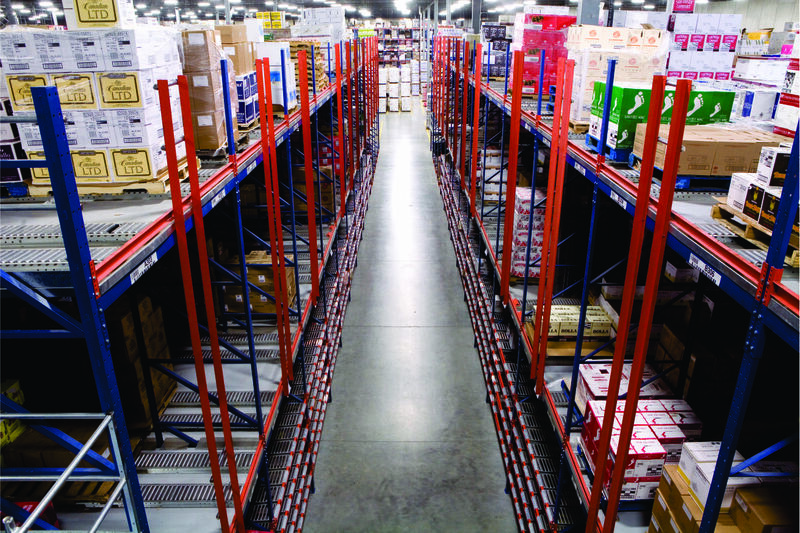 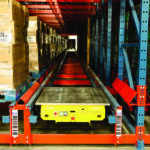 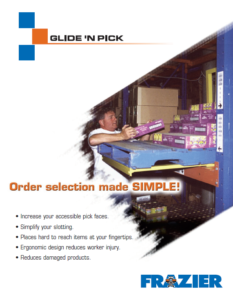 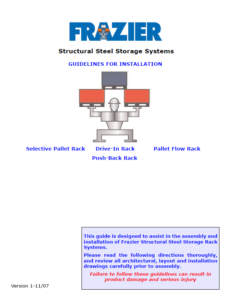 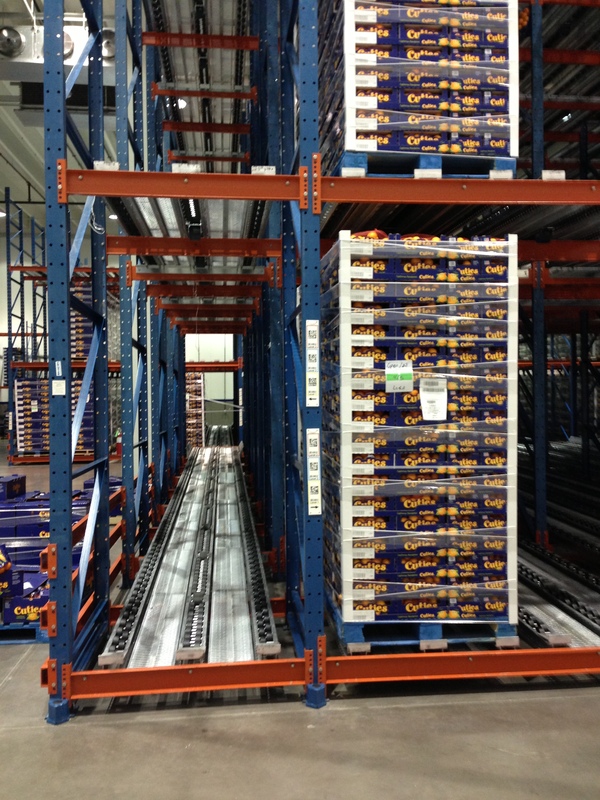 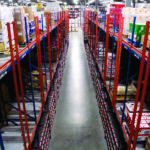 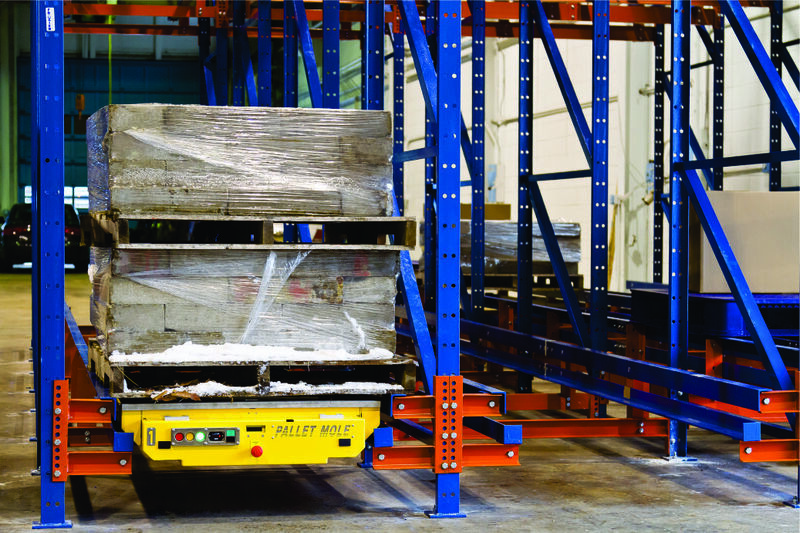 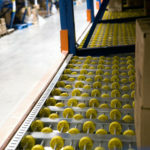 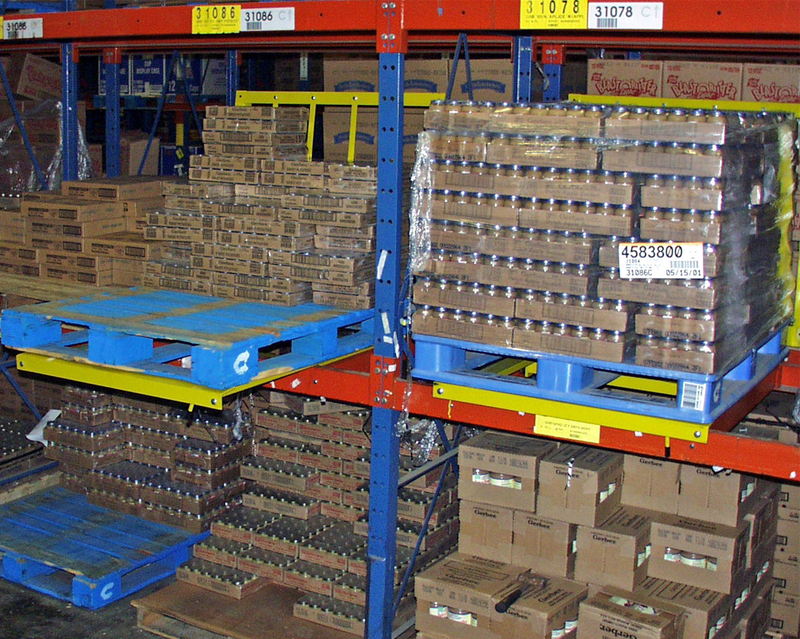 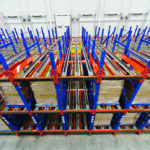 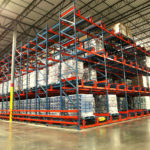 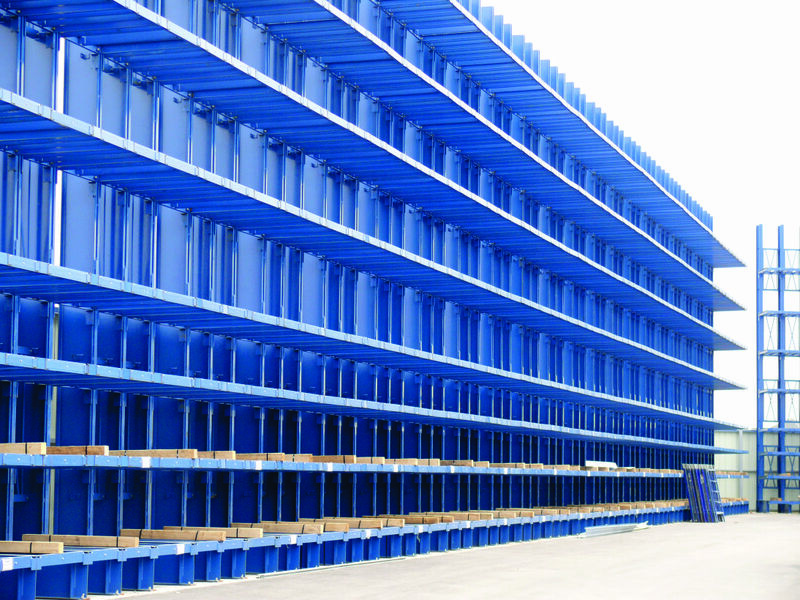 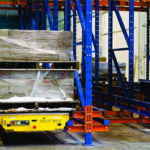 FRAZIER's pallet rack systems are quickly recognized for their durability and custom engineered design. 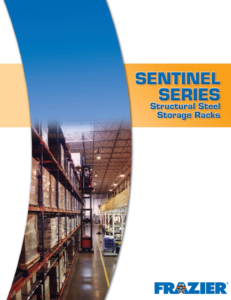 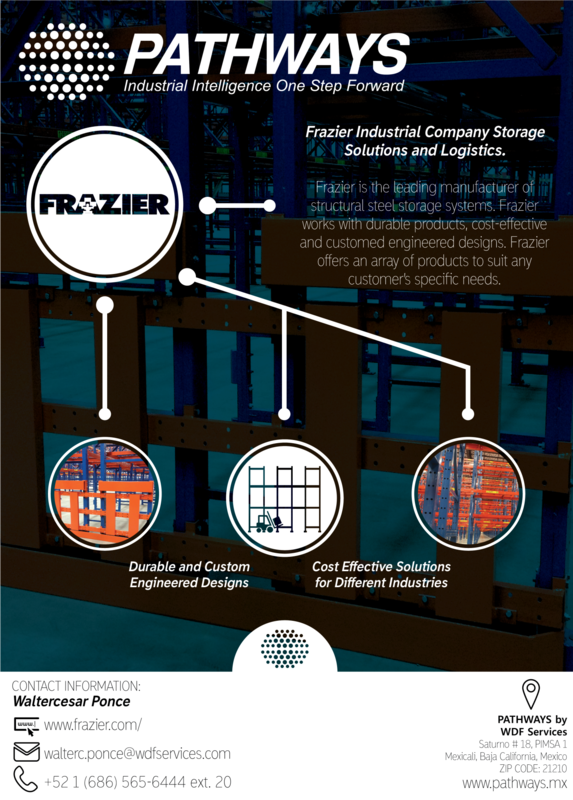 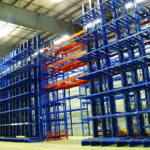 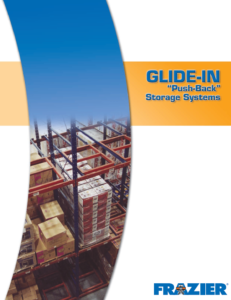 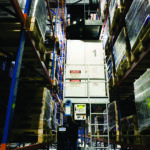 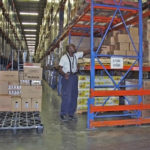 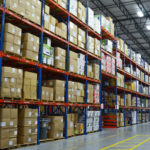 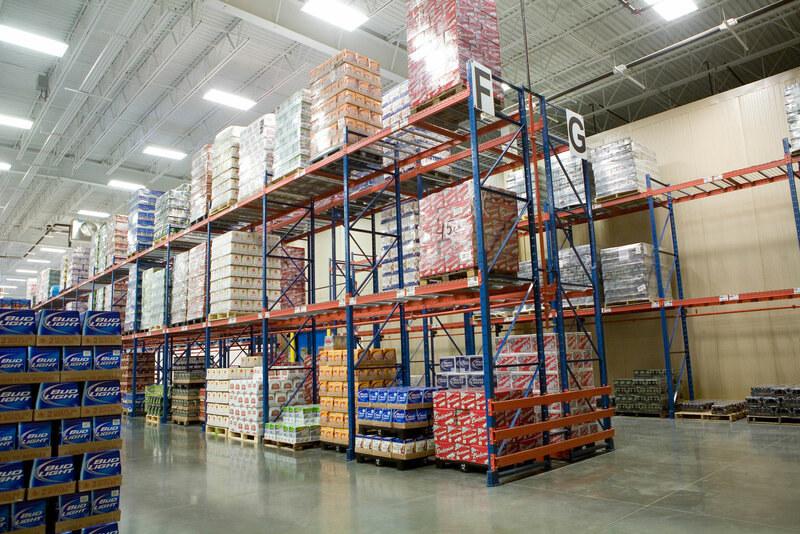 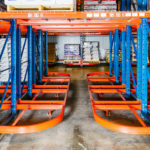 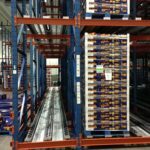 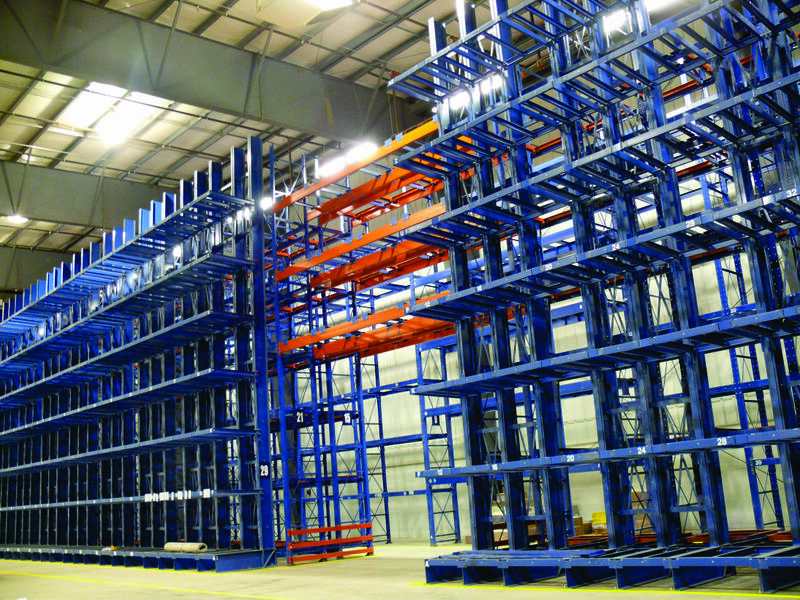 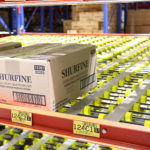 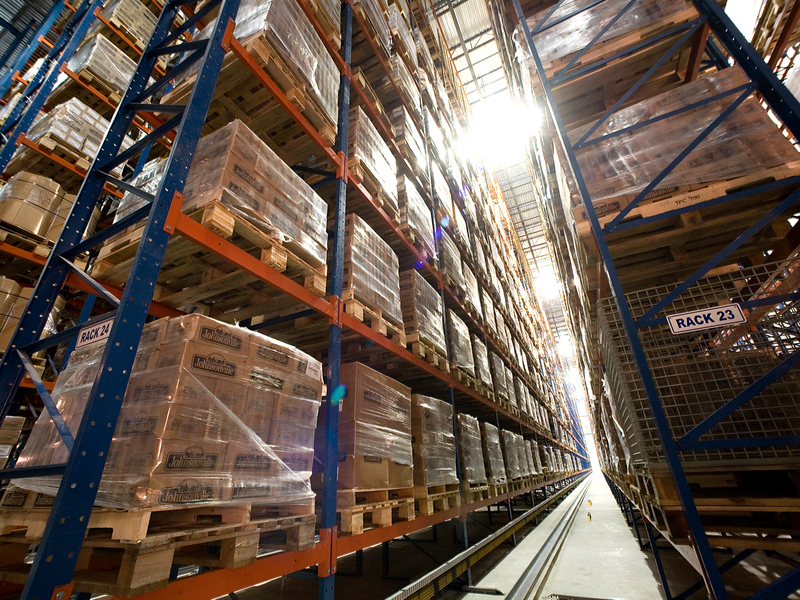 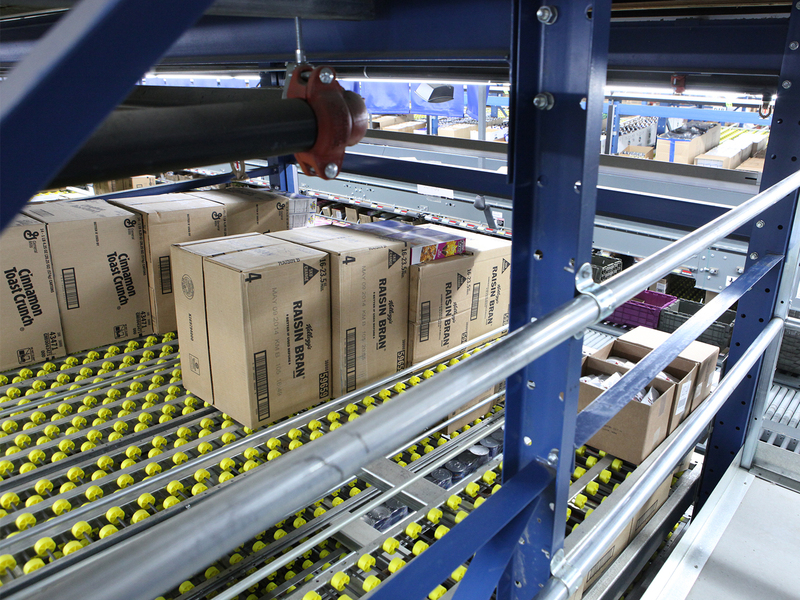 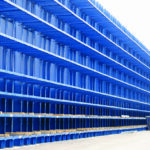 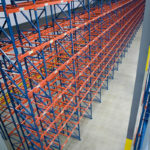 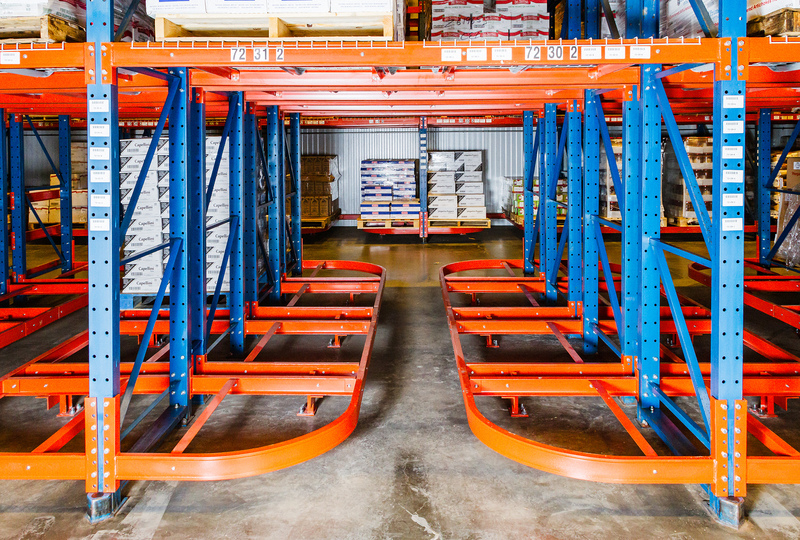 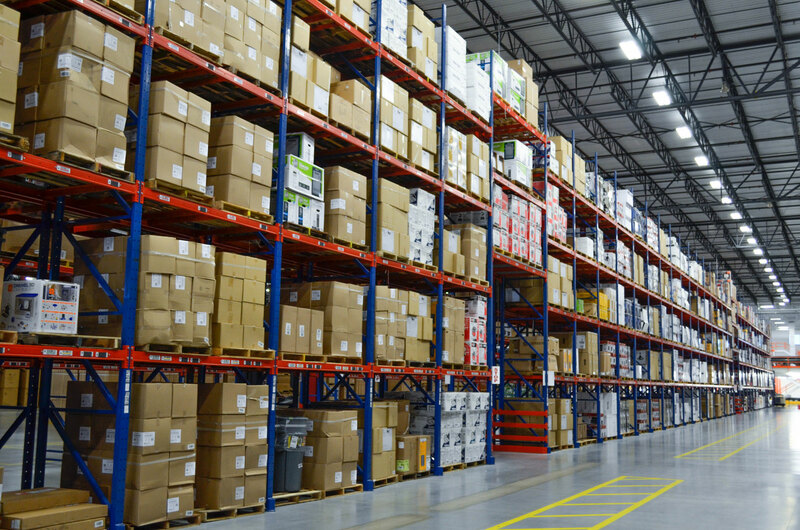 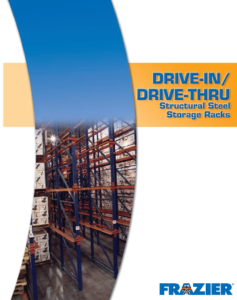 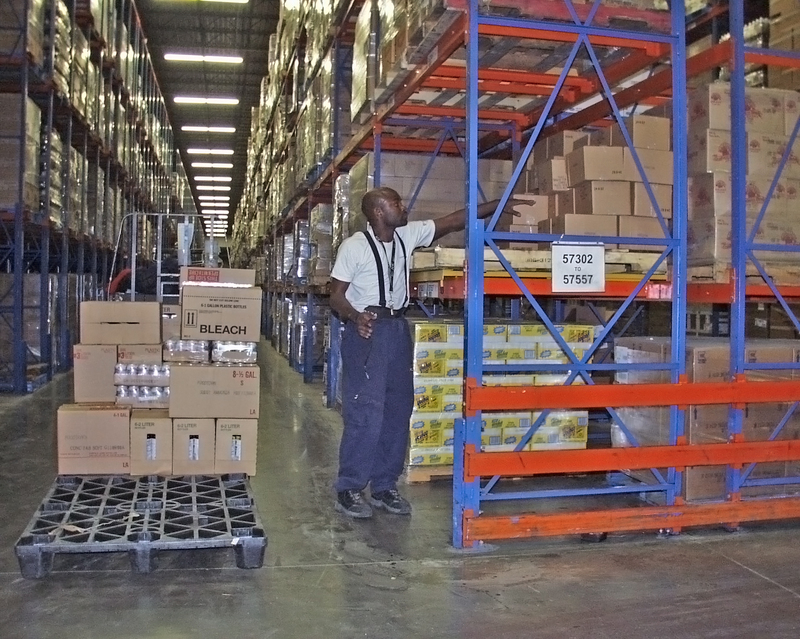 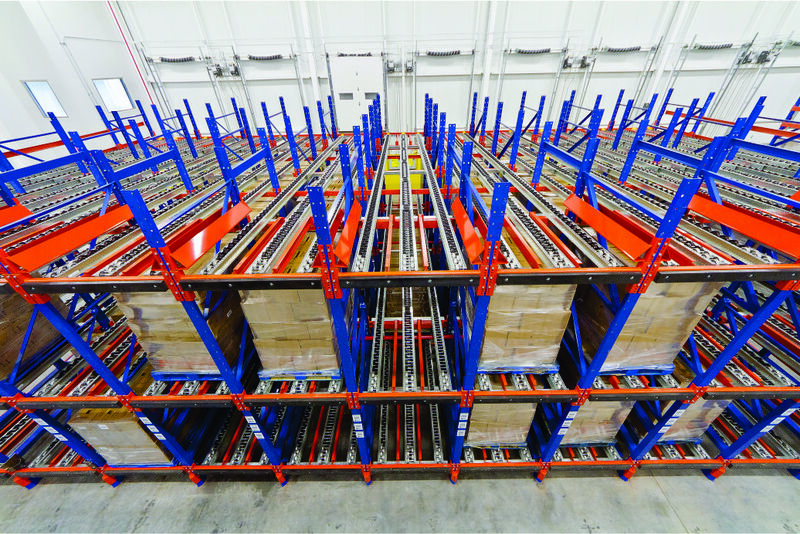 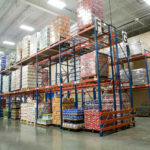 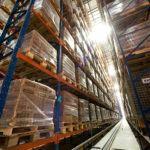 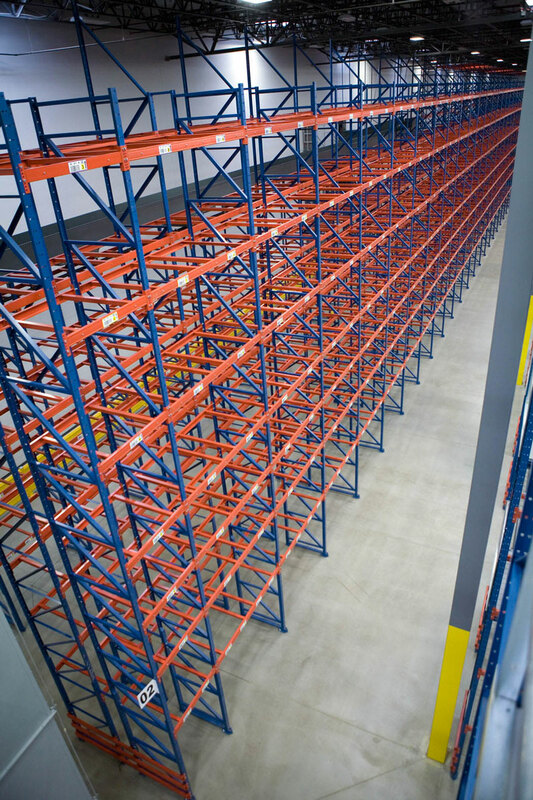 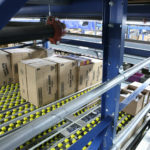 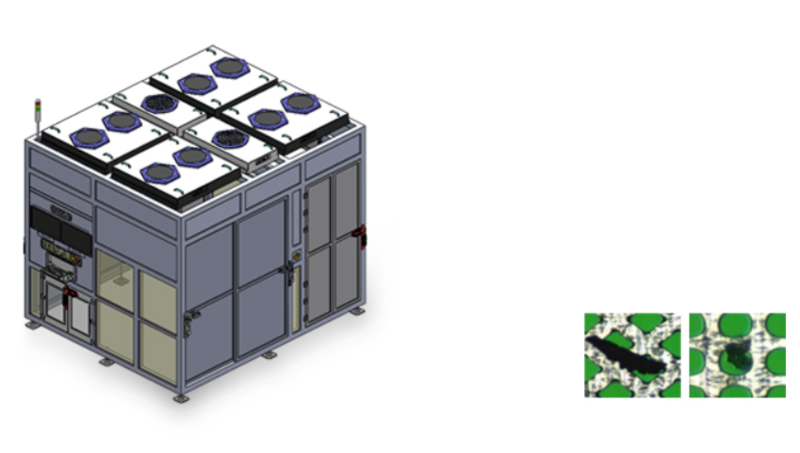 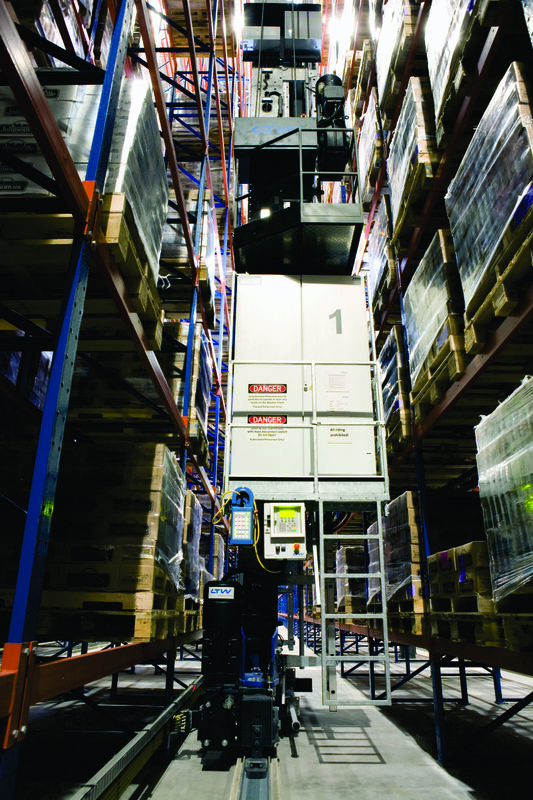 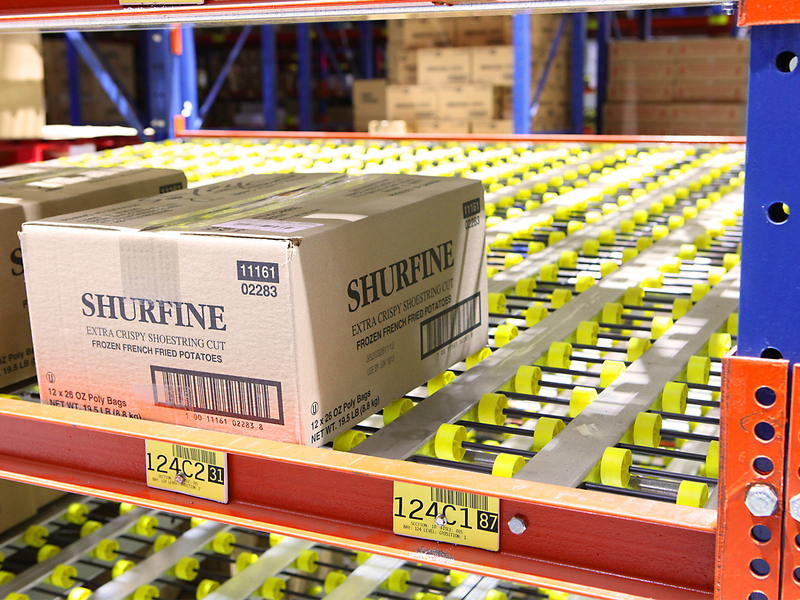 From standard pallet rack systems, to complex pick-to belt towers, AS/RS installations or Rack Supported Buildings, FRAZIER’s expert team of engineers help each customer design the best, most cost-effective Storage Solutions. 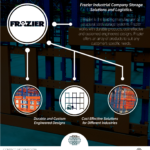 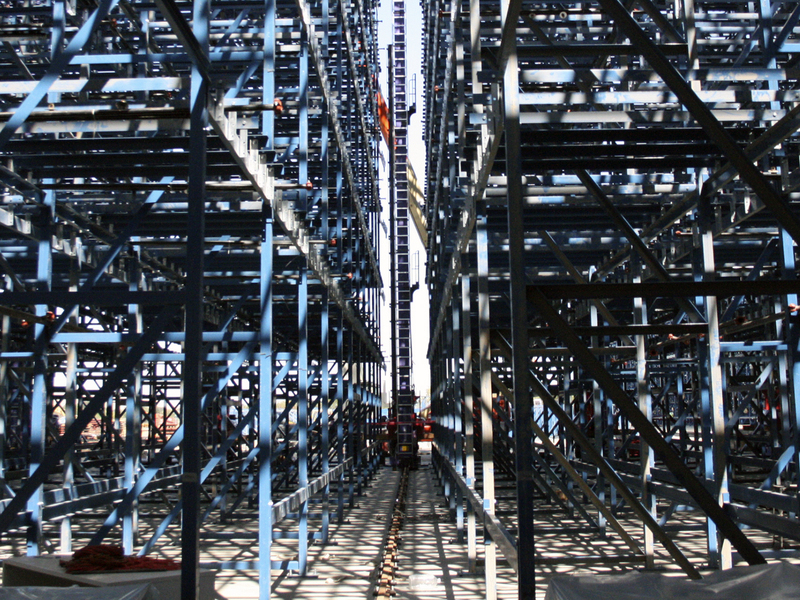 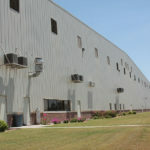 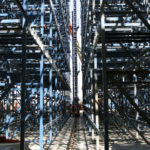 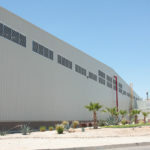 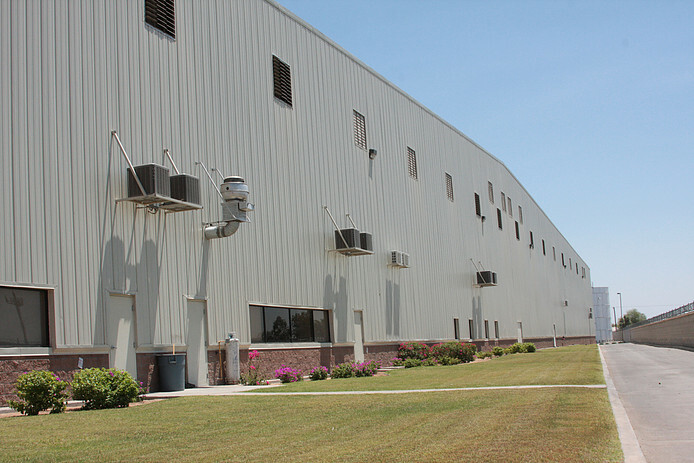 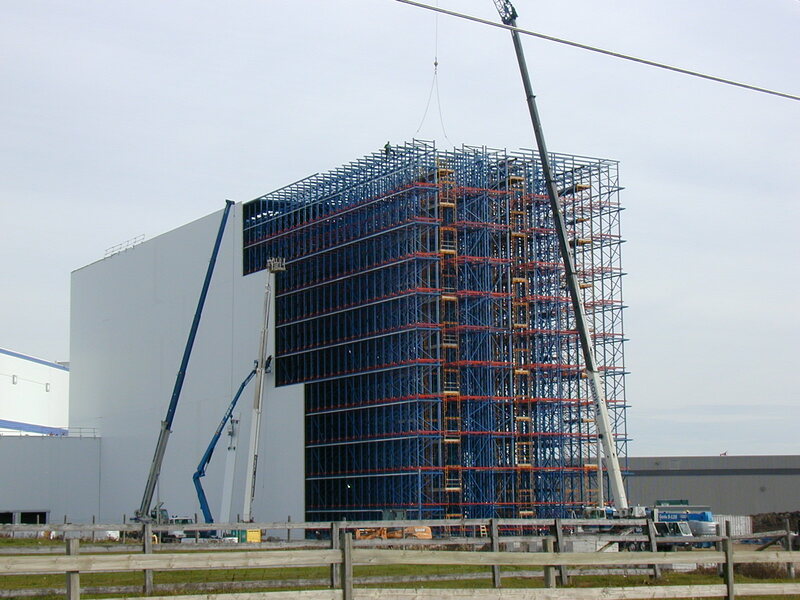 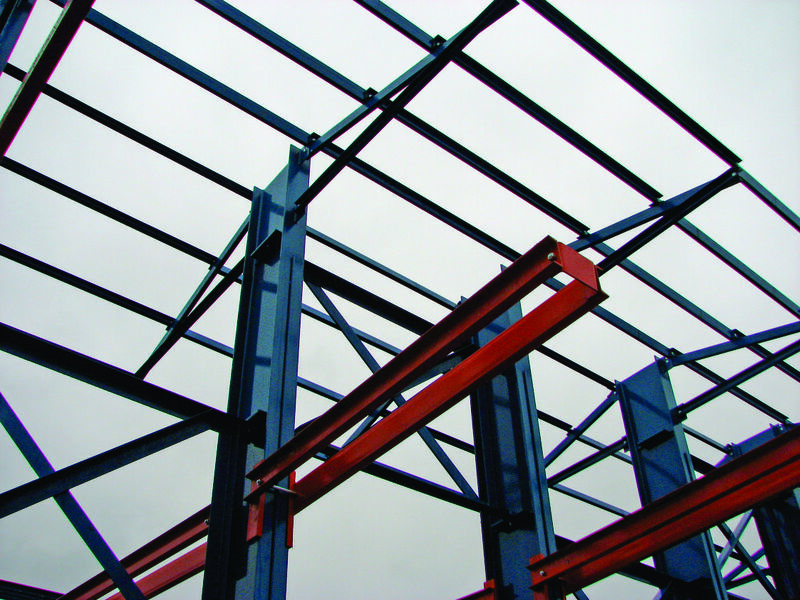 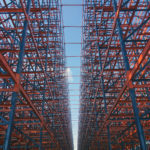 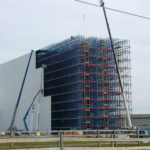 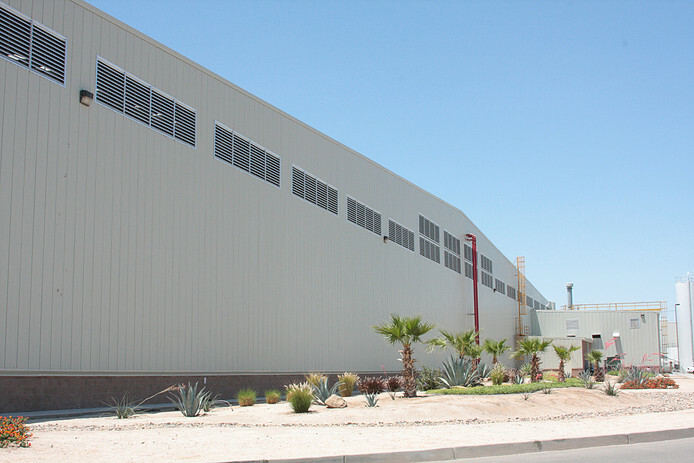 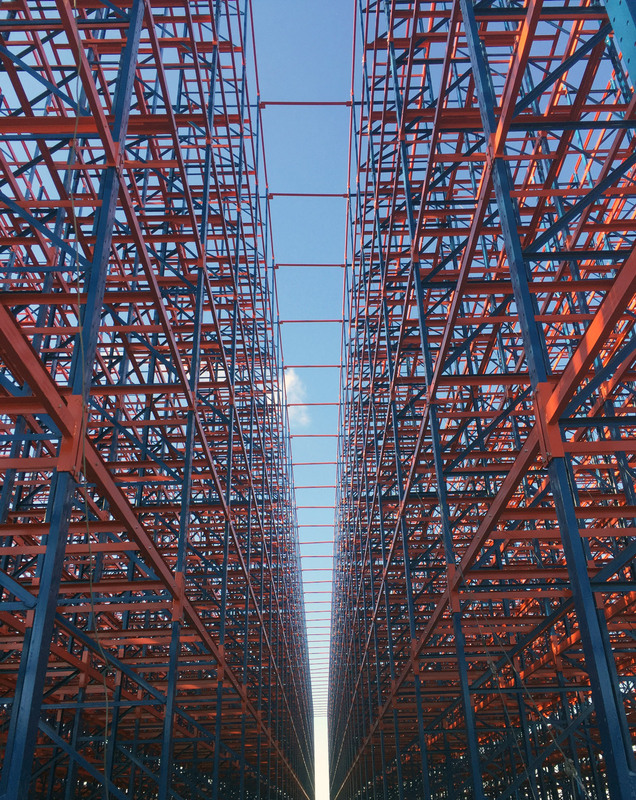 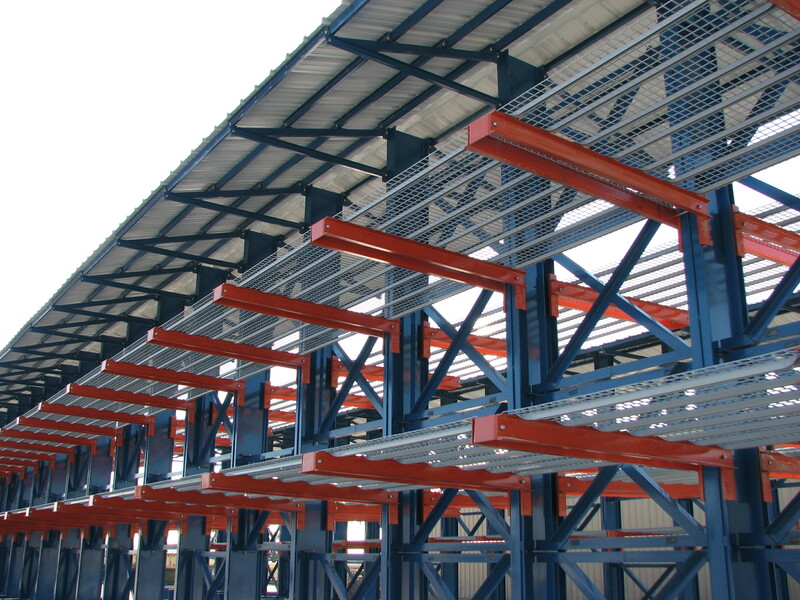 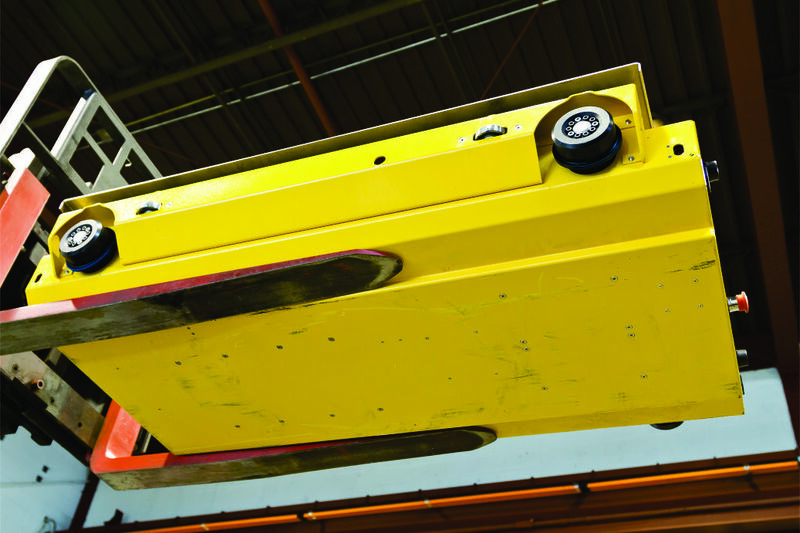 FRAZIER's history of innovation, automated solutions integration and wide area of served industries positions them as the definitive choice for structural steel systems for storage and construction. 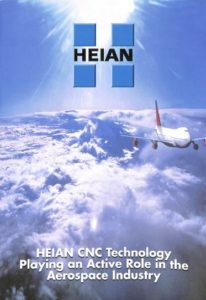 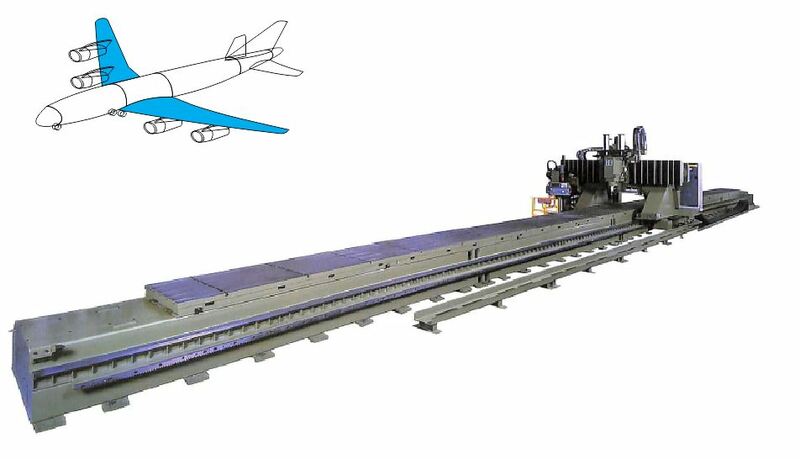 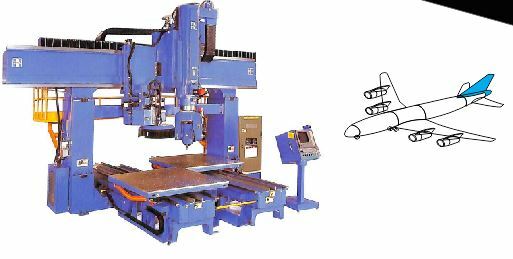 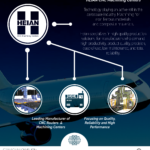 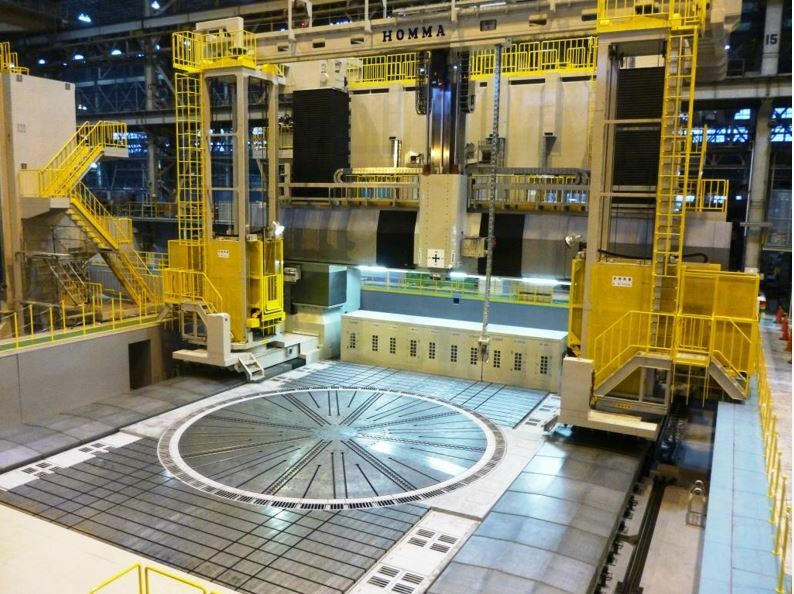 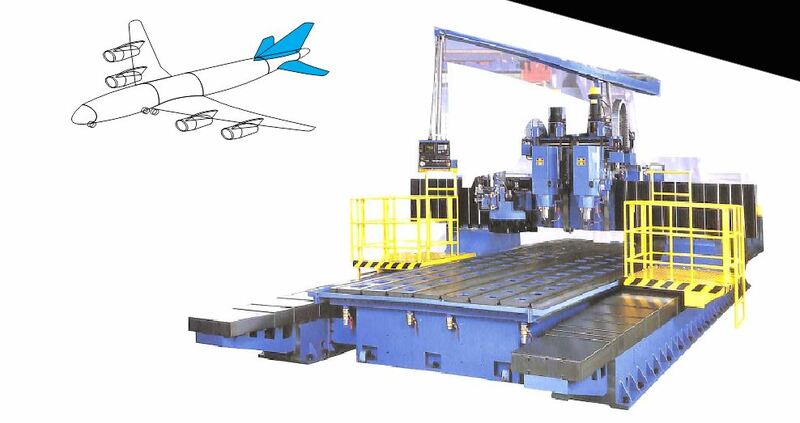 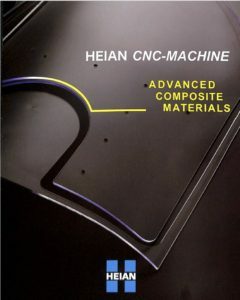 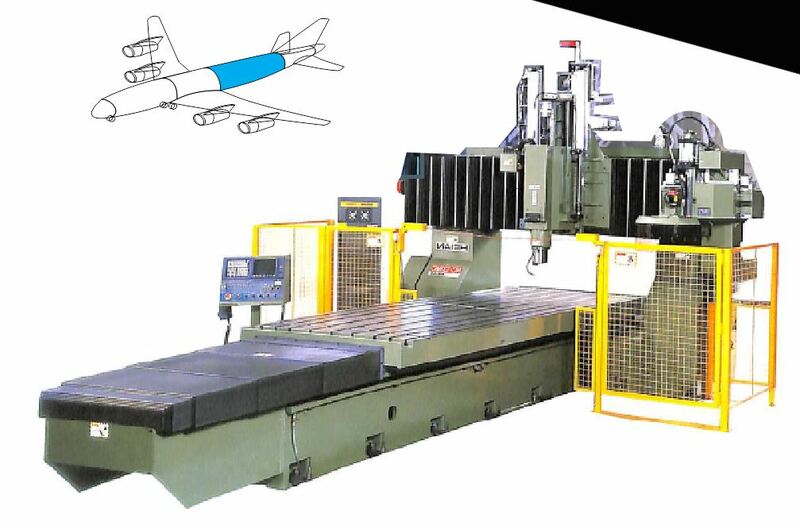 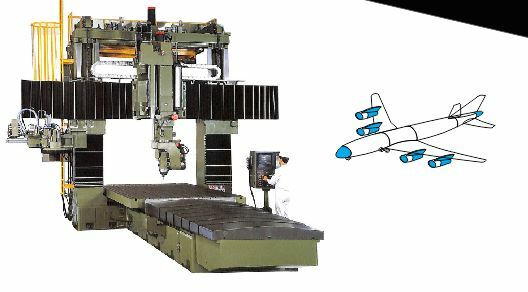 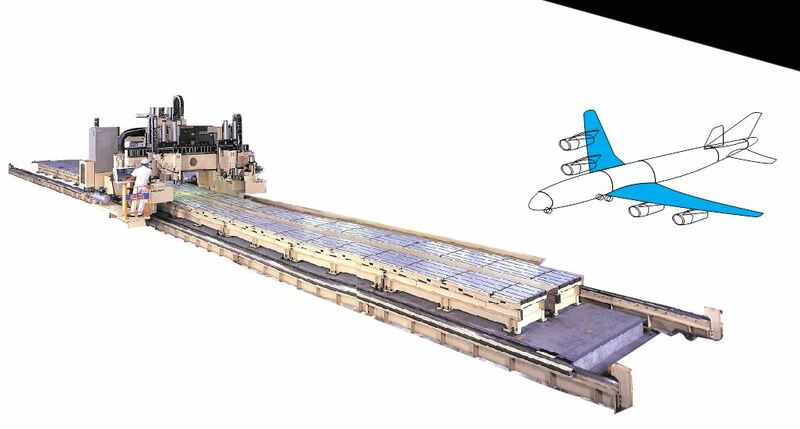 HEIAN's technology plays an active roll in the aerospace industry, since it is made for machining non ferrous and composite materials. 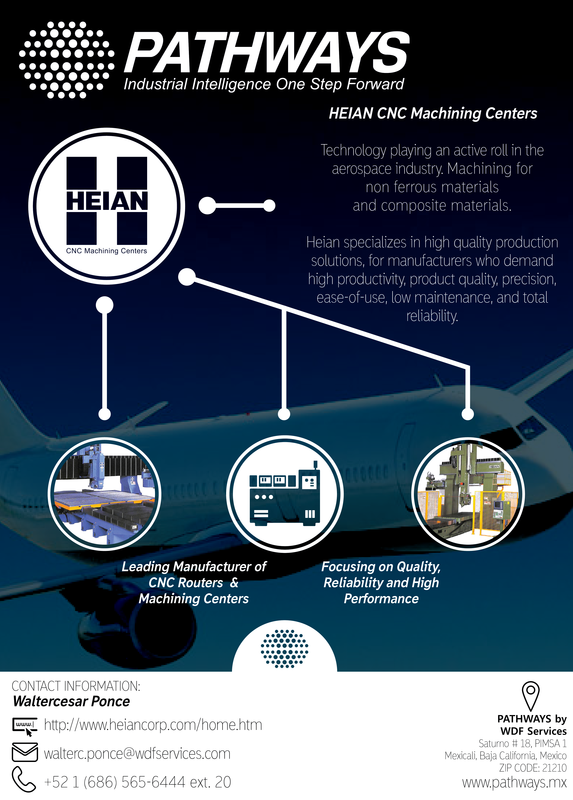 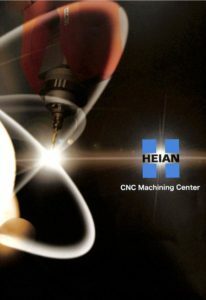 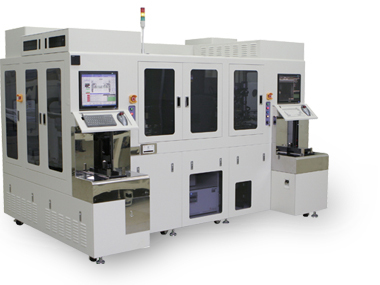 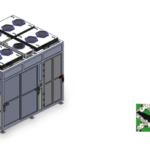 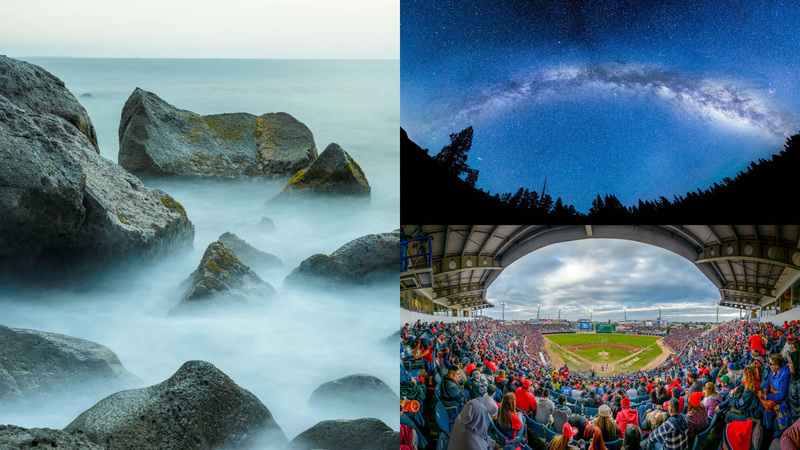 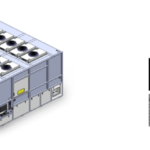 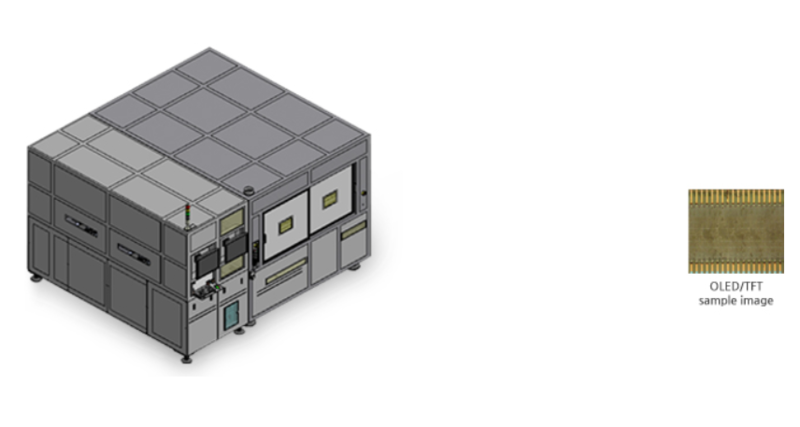 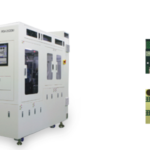 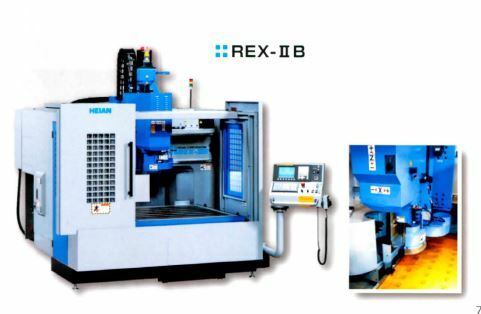 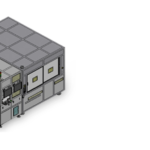 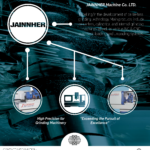 HEIAN specializes in high quality production solutions, for manufacturers who demand high productivity, product quality precision, ease-of-use, low maintenance, and total reliability. 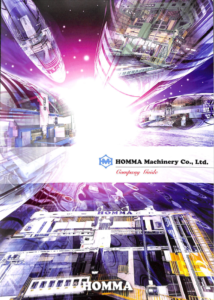 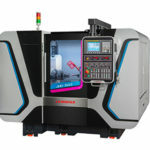 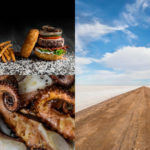 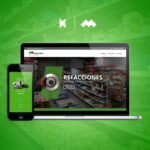 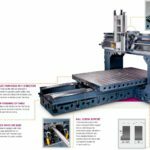 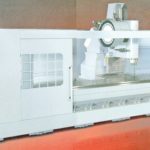 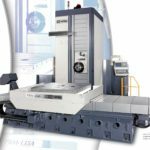 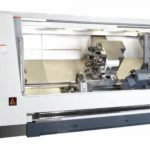 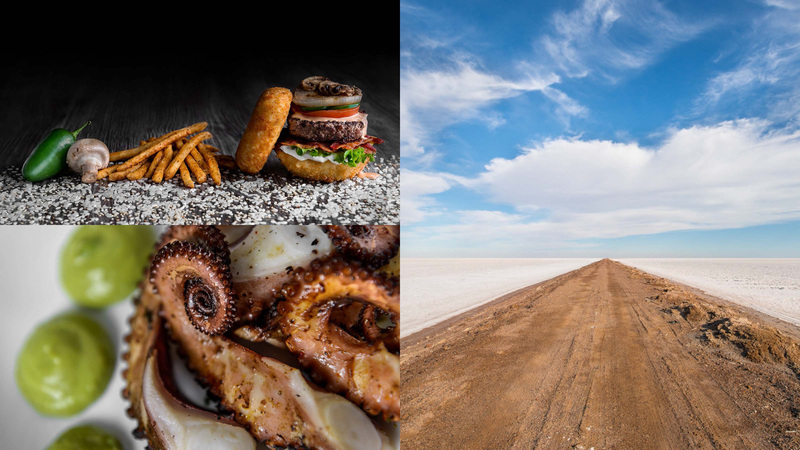 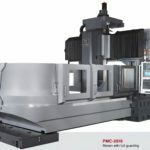 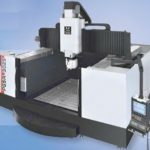 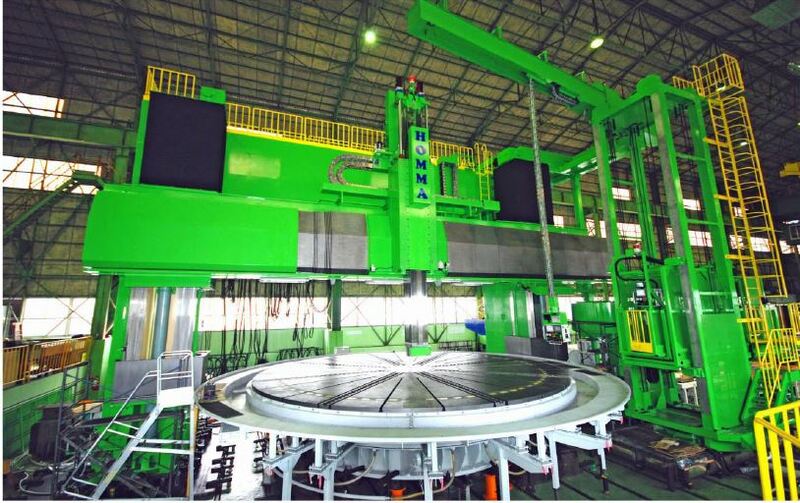 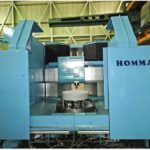 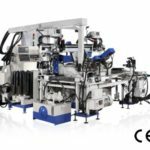 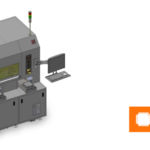 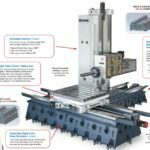 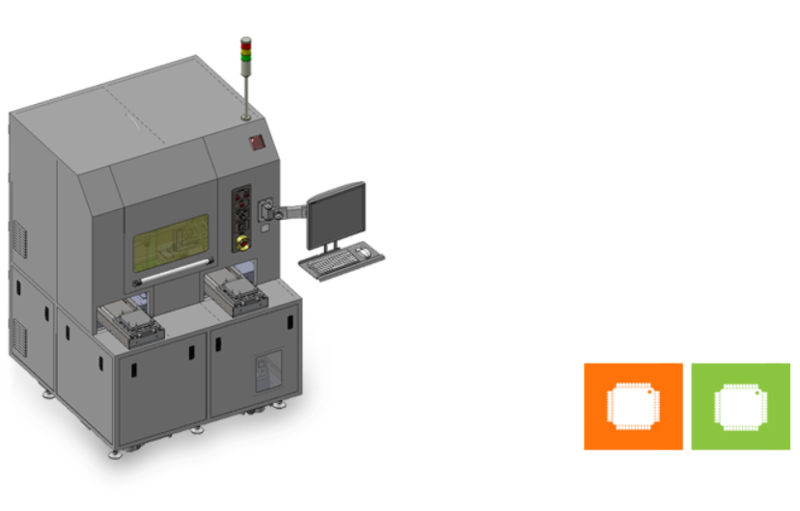 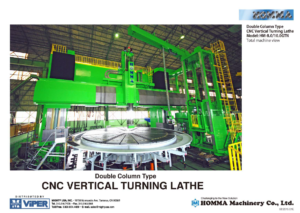 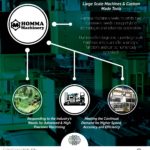 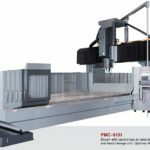 Focusing on the supply of custom-made products which can meet the exact requirements of each customer, Homma Machinery seeks to satisfy their customers´ needs through hybrid technologies and advanced automation. 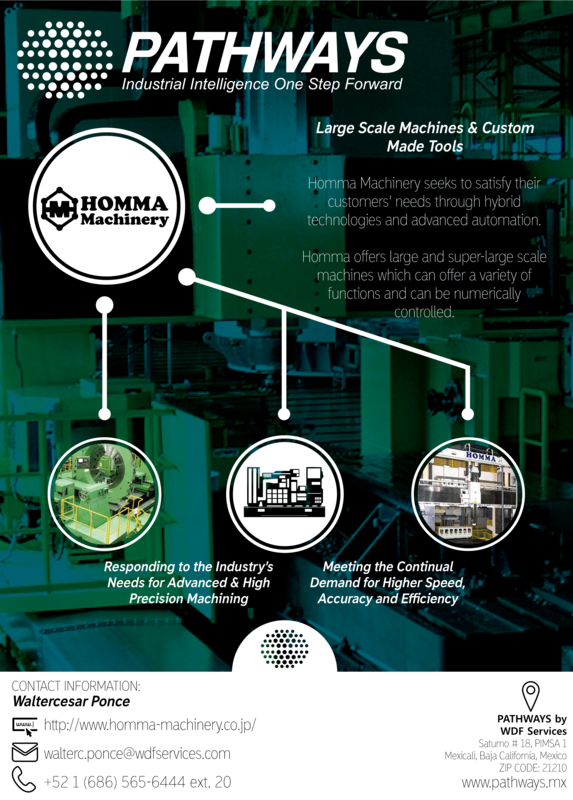 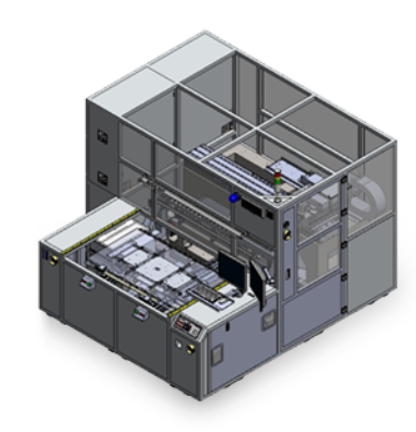 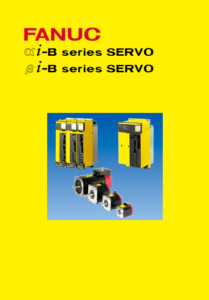 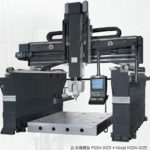 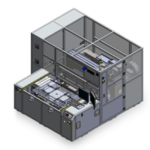 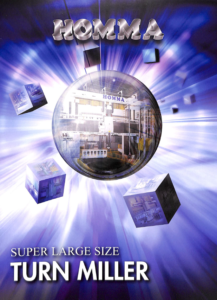 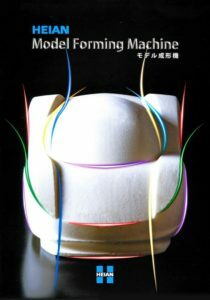 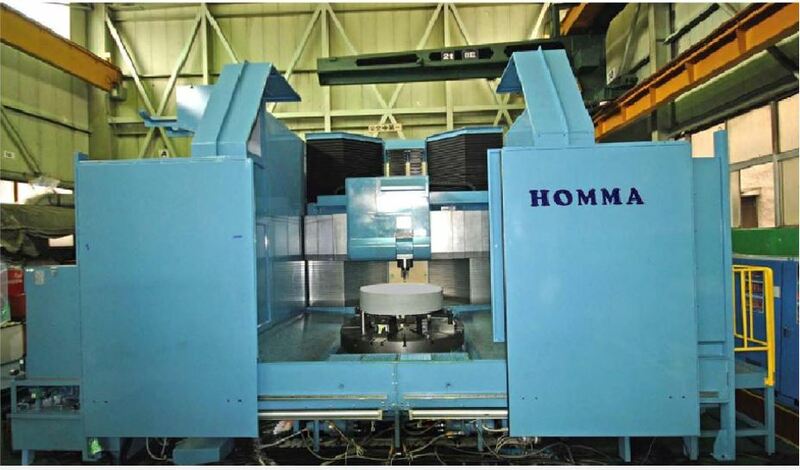 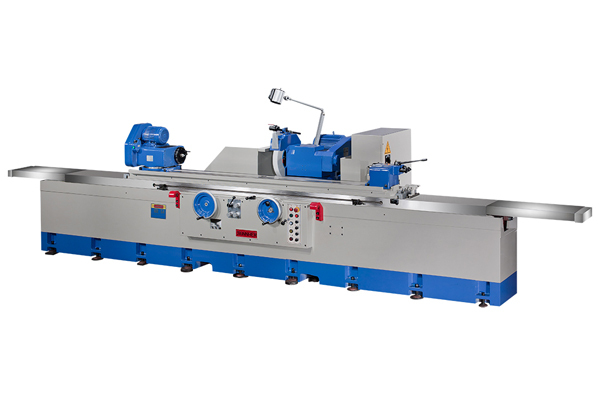 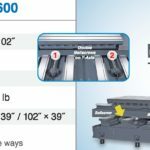 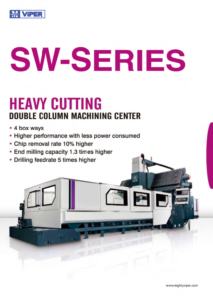 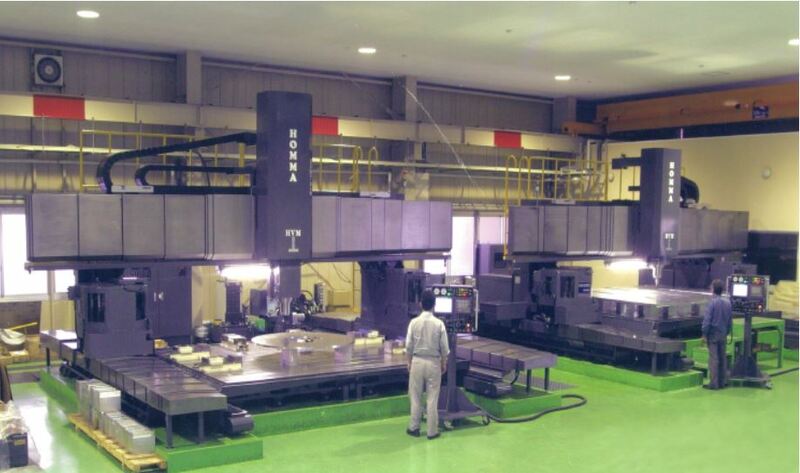 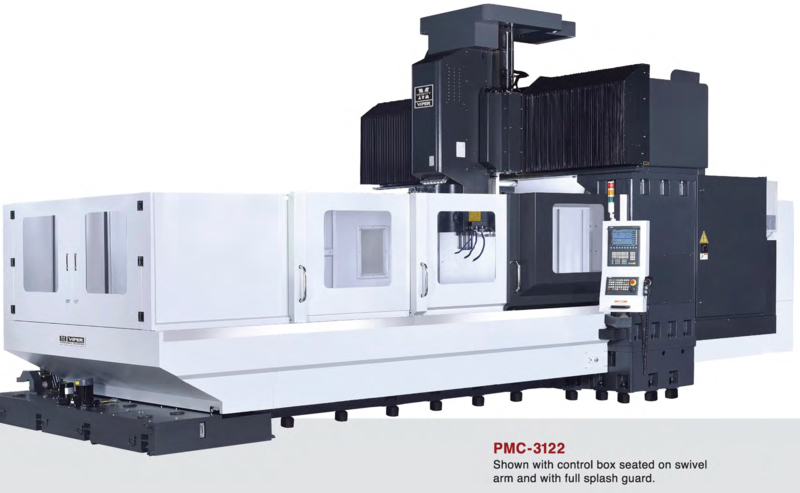 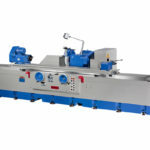 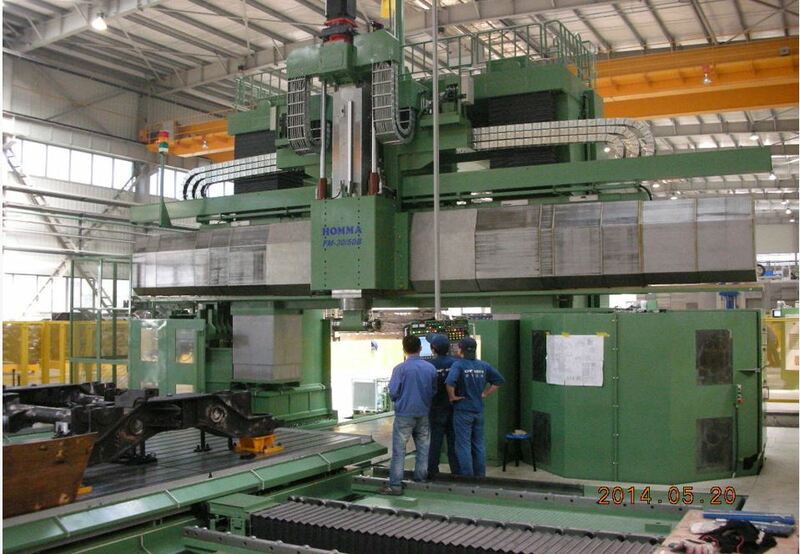 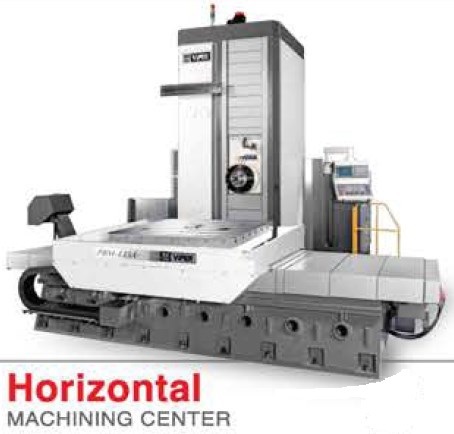 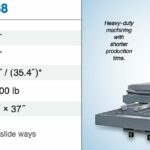 Homma offers large and super-large scale machines which can offer a variety of functions and can be numerically controlled. 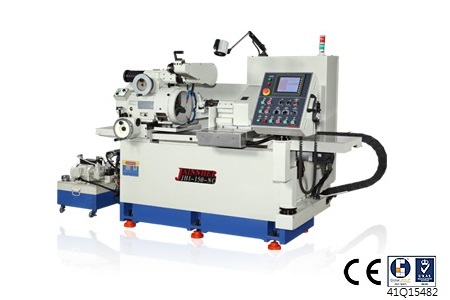 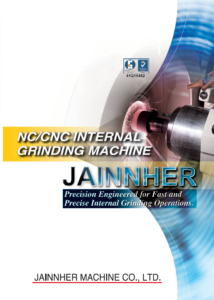 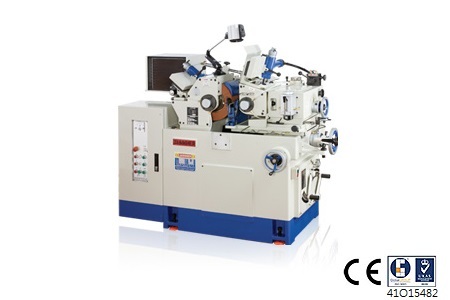 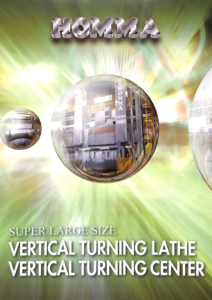 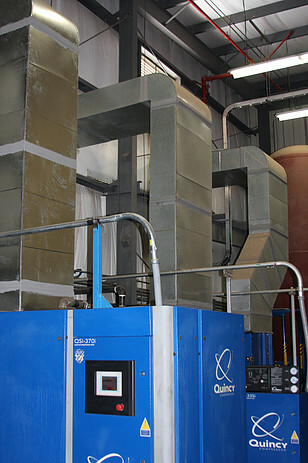 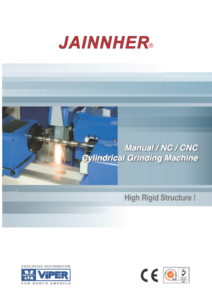 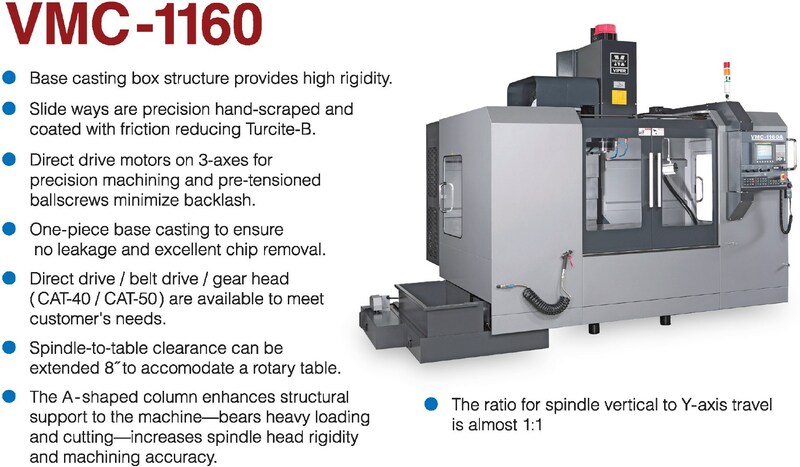 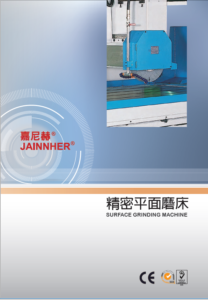 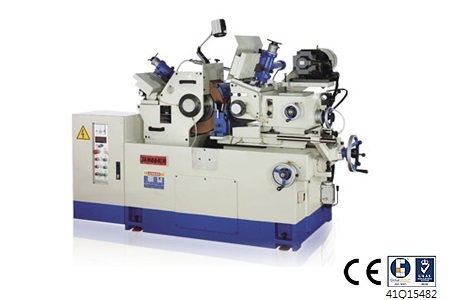 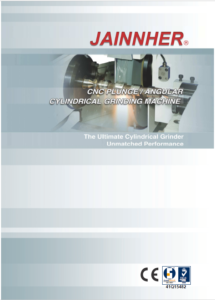 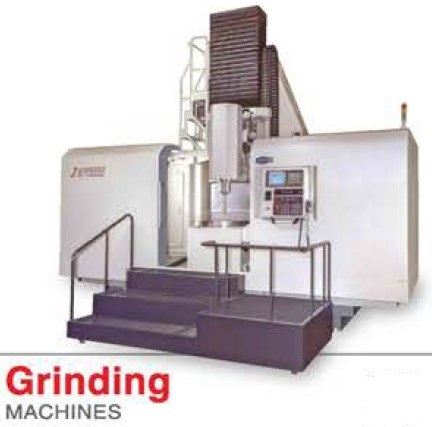 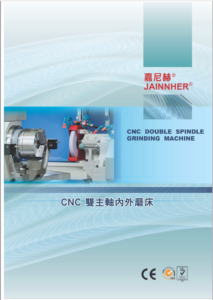 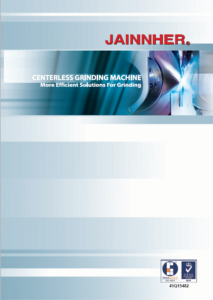 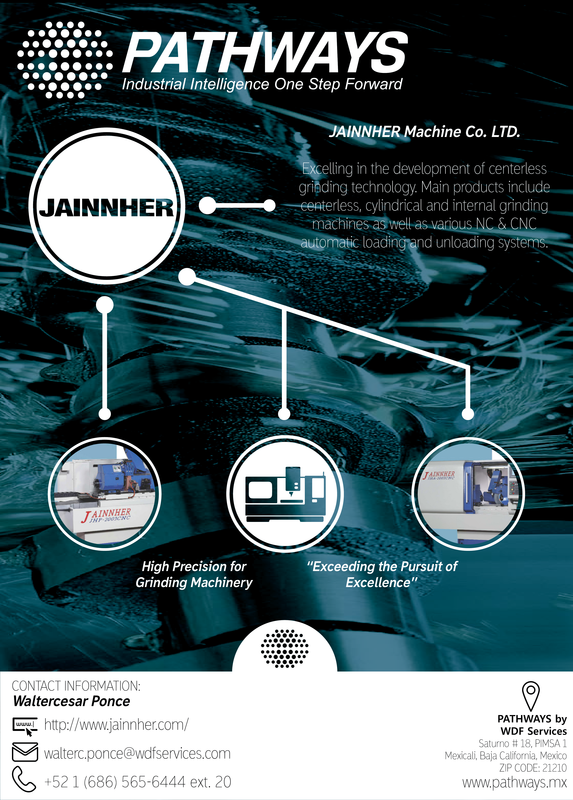 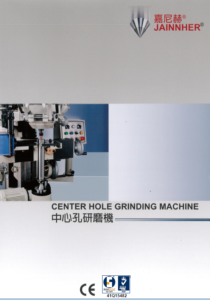 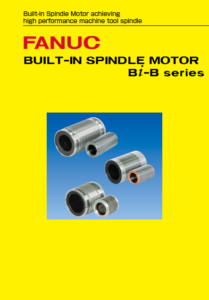 Excelling in the development of centerless grinding technology. 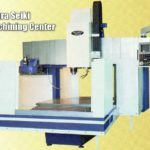 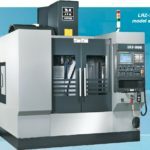 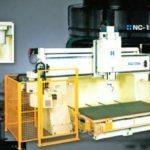 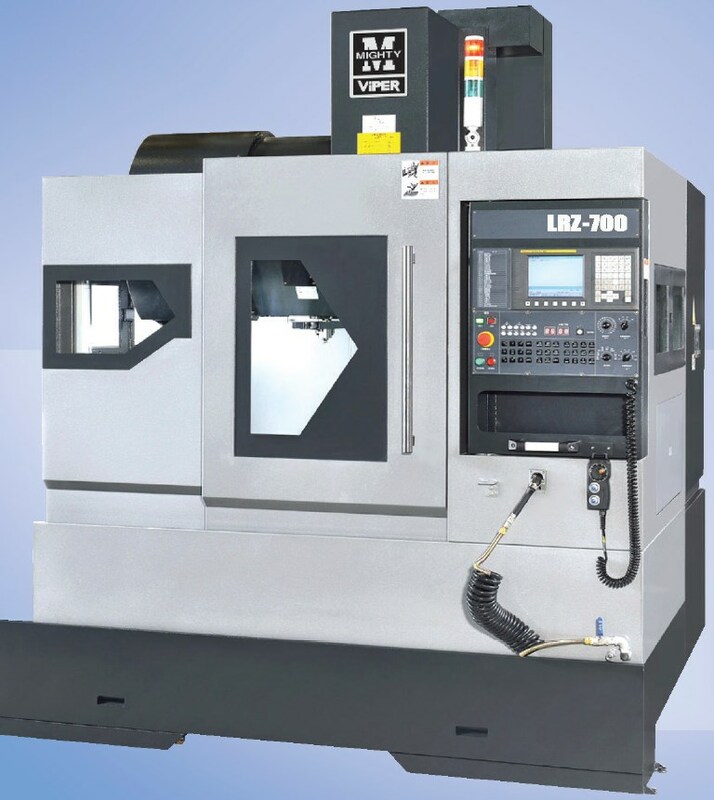 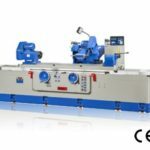 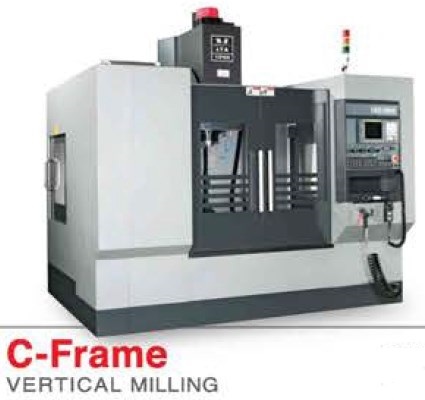 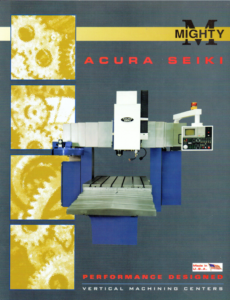 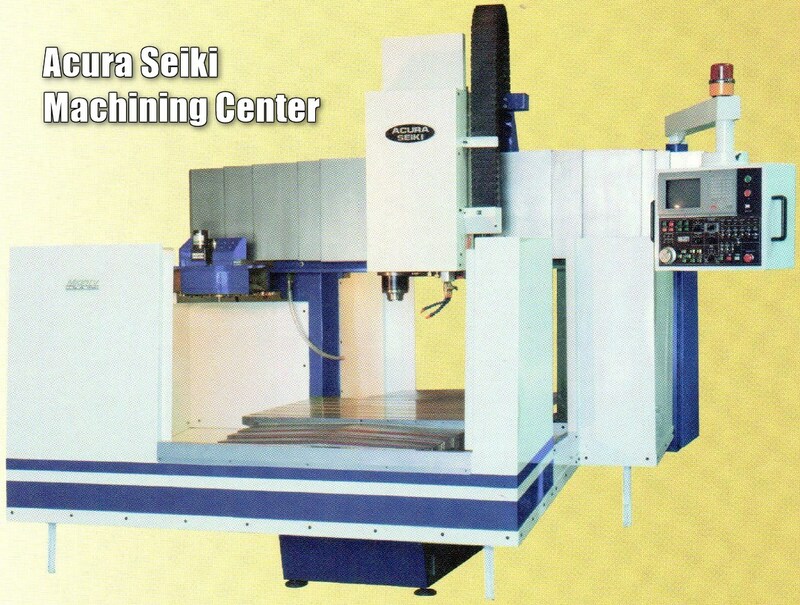 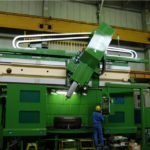 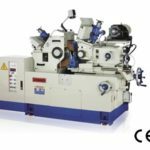 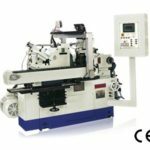 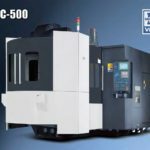 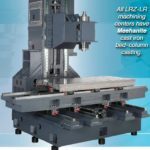 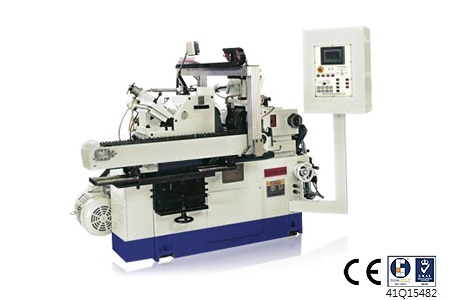 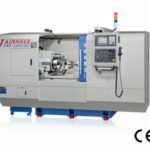 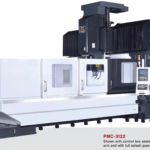 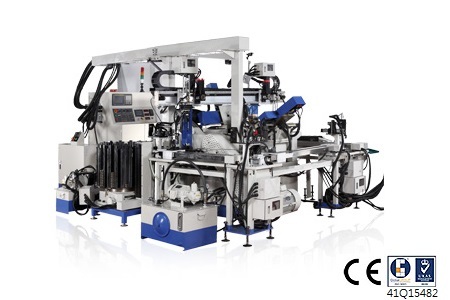 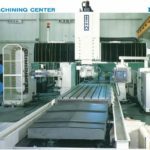 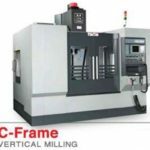 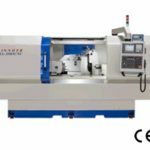 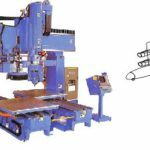 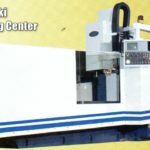 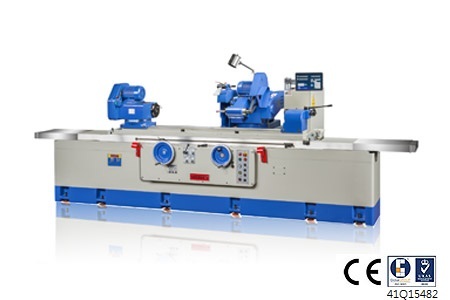 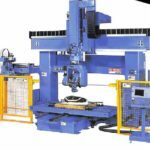 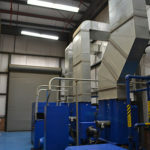 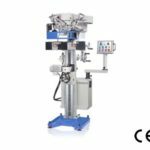 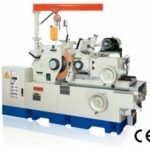 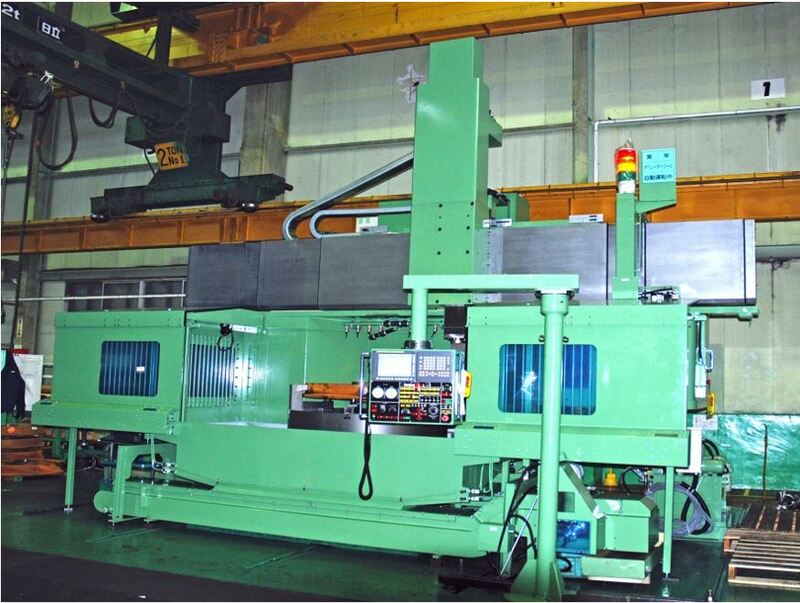 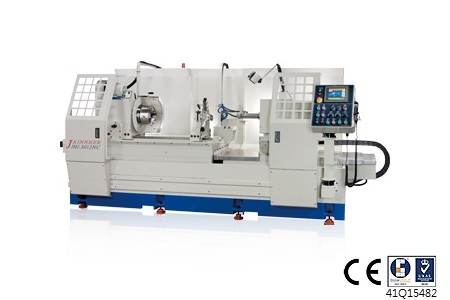 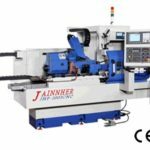 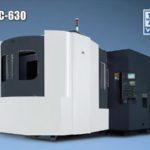 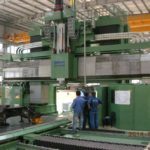 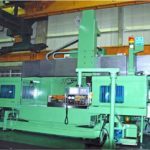 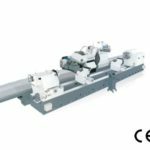 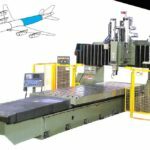 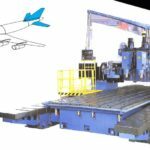 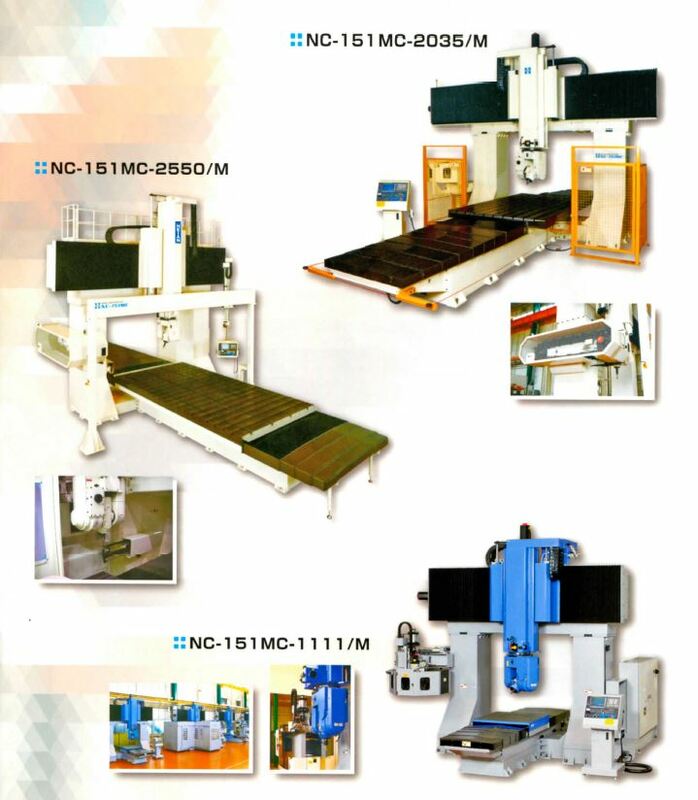 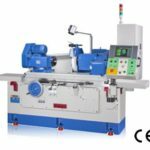 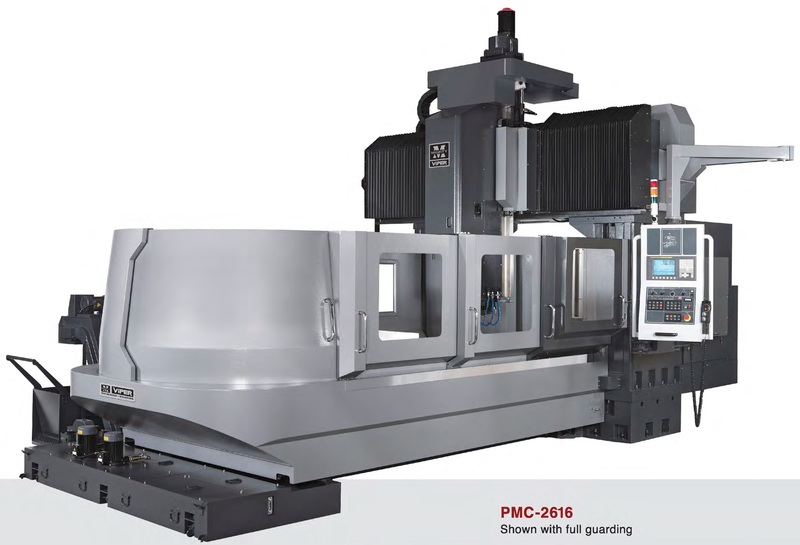 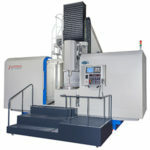 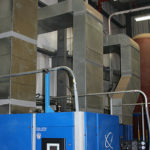 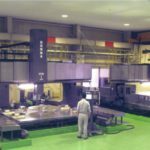 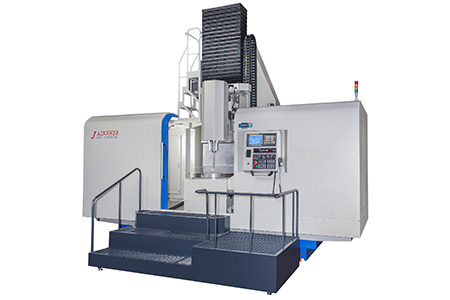 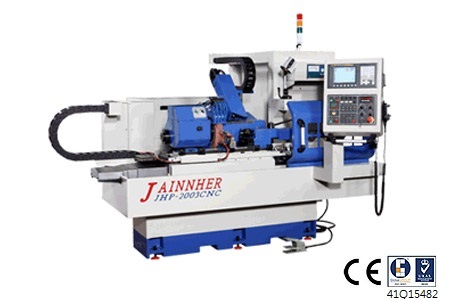 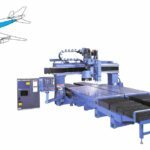 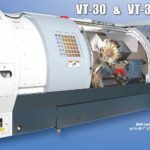 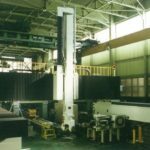 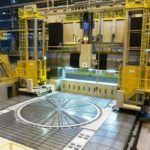 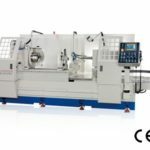 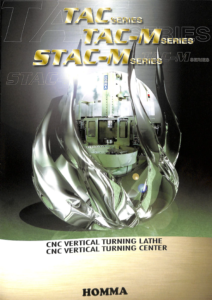 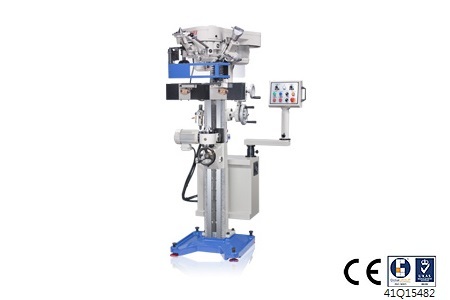 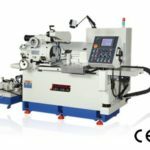 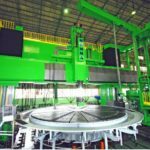 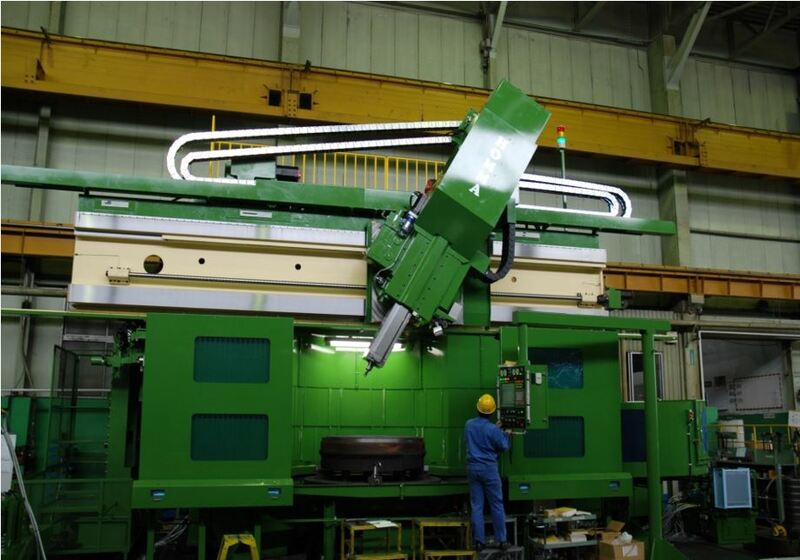 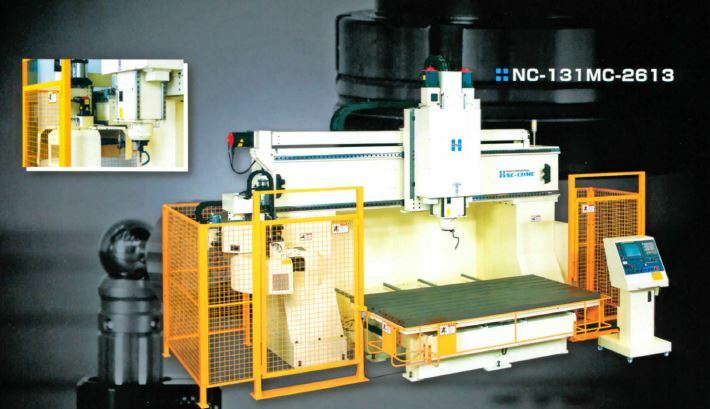 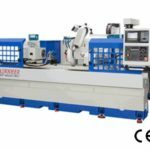 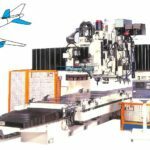 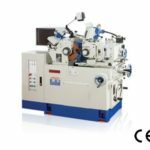 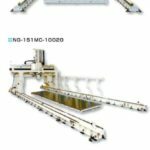 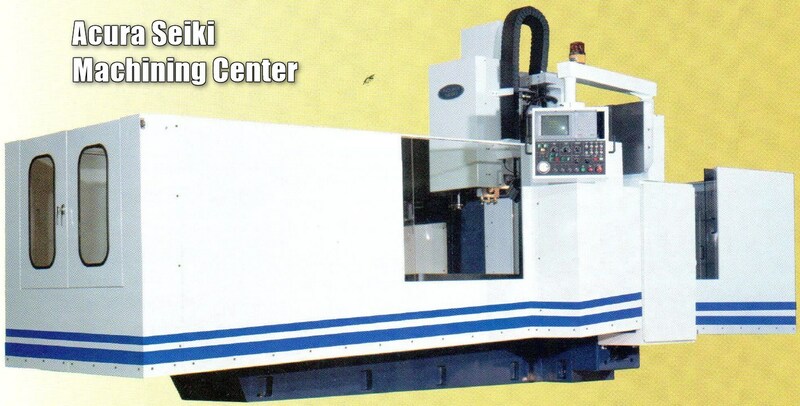 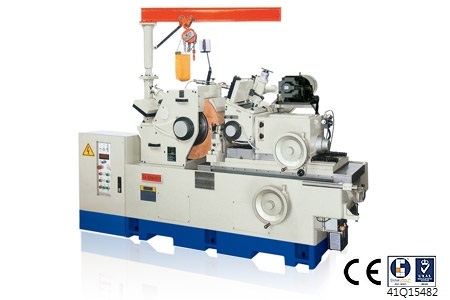 Main products include centerless, cylindrical and internal grinding machines as well as various NC & CNC automatic loading and unloading systems. 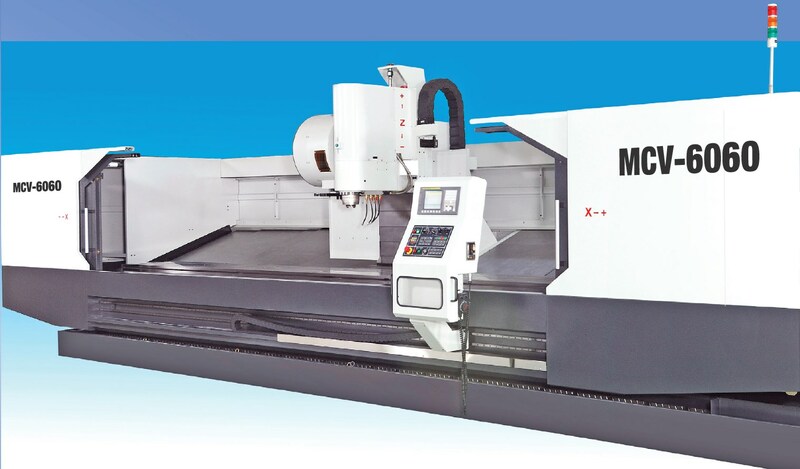 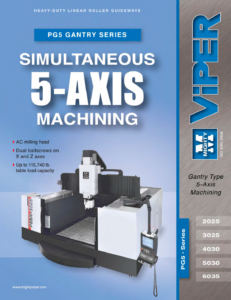 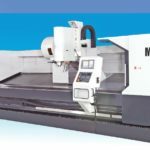 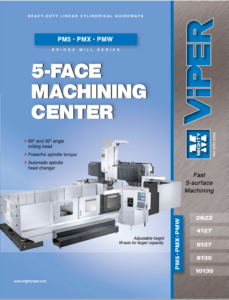 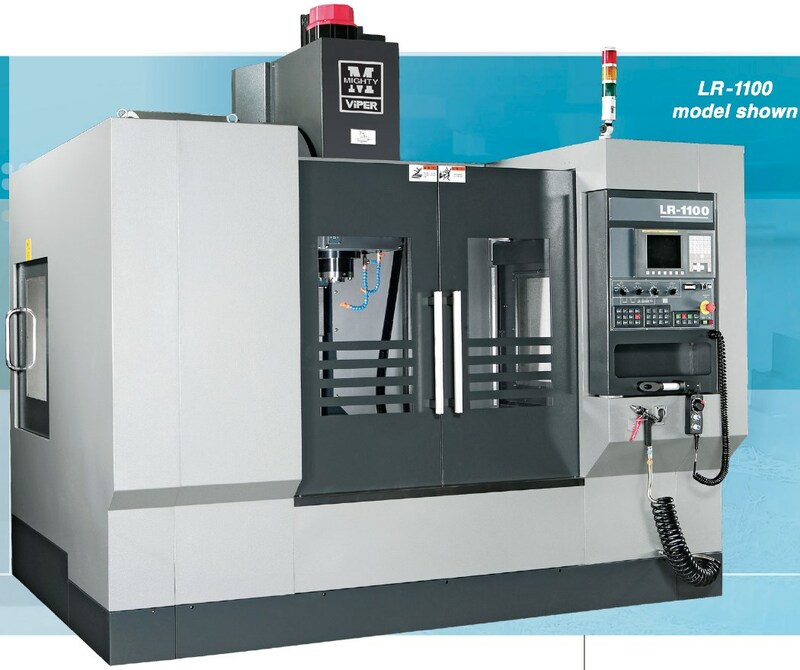 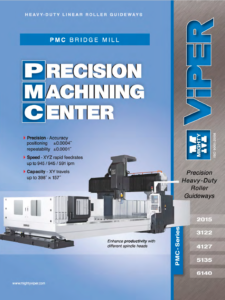 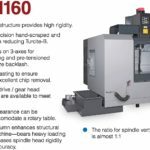 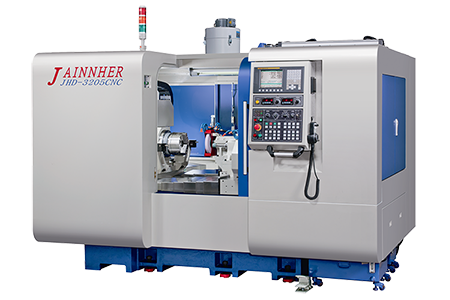 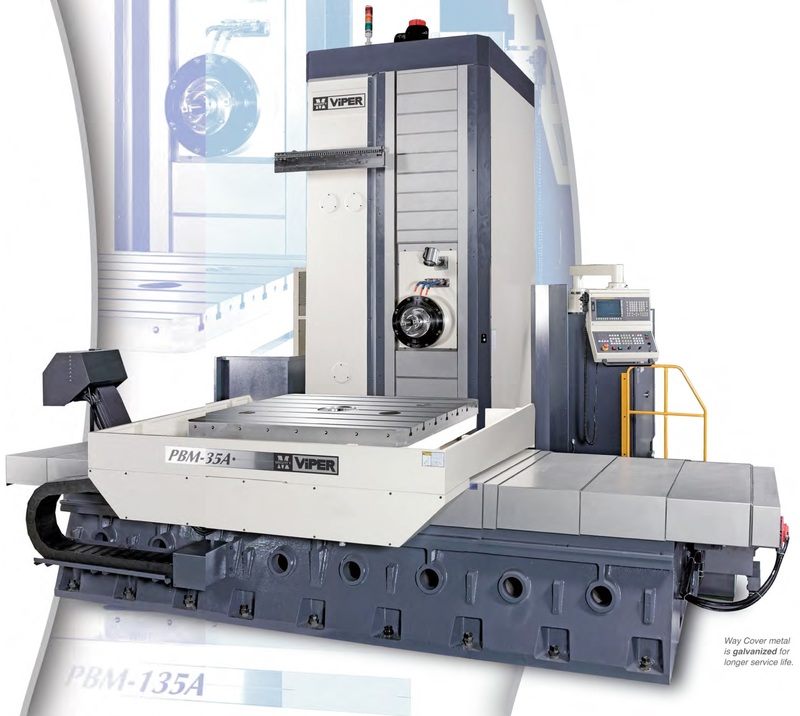 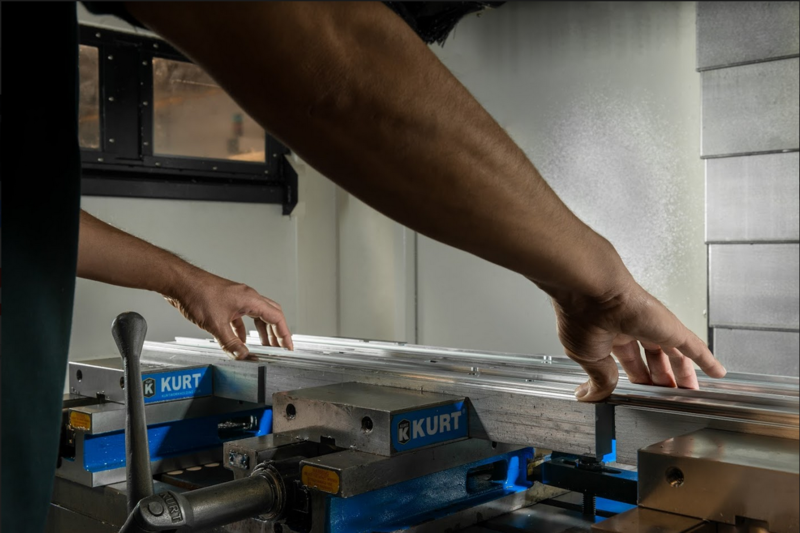 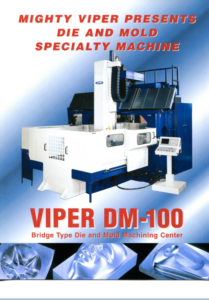 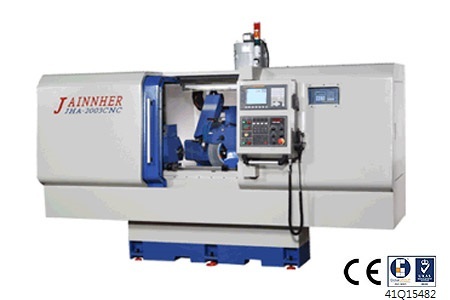 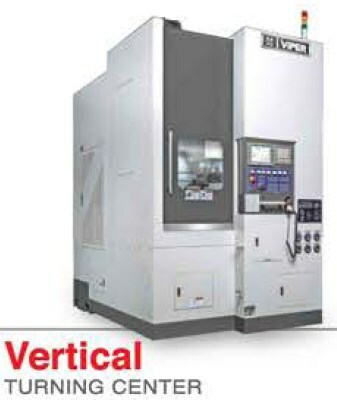 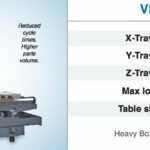 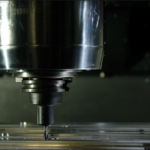 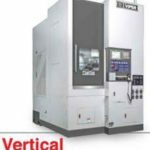 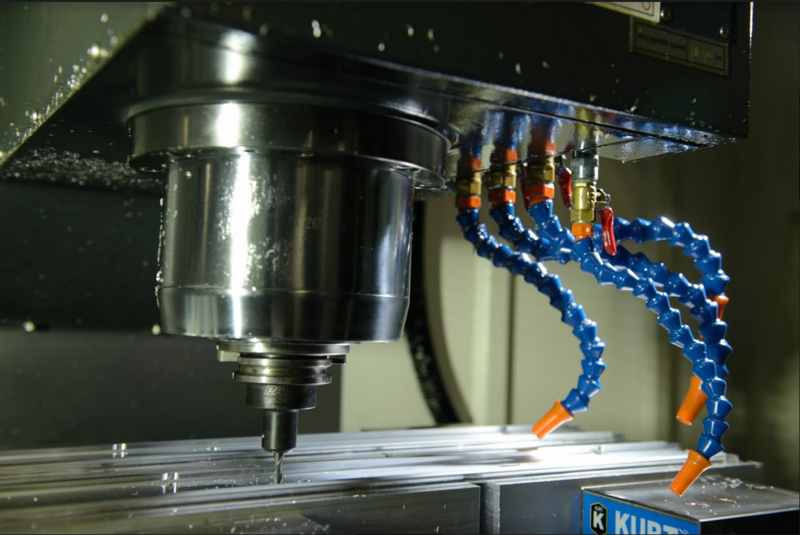 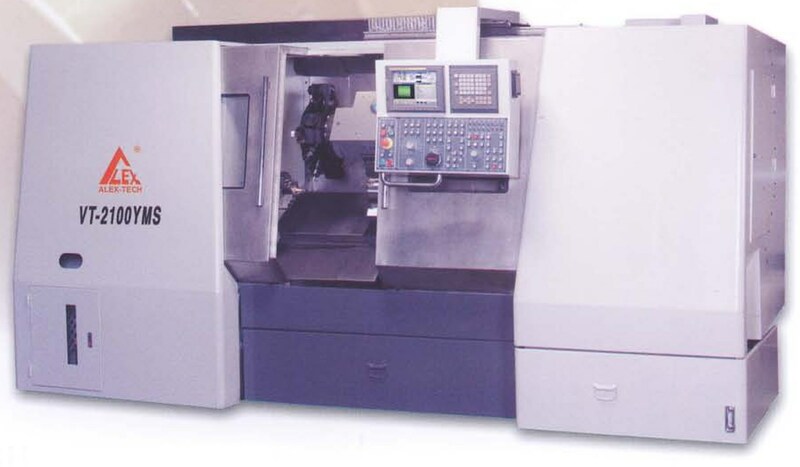 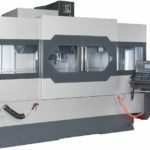 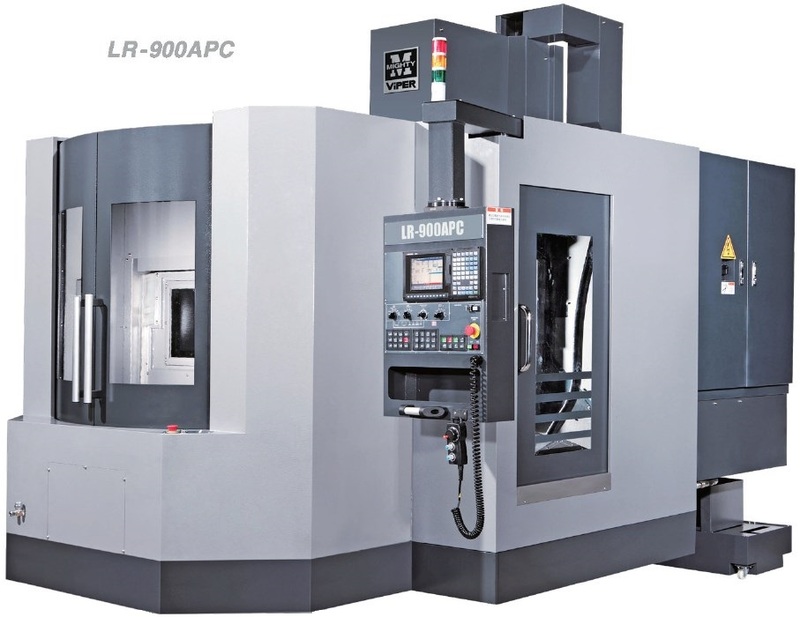 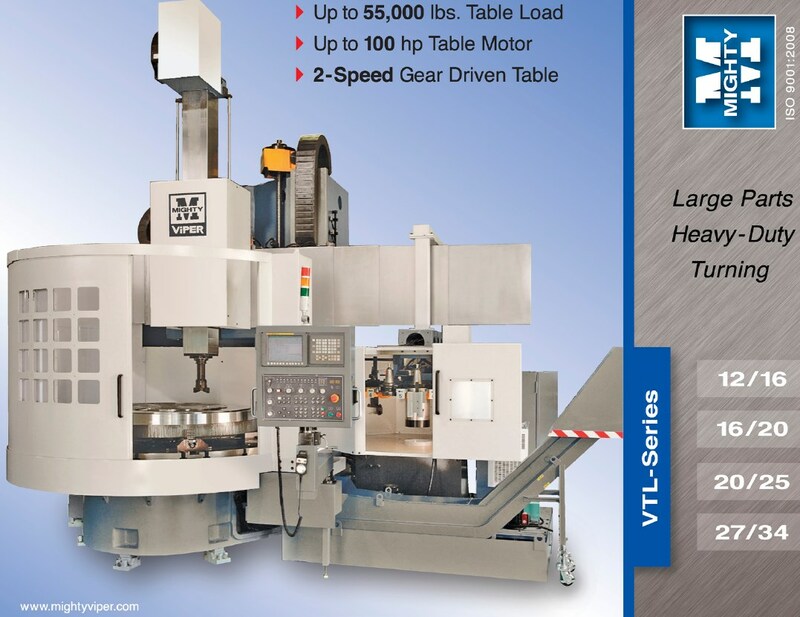 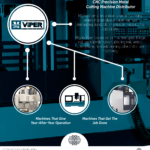 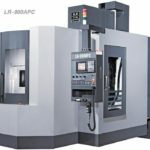 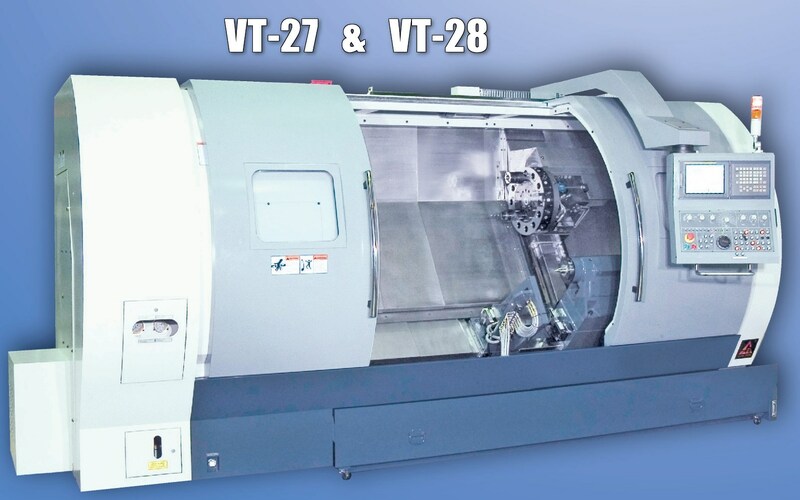 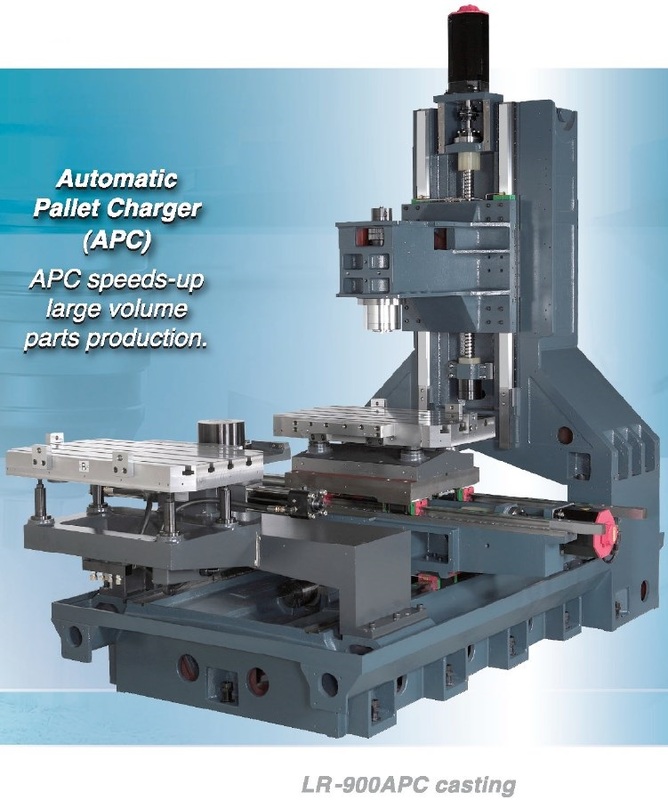 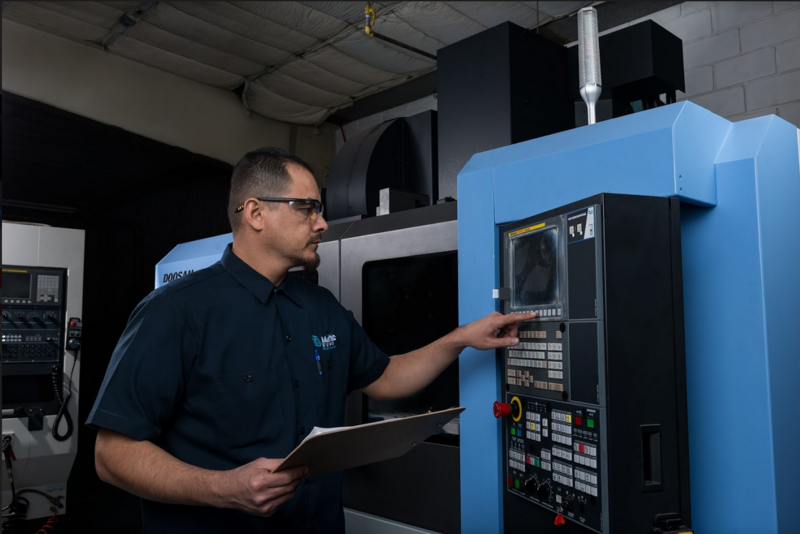 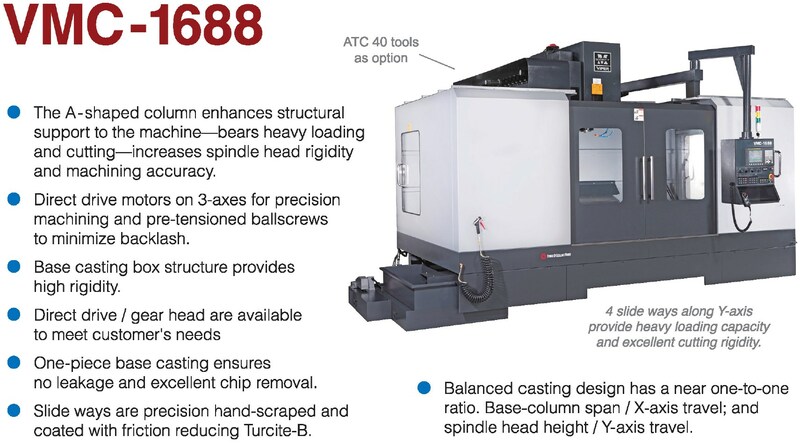 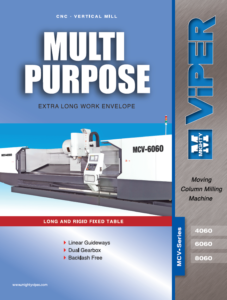 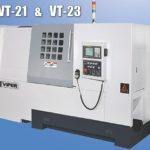 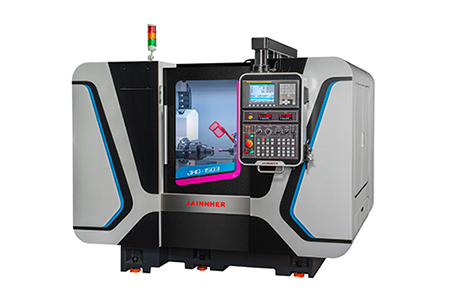 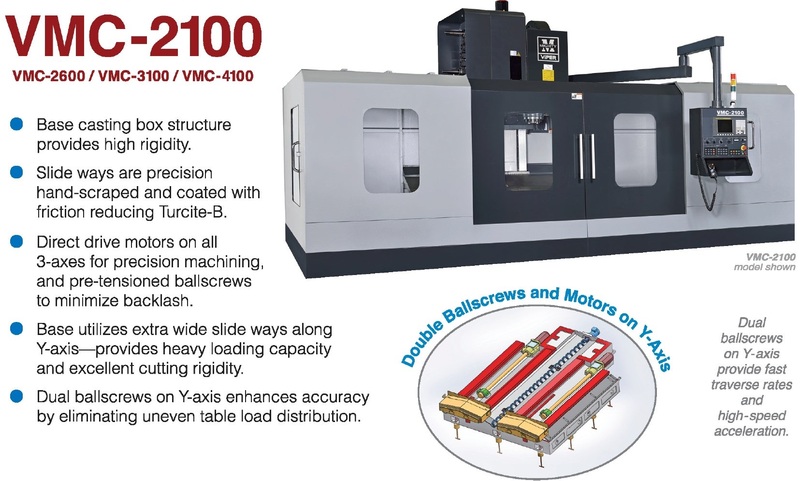 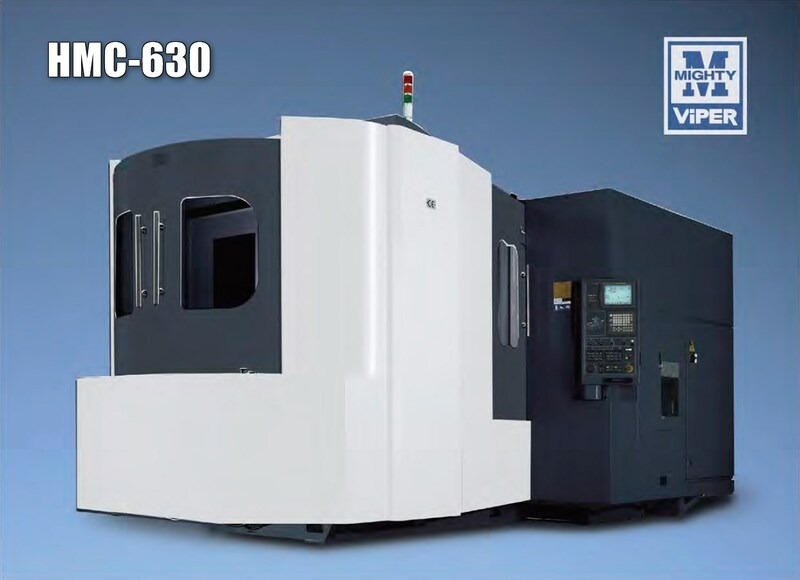 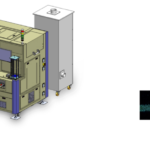 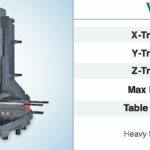 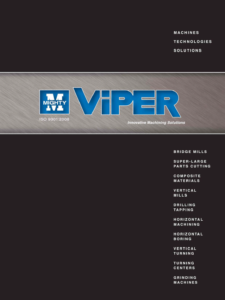 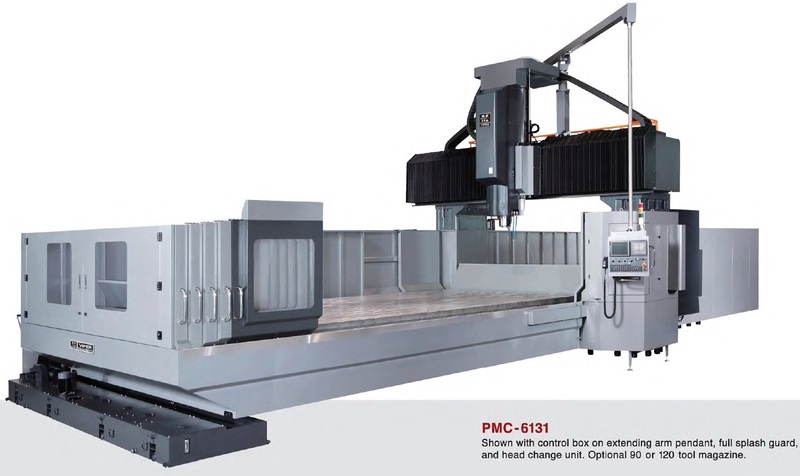 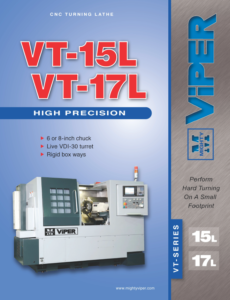 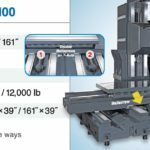 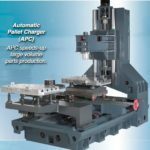 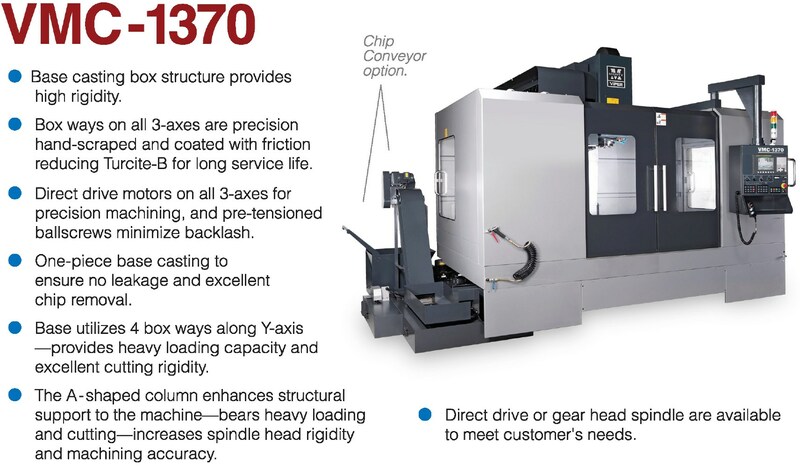 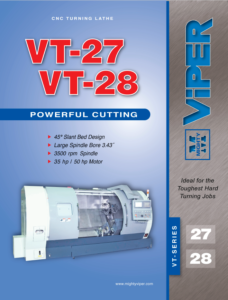 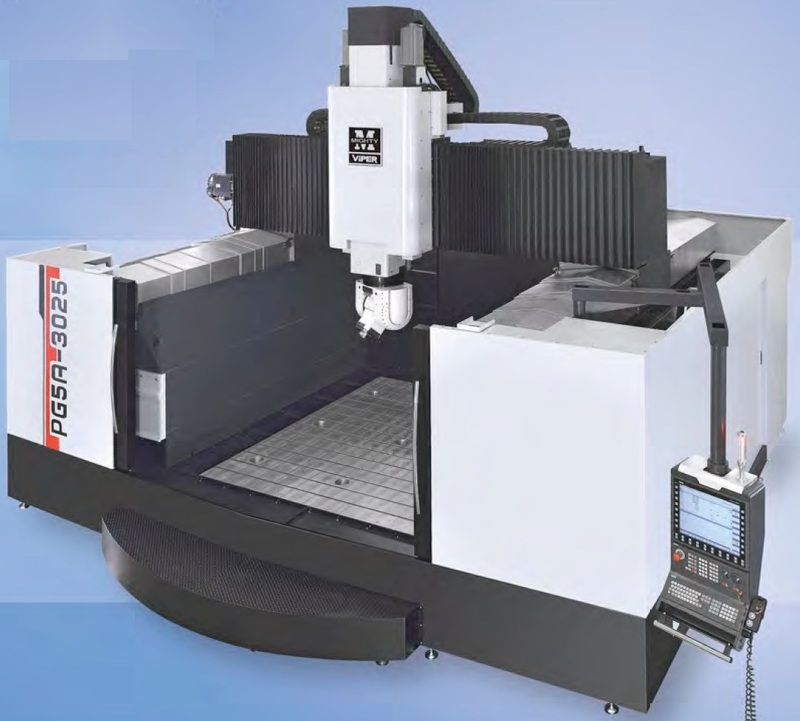 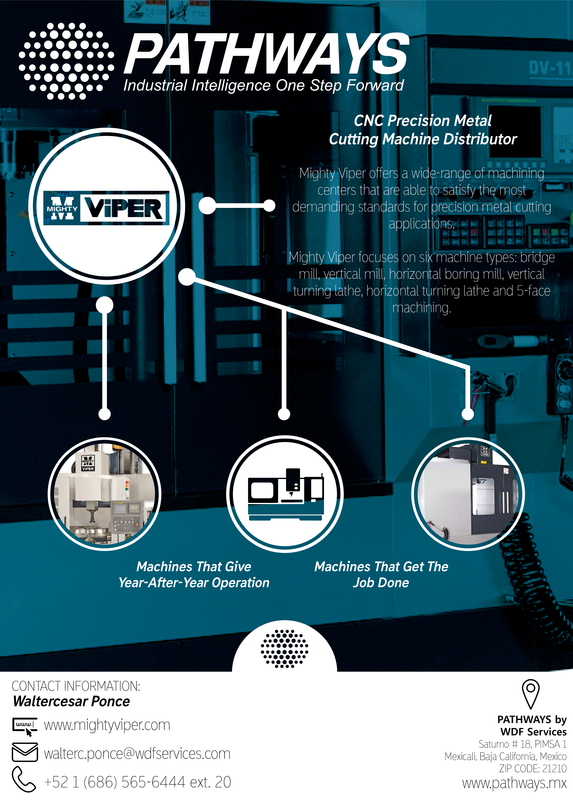 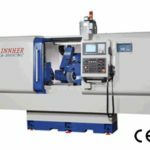 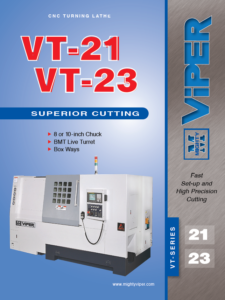 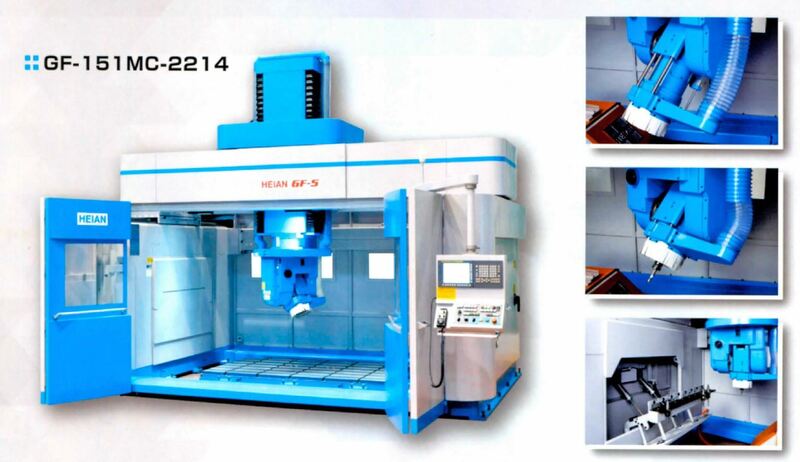 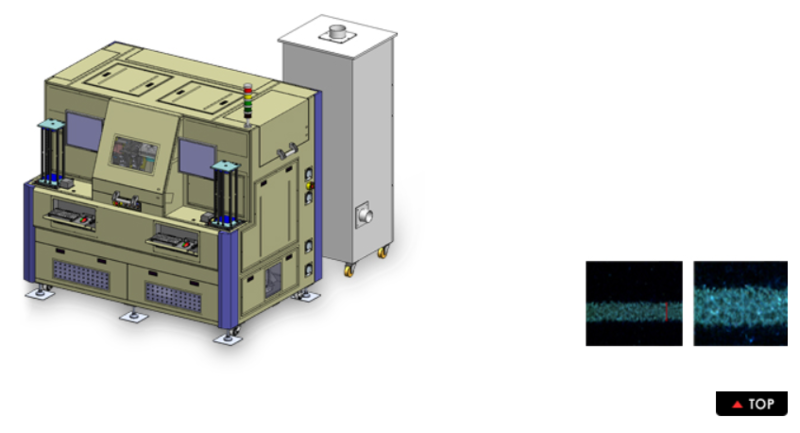 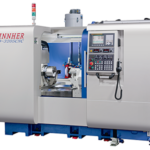 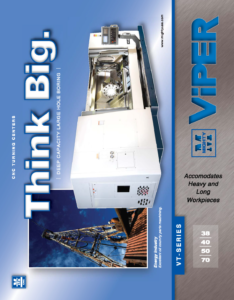 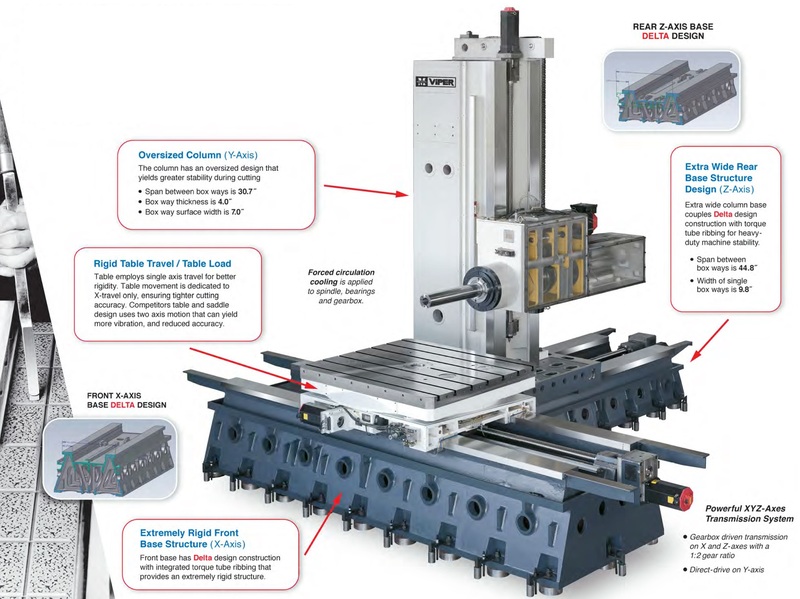 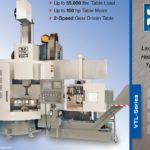 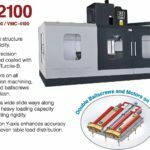 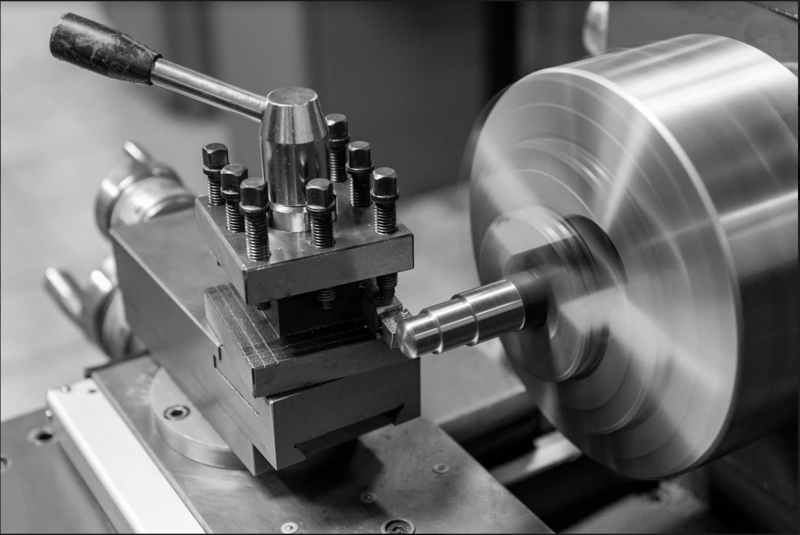 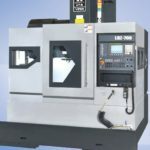 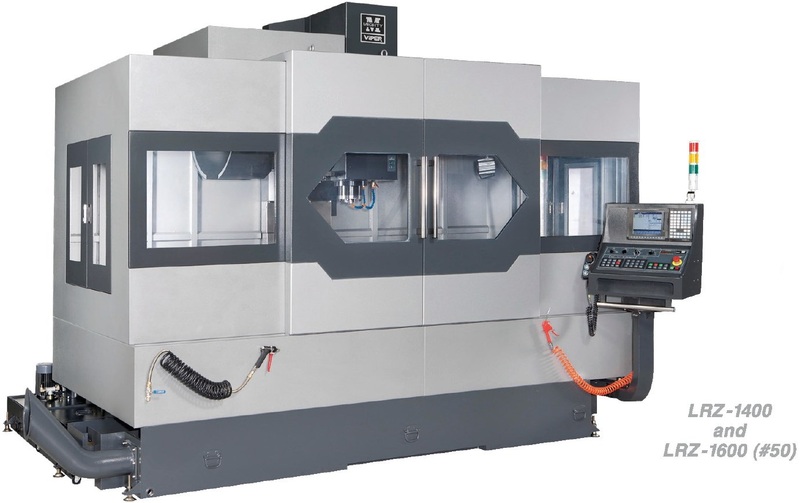 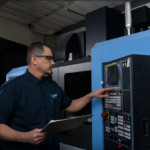 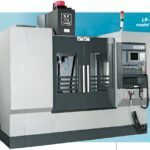 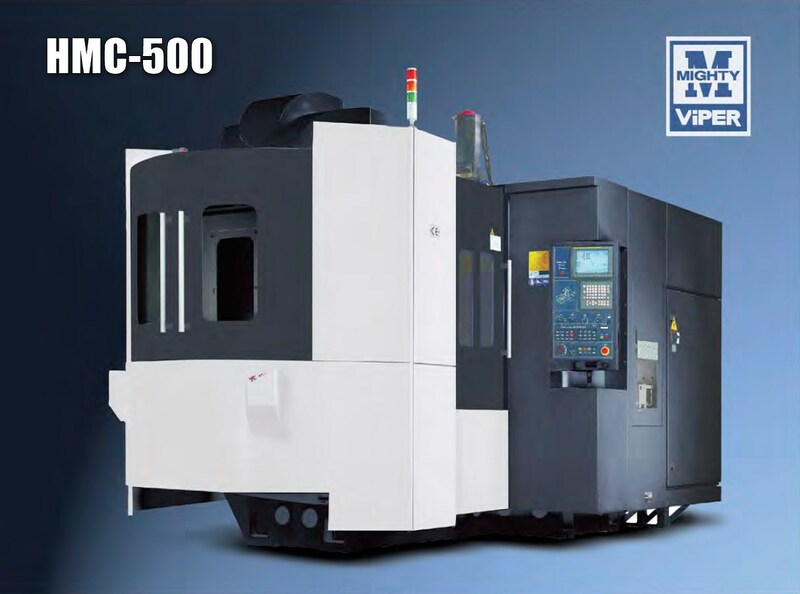 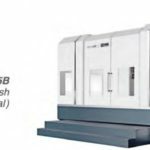 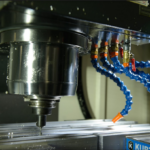 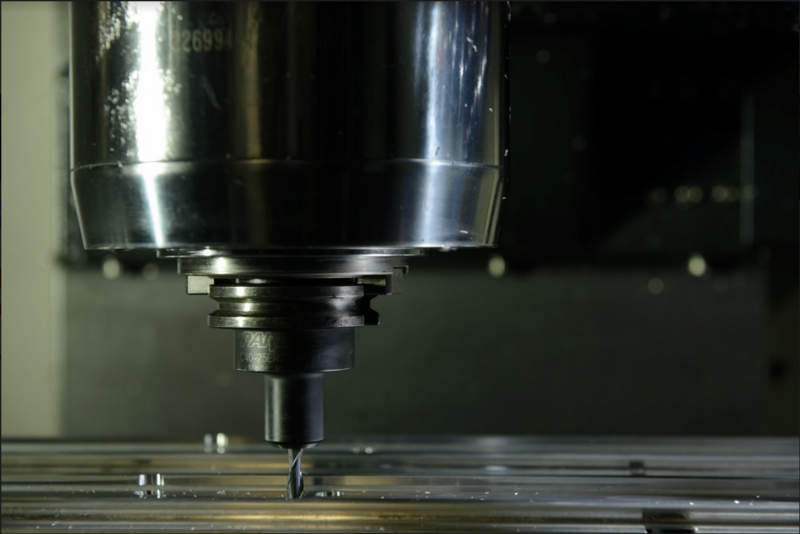 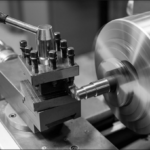 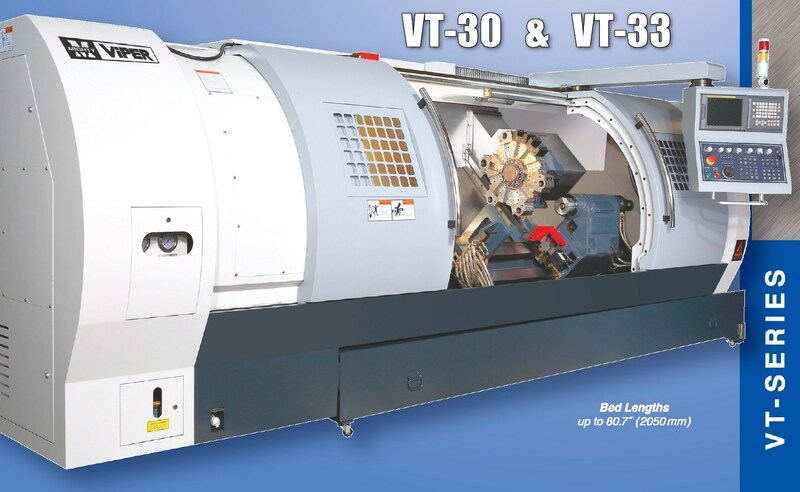 Mighty Viper offers a wide-range of machining centers that are able to satisfy the most demanding standards for precision metal cutting applications. 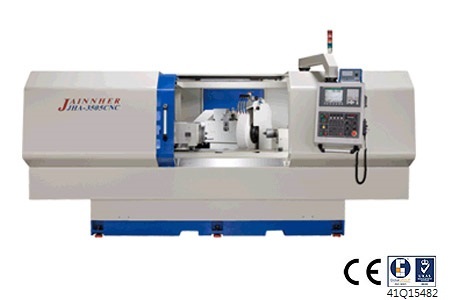 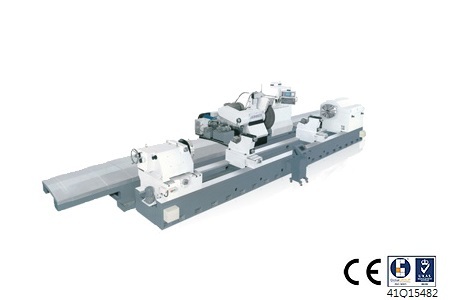 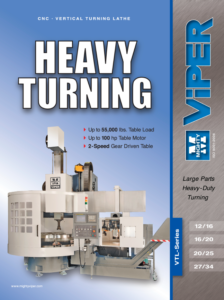 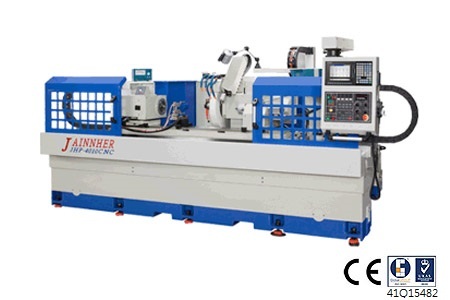 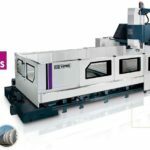 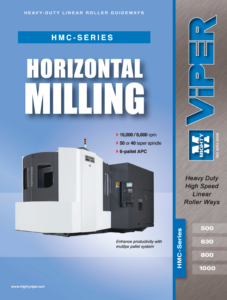 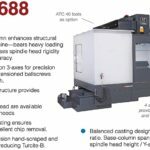 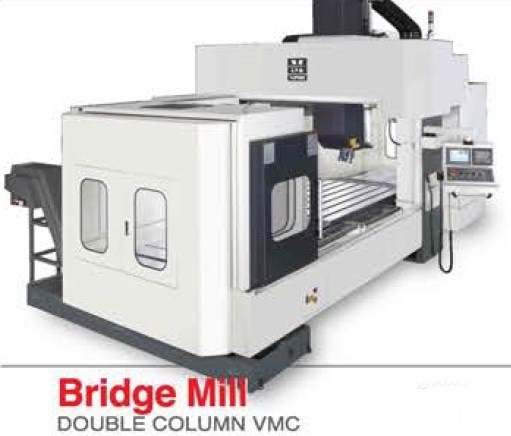 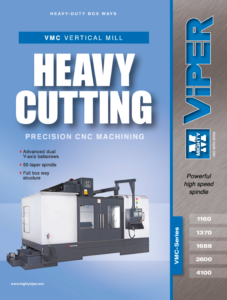 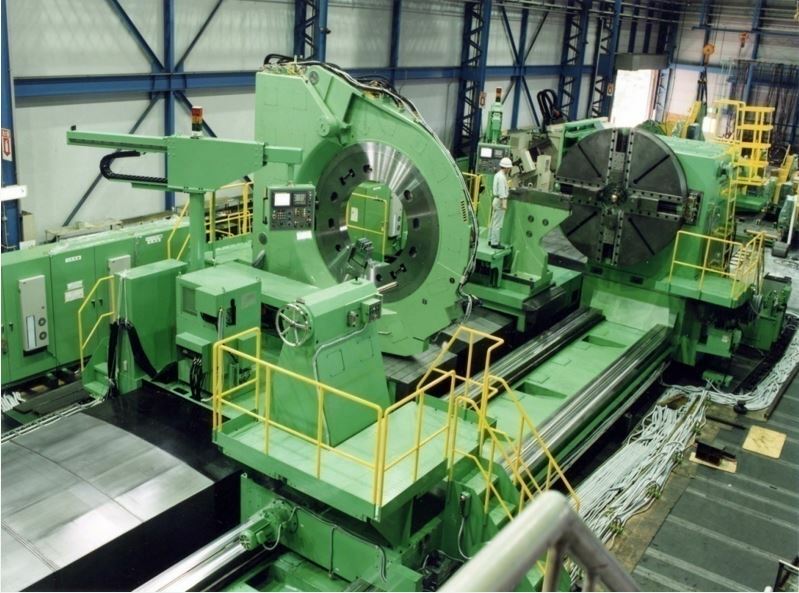 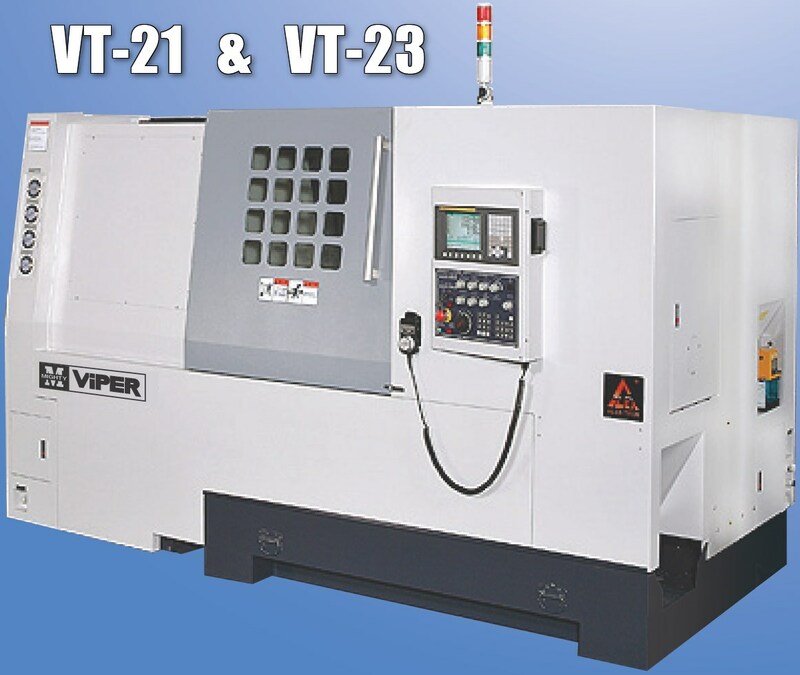 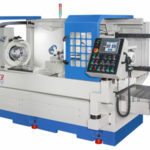 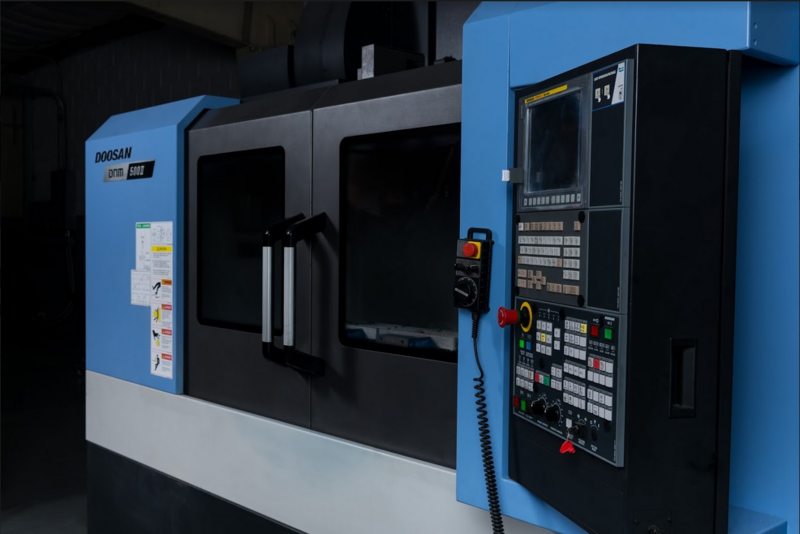 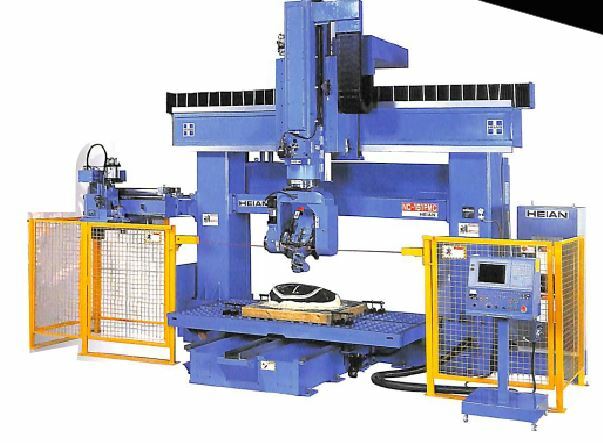 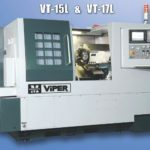 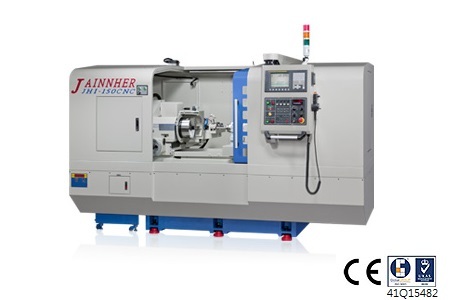 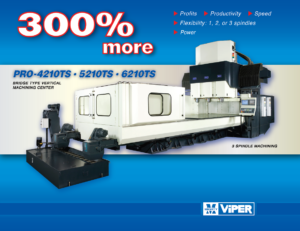 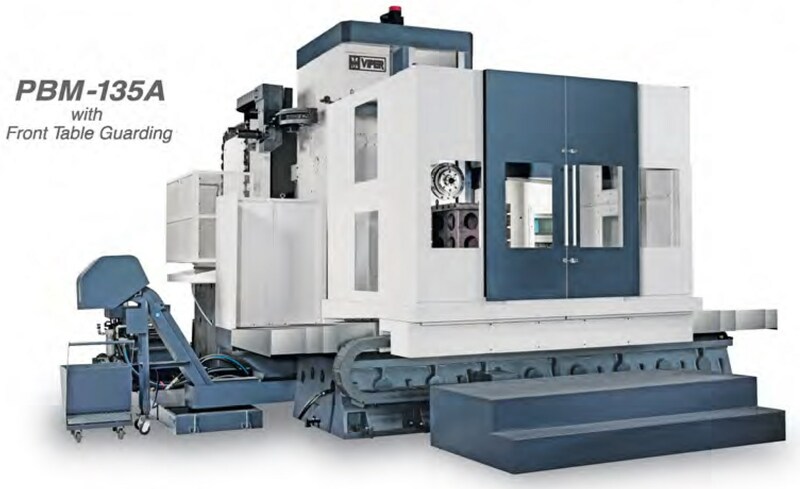 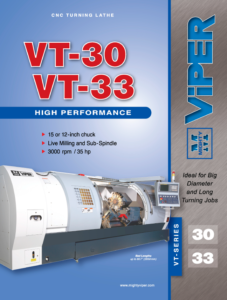 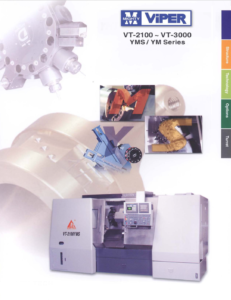 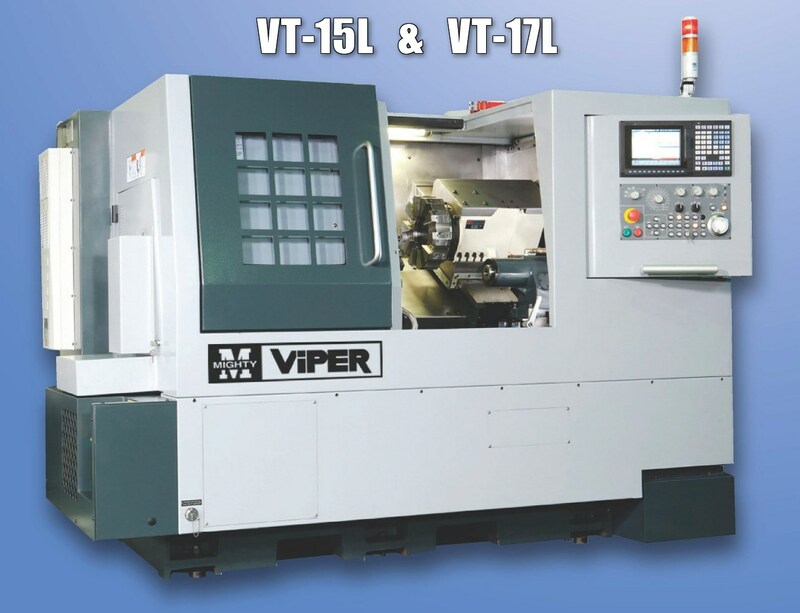 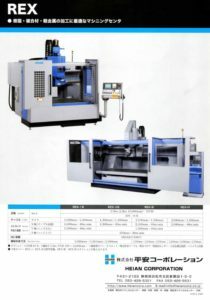 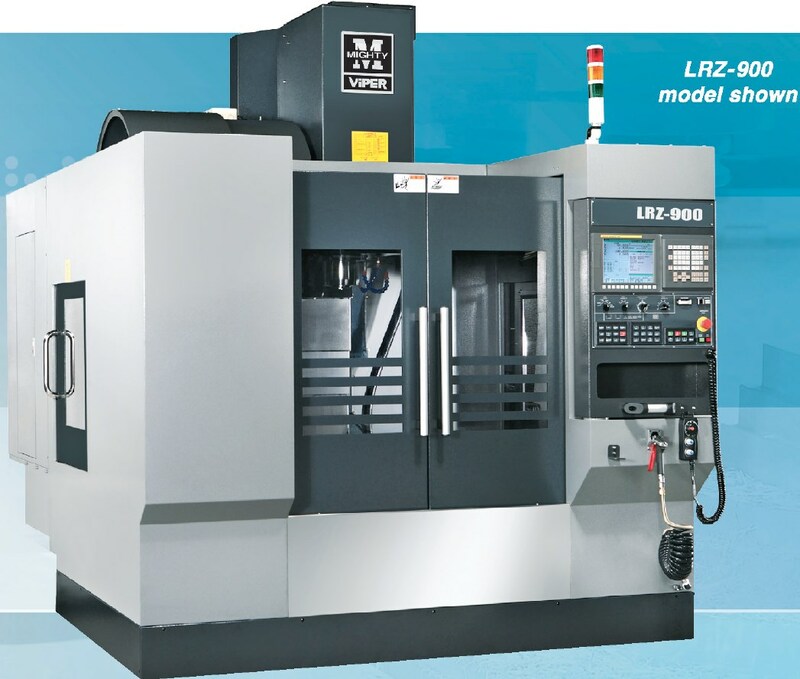 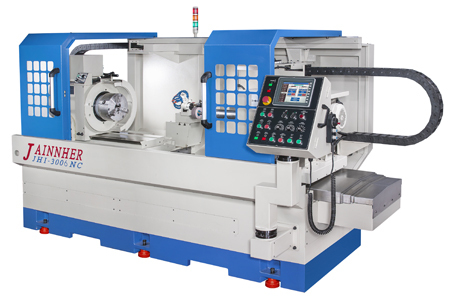 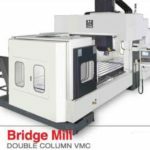 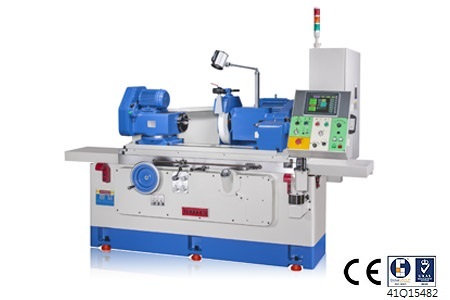 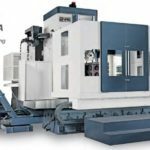 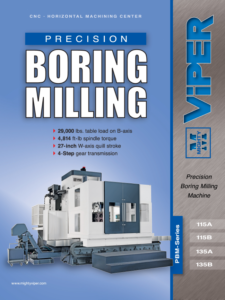 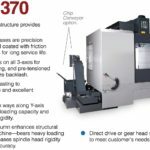 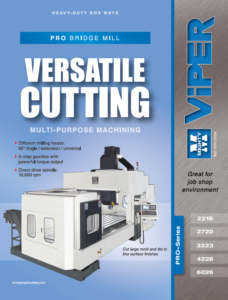 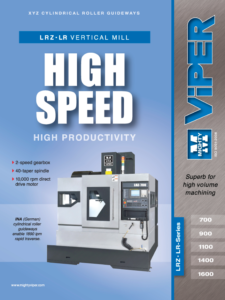 Mighty Viper focuses on six machine types: bridge mill, vertical mill, horizontal boring mill, vertical turning lathe, horizontal turning lathe, and 5-face machining. 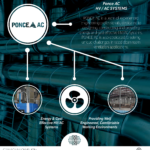 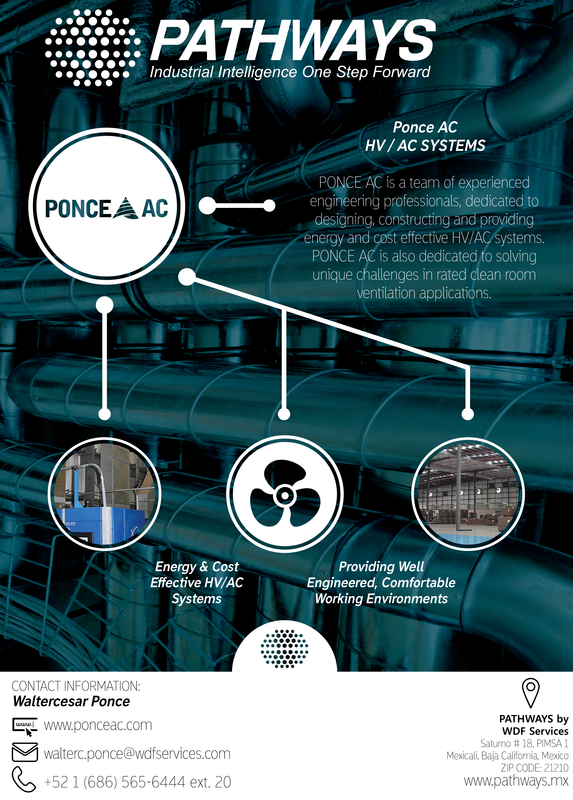 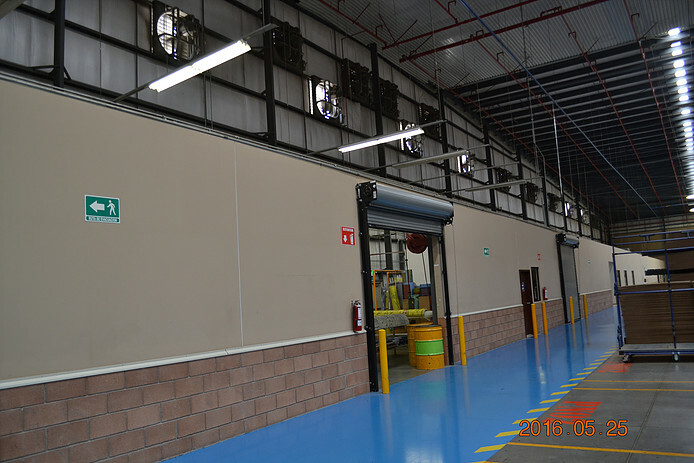 Its overall experience in the HV/AC market,has positioned PONCEAC as a solid solutions business; providing engineering,consulting and installation services for industrial complexes. 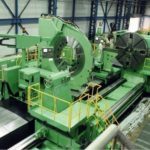 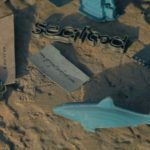 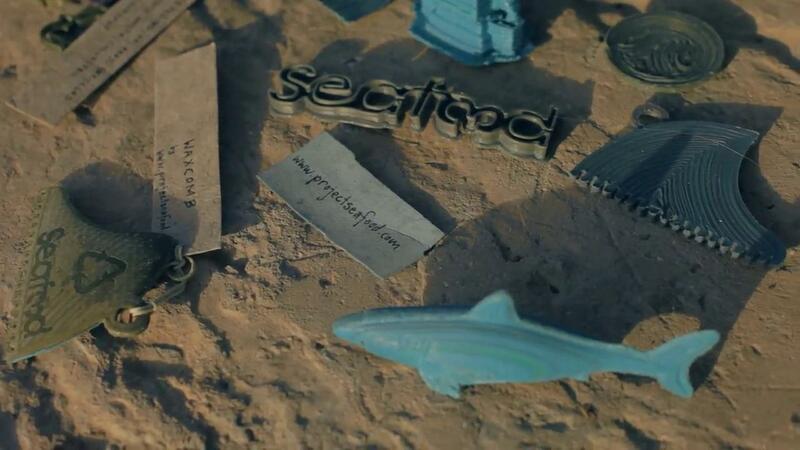 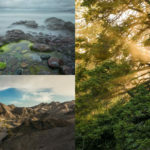 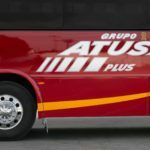 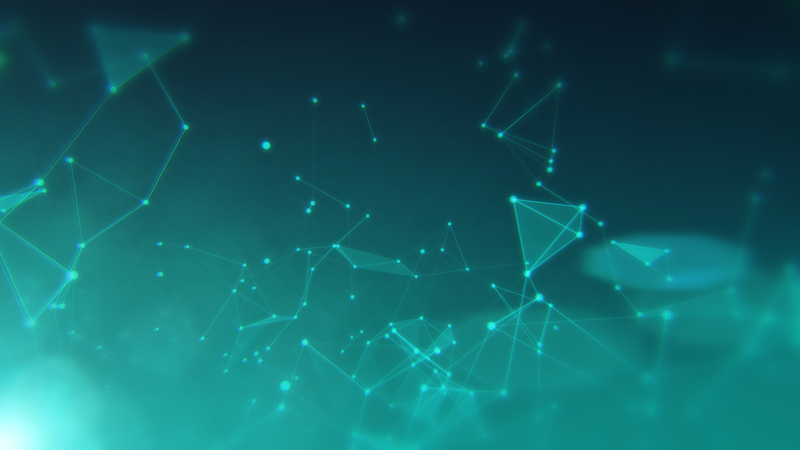 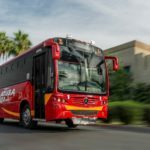 For over 25 years, we have been driven by the needs of our customers and their unique business challenges within their industries, striving to make them more competitive and more efficient while accelerating their time to market. 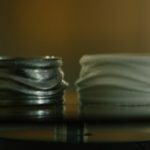 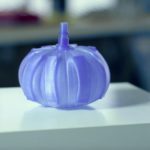 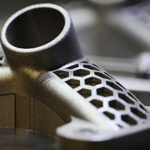 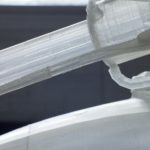 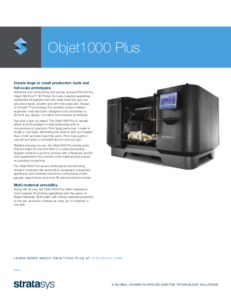 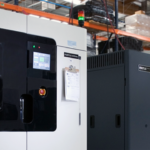 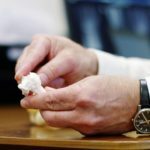 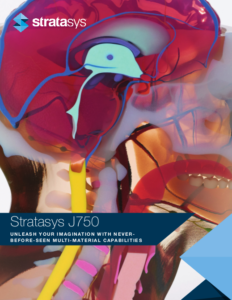 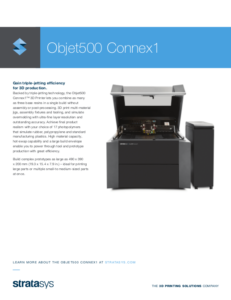 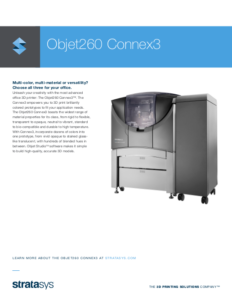 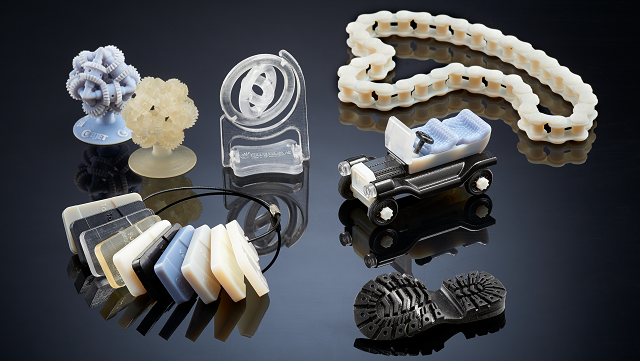 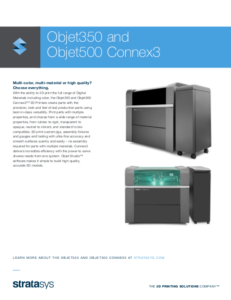 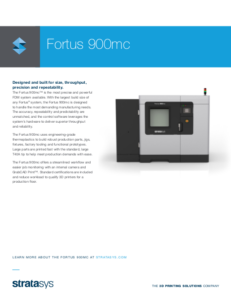 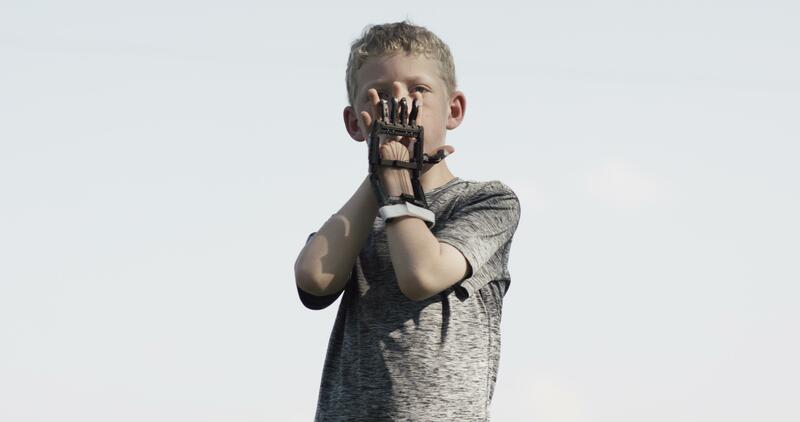 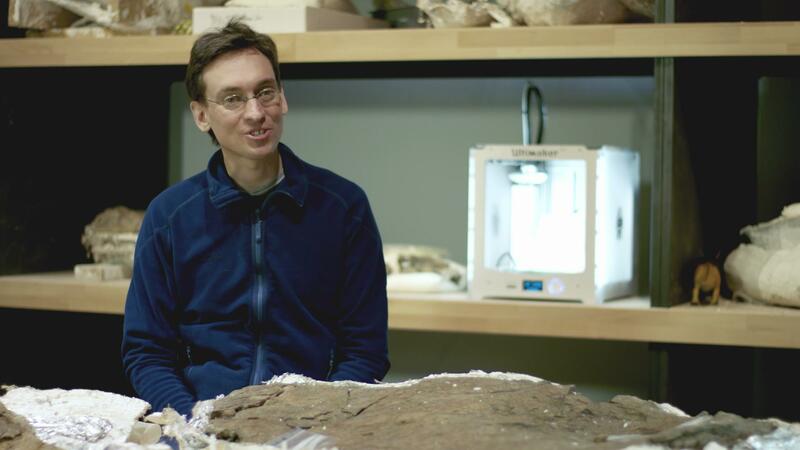 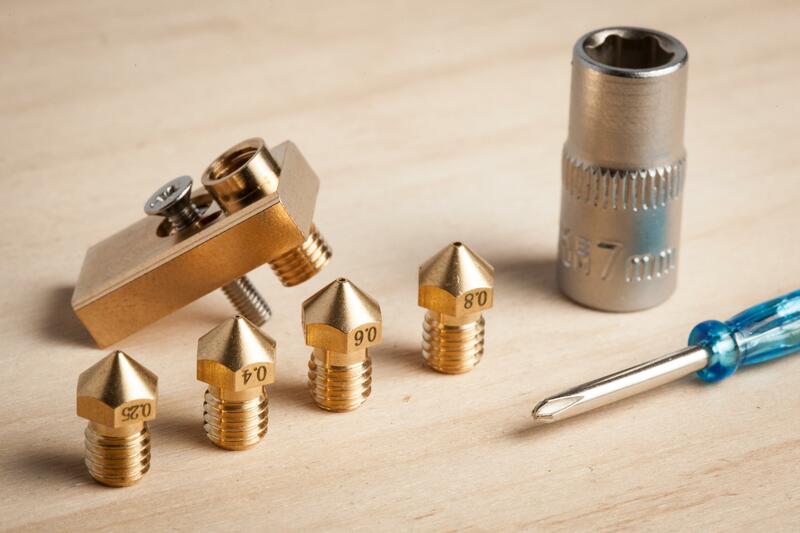 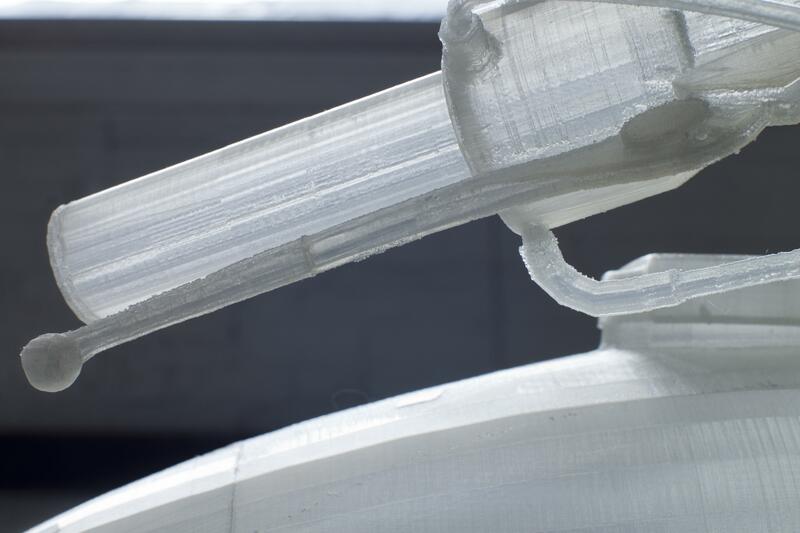 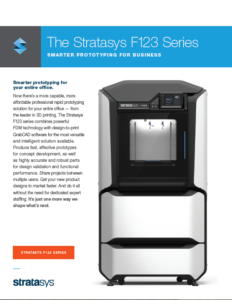 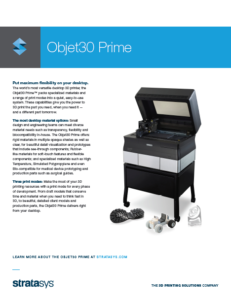 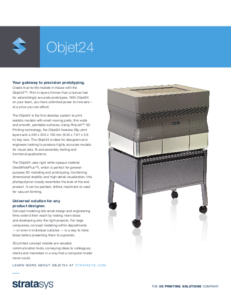 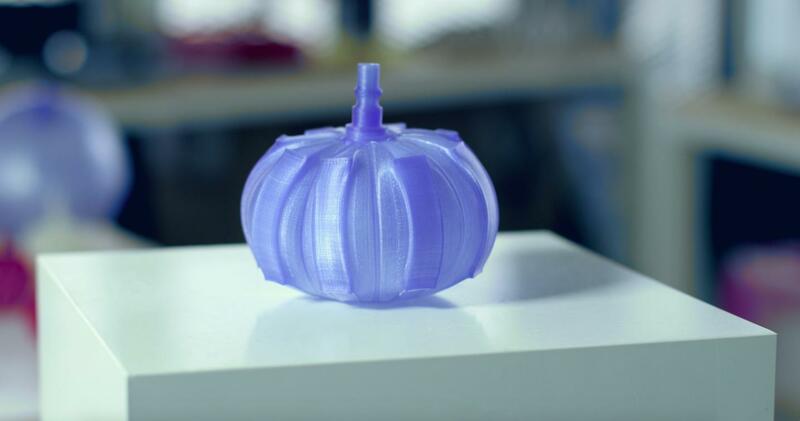 Our customers rely upon our capabilities and trust our technological leadership in 3D printing to serve as a catalyst for taking full advantage of additive manufacturing solutions. 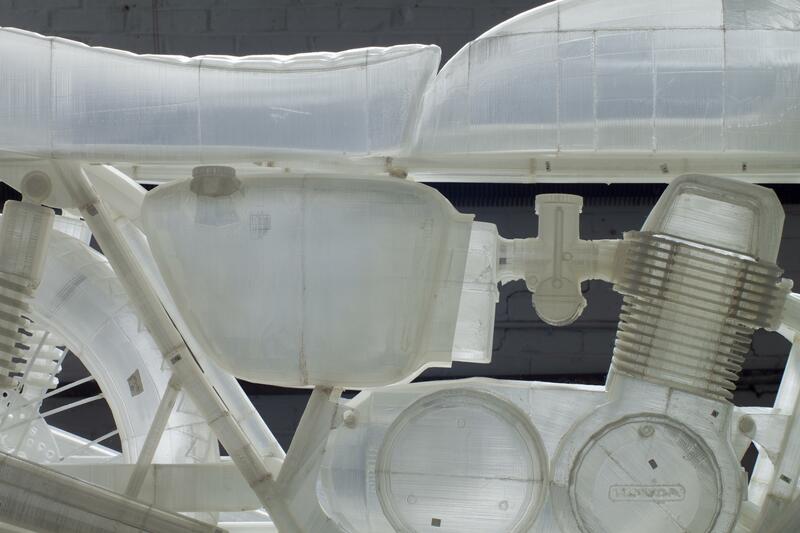 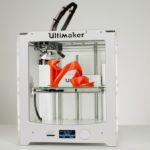 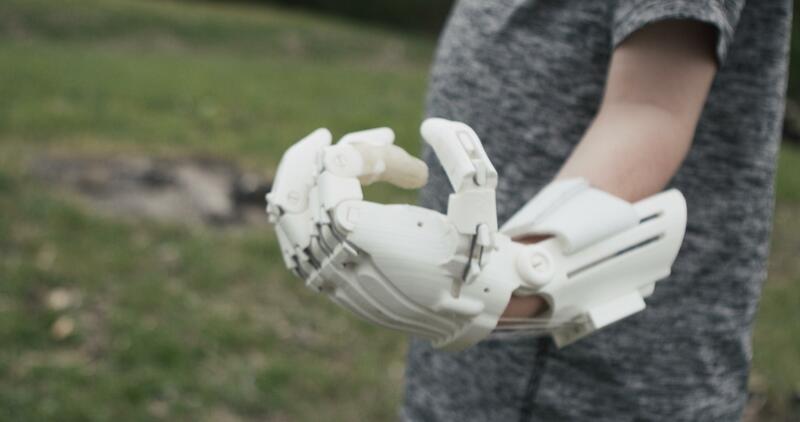 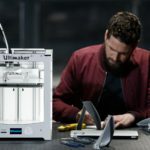 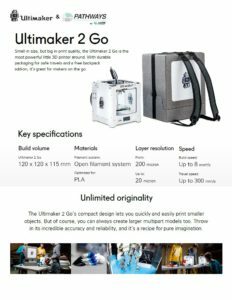 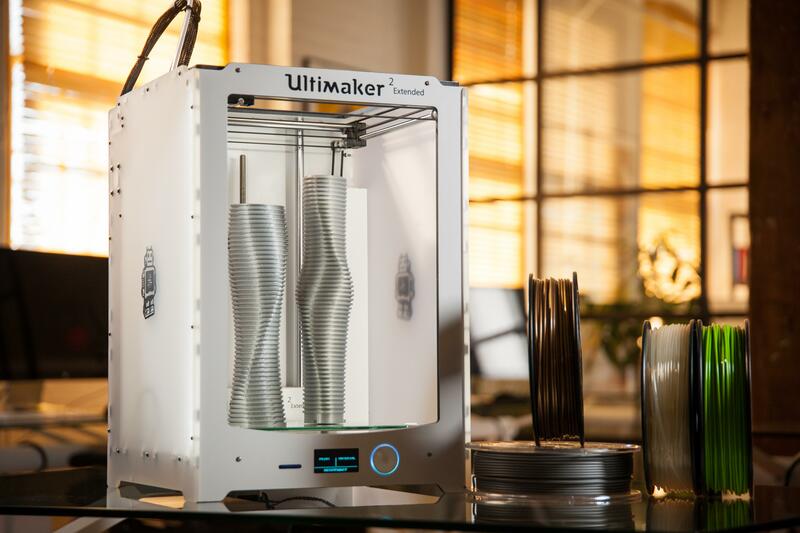 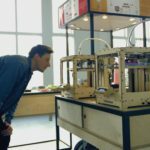 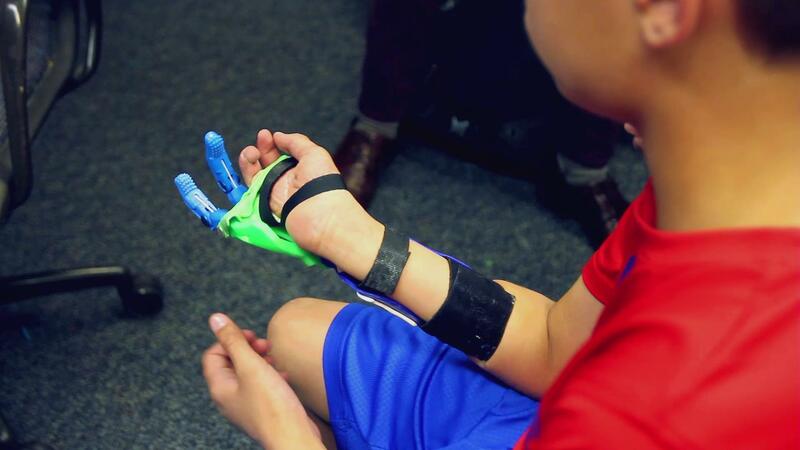 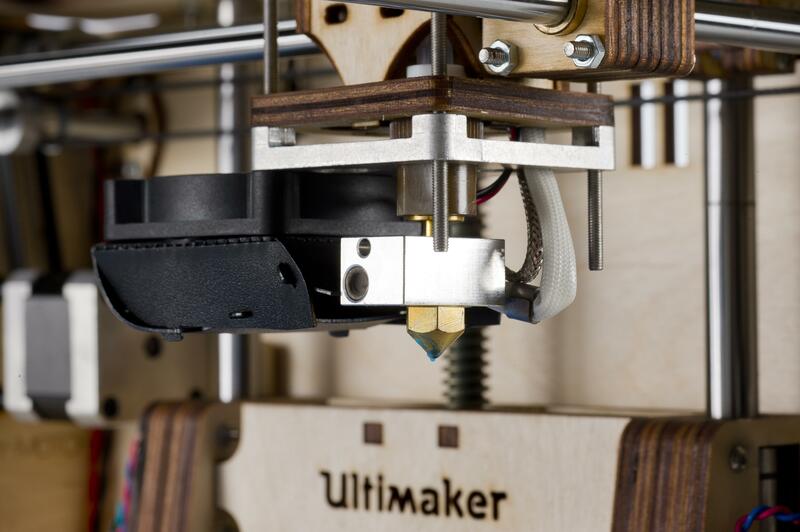 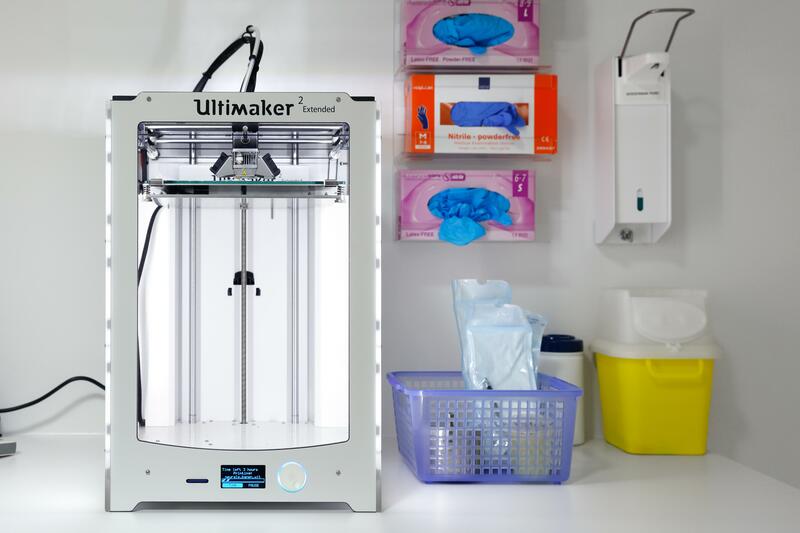 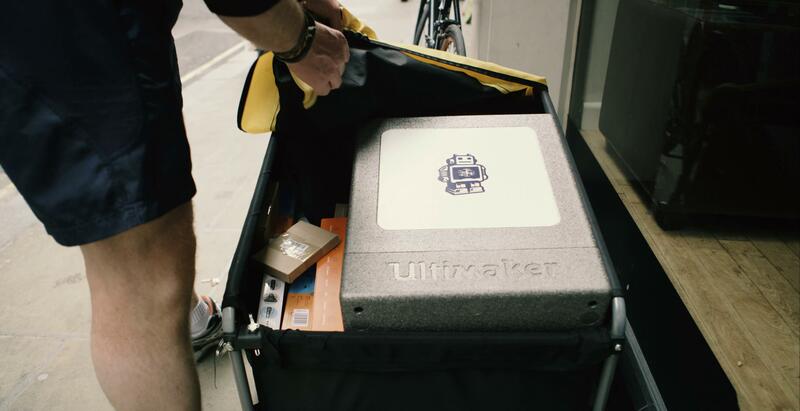 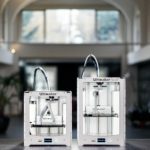 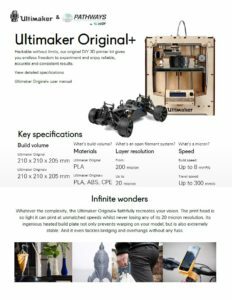 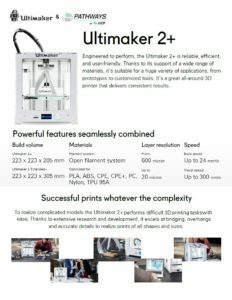 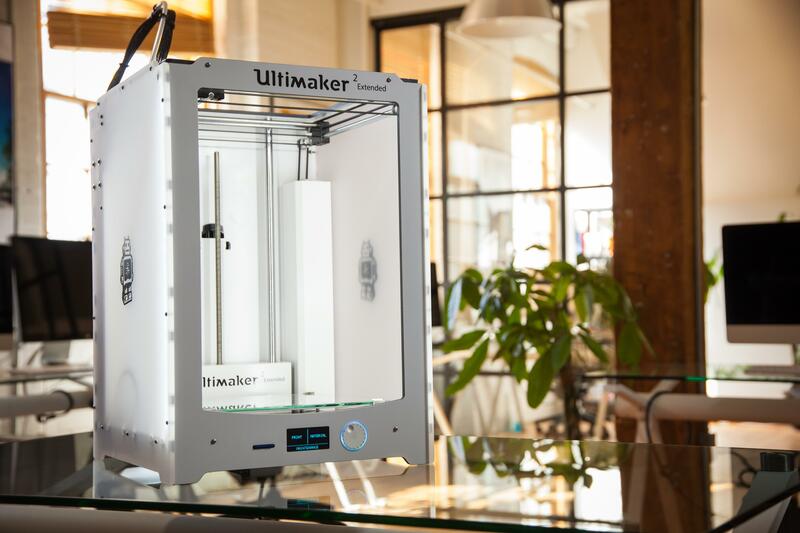 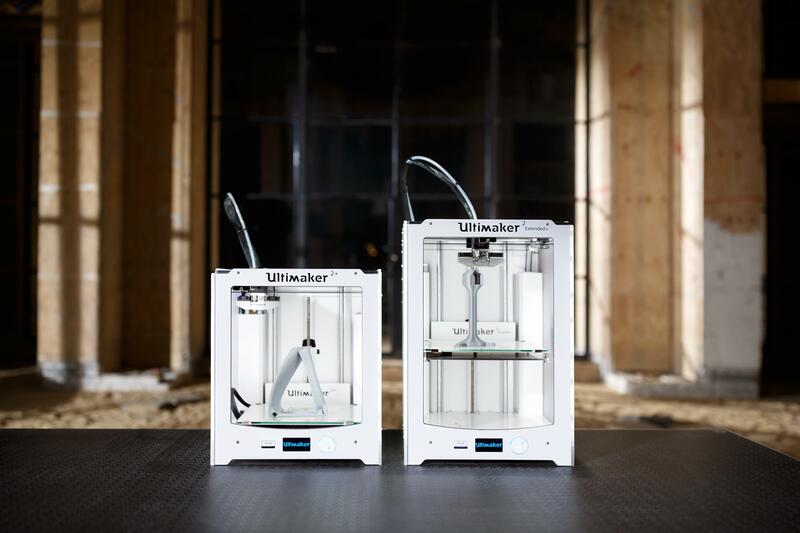 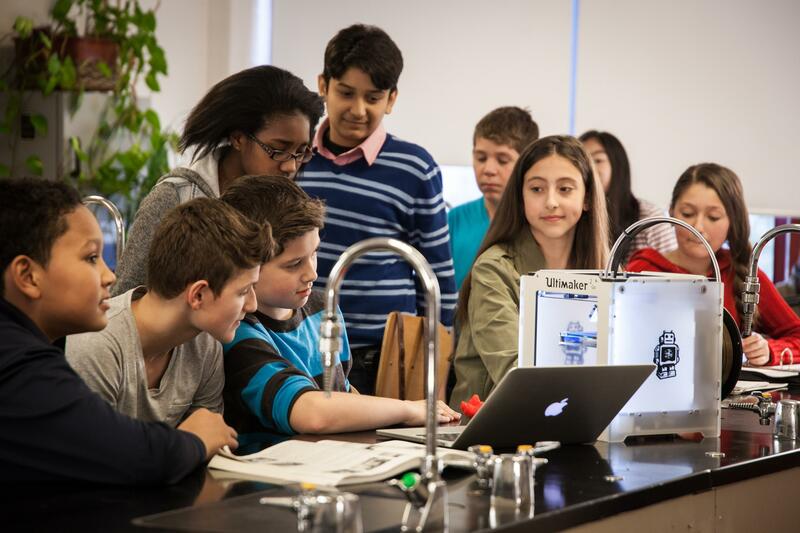 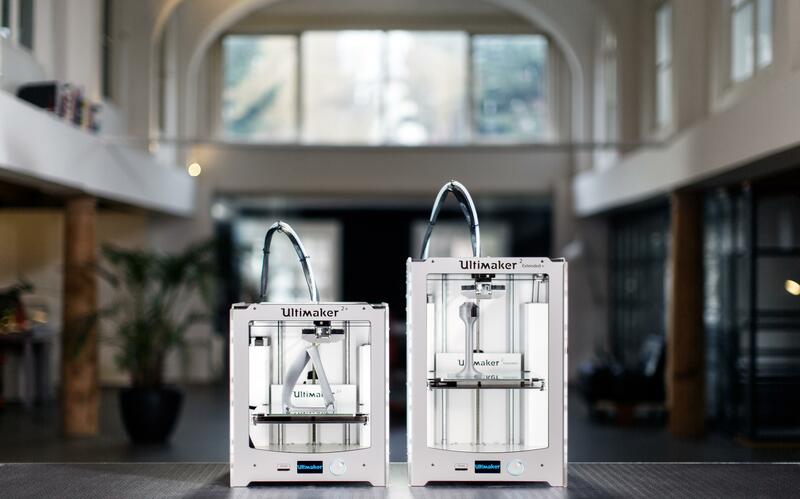 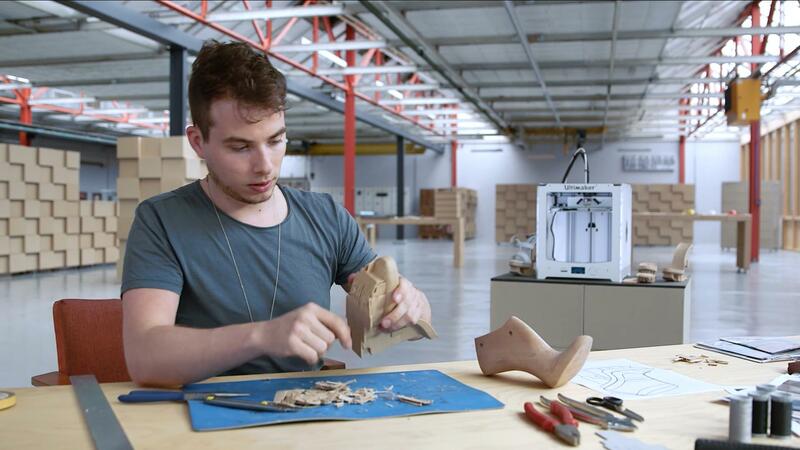 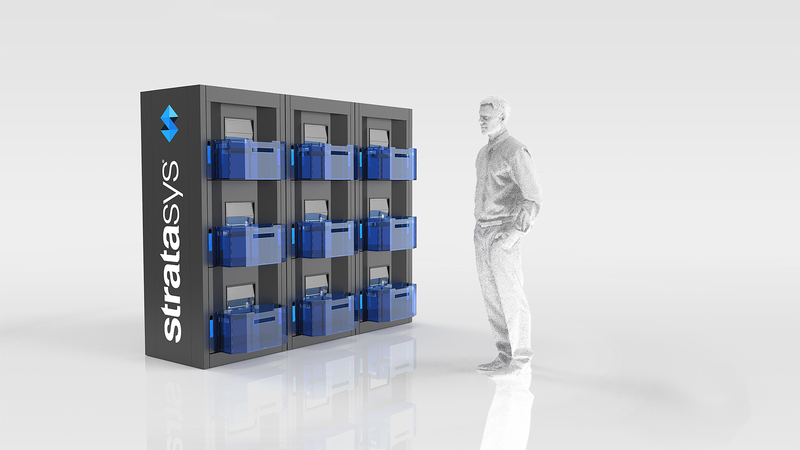 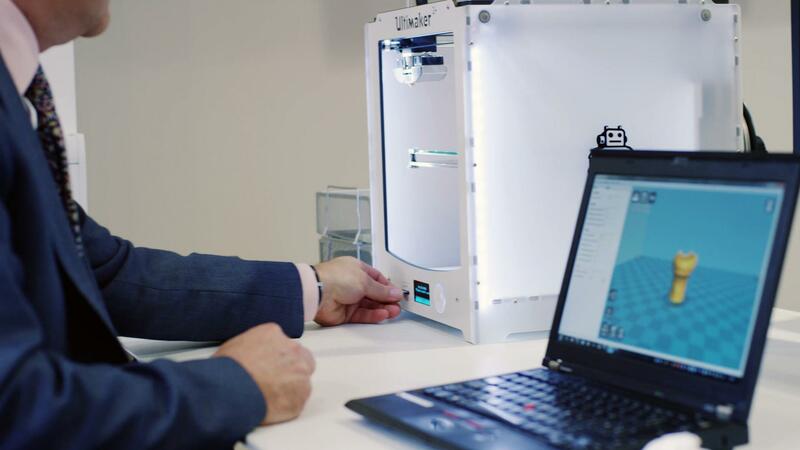 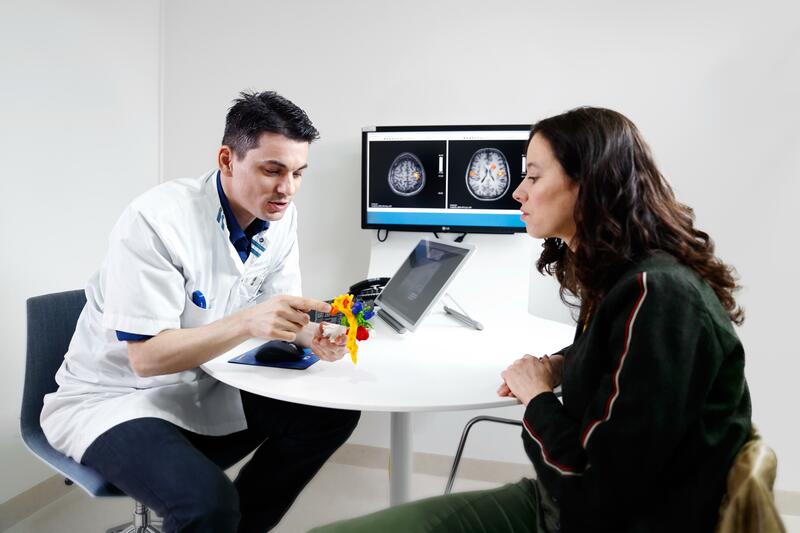 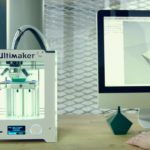 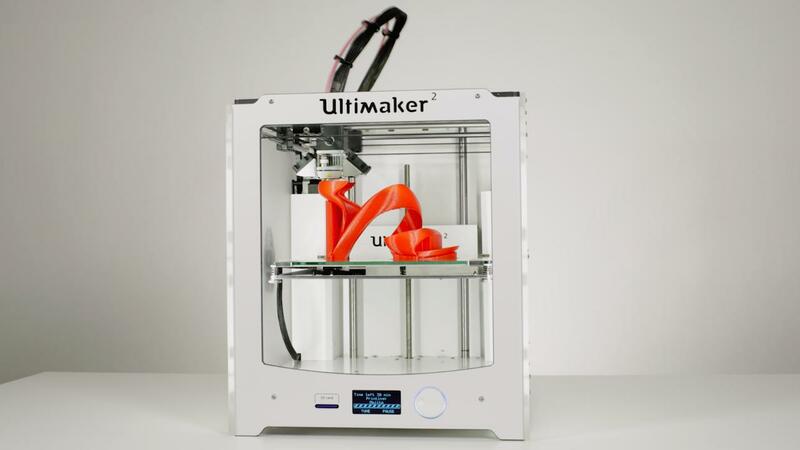 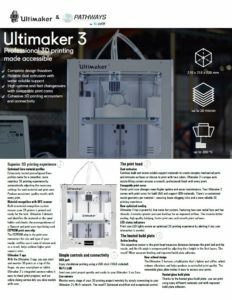 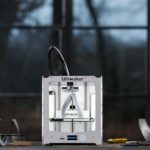 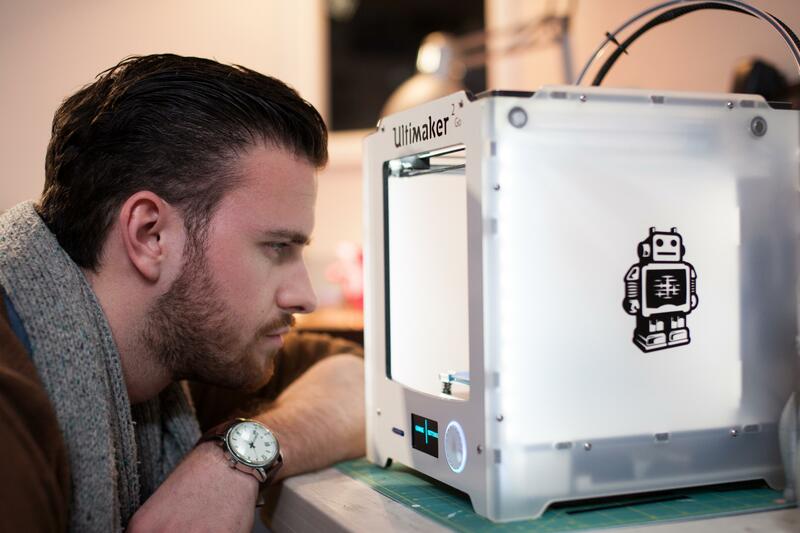 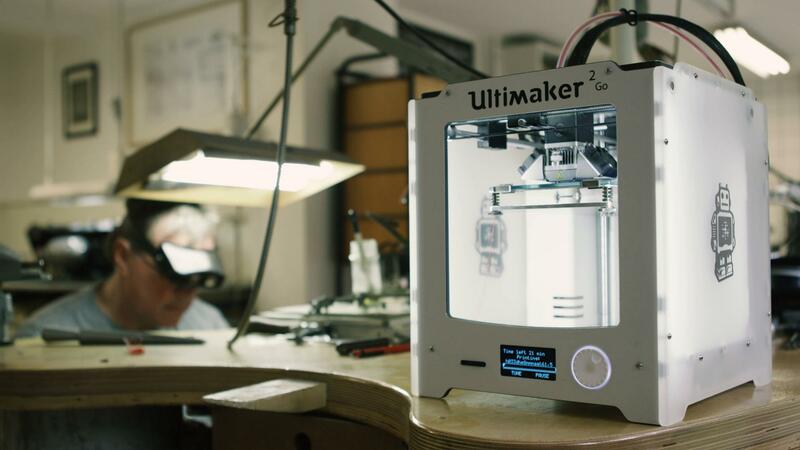 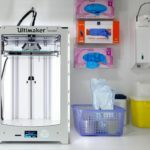 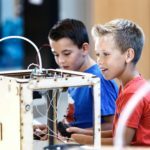 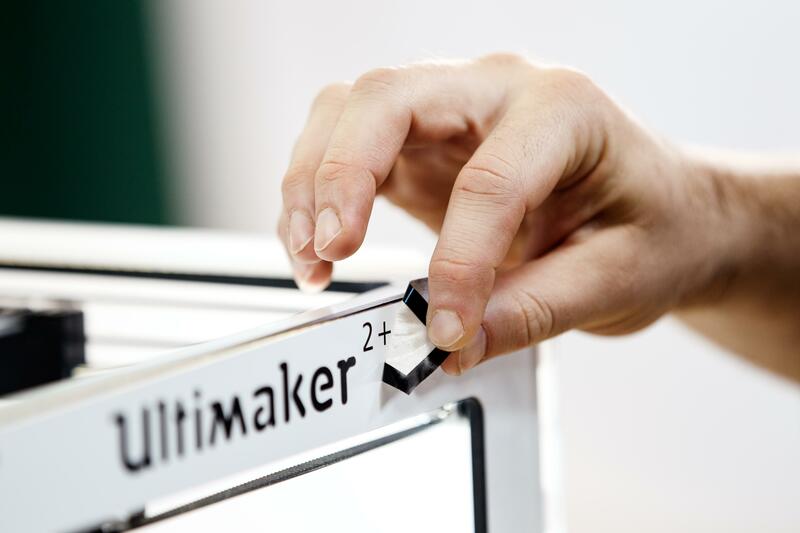 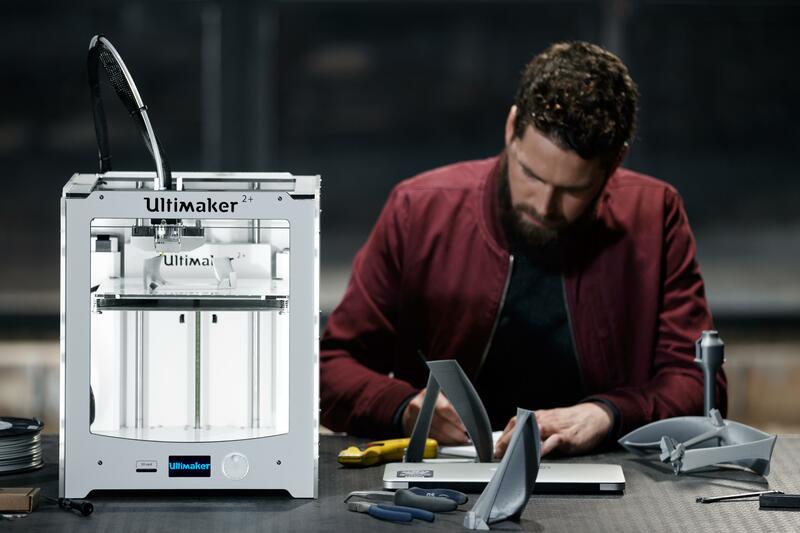 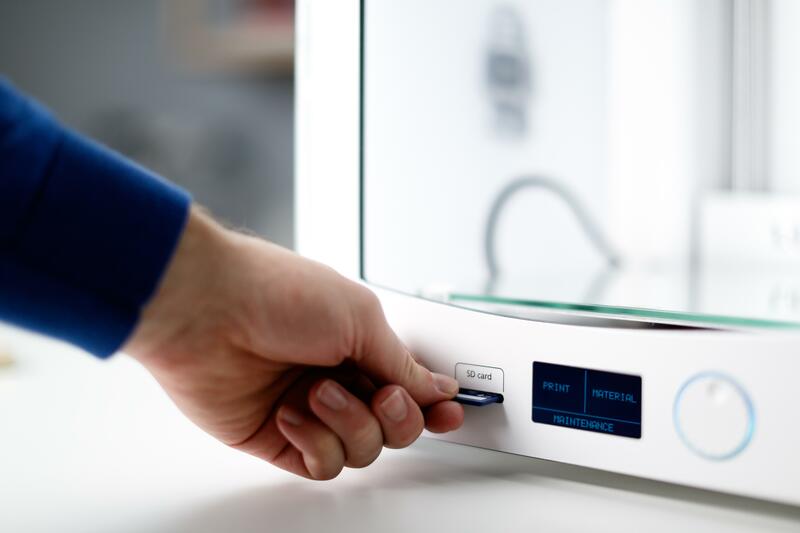 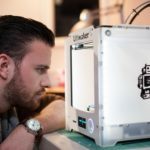 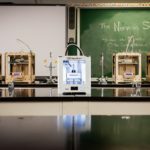 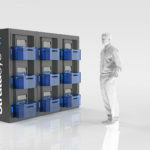 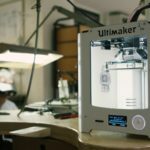 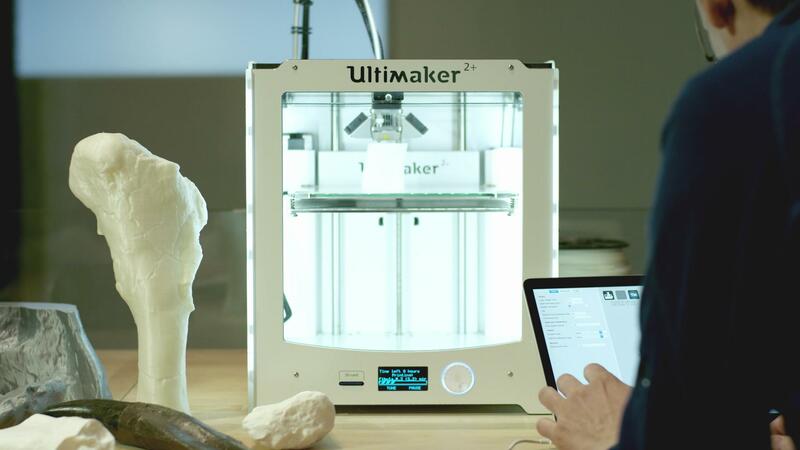 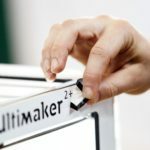 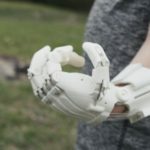 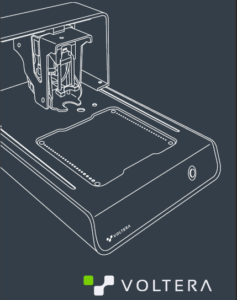 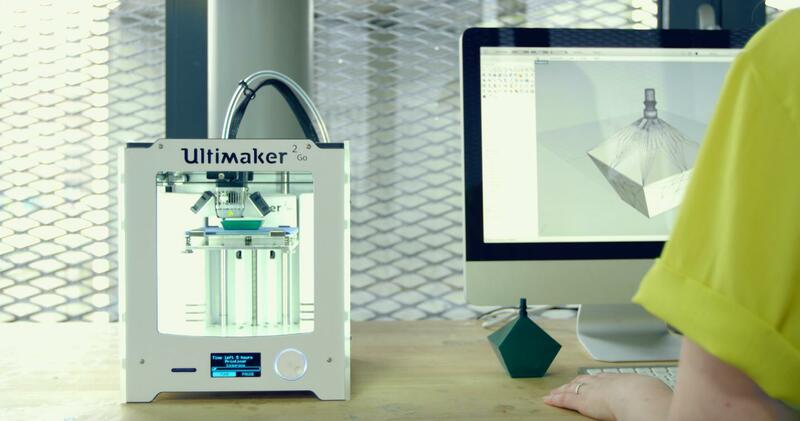 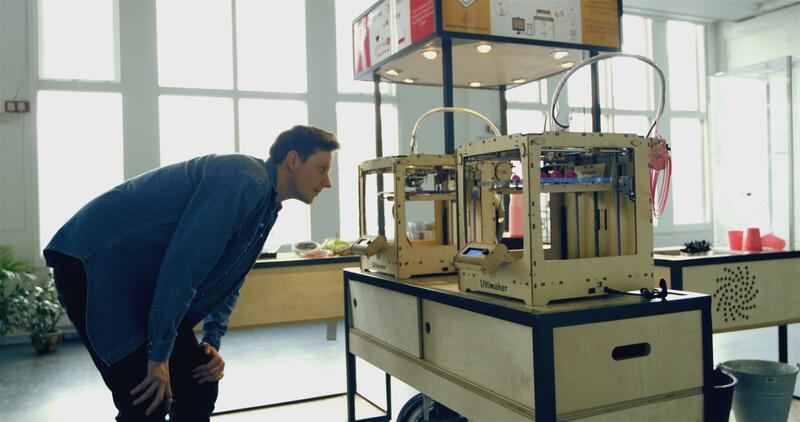 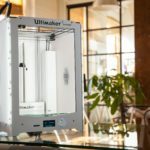 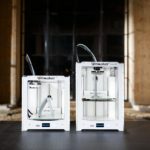 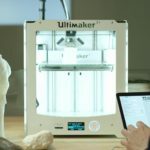 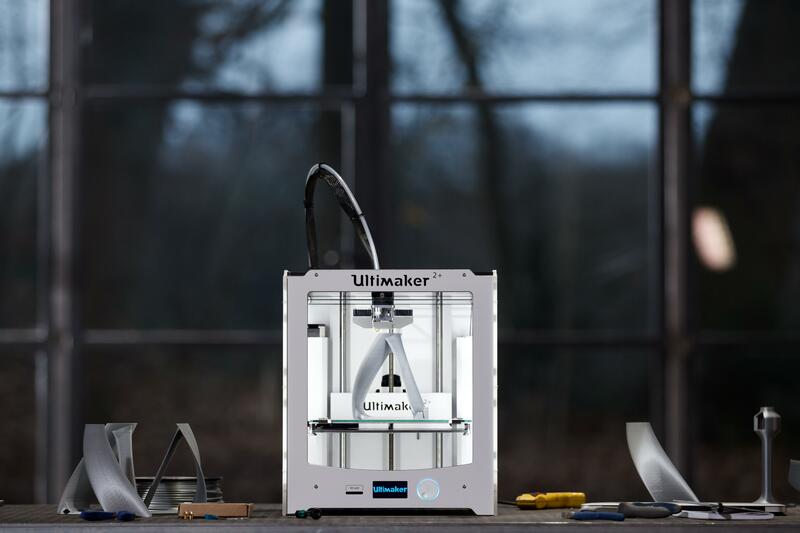 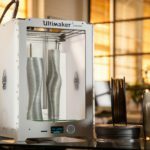 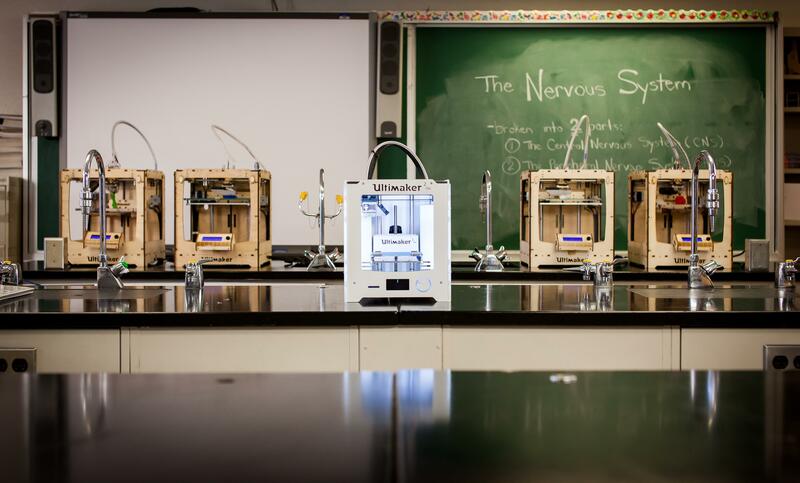 Ultimaker offers Professional and Accessible 3D Printing Machines. 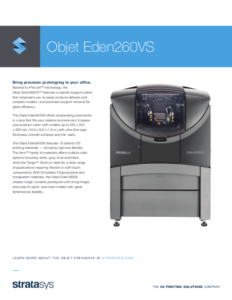 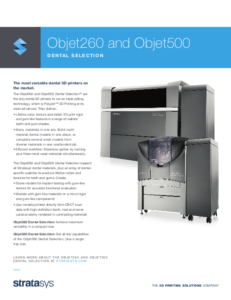 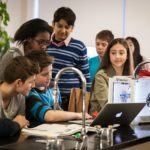 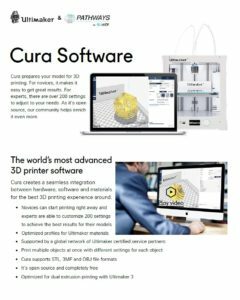 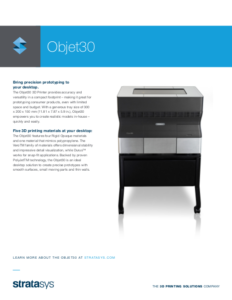 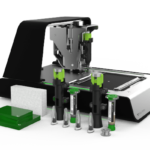 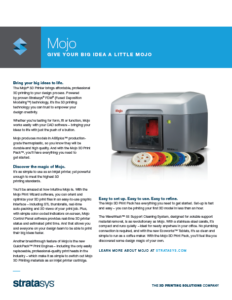 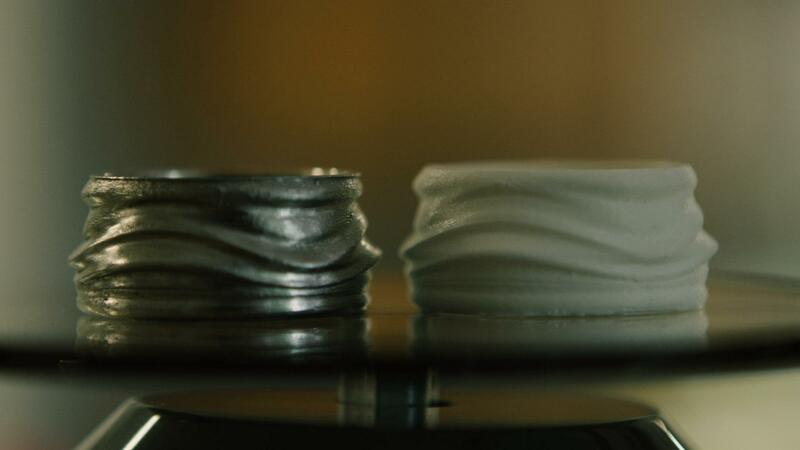 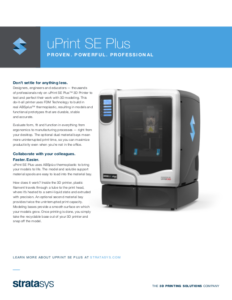 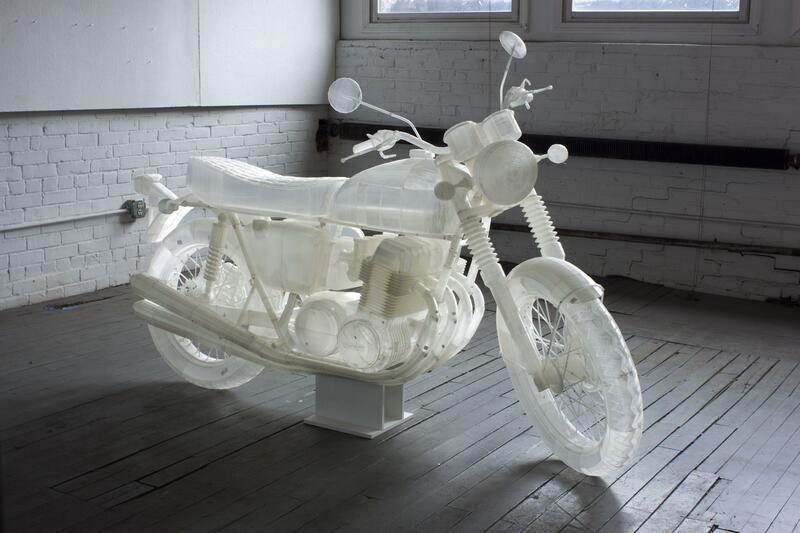 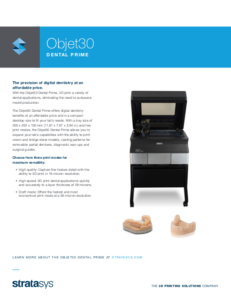 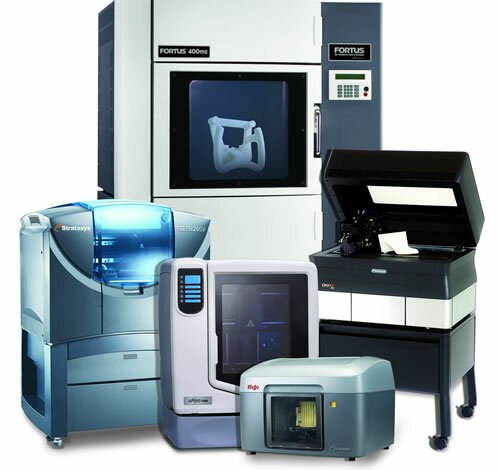 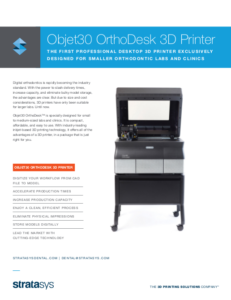 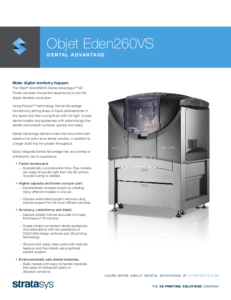 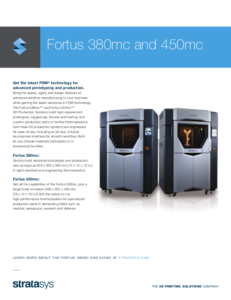 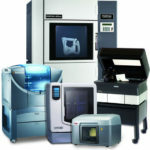 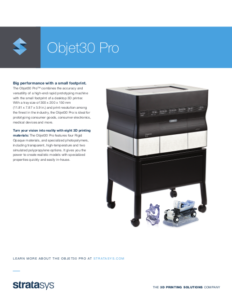 We offer an array of different 3D printers which can adjust to your specific needs. 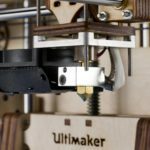 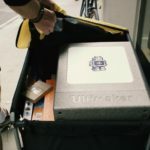 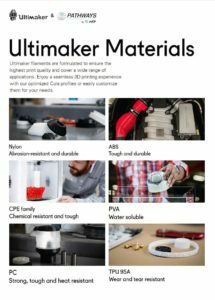 Ultimaker also sells high quality plastic filaments and material for your 3D printers and projects. 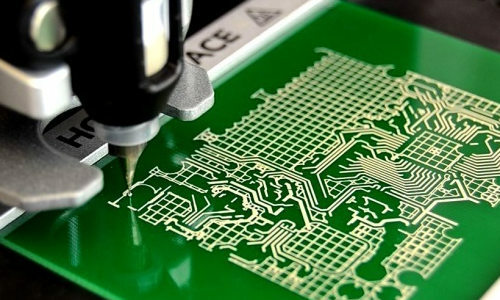 The Voltera team is on a mission to modernize the electronics industry. 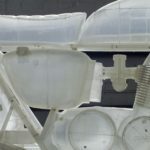 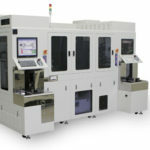 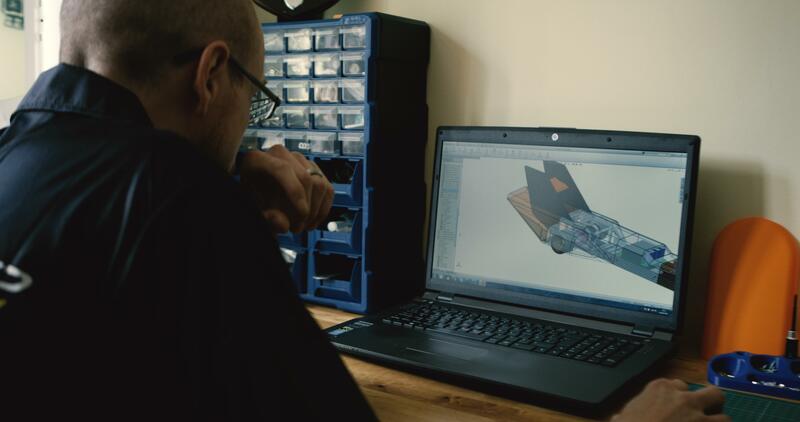 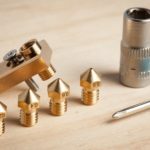 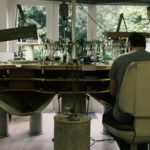 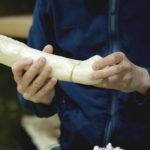 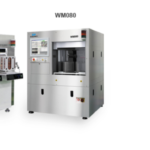 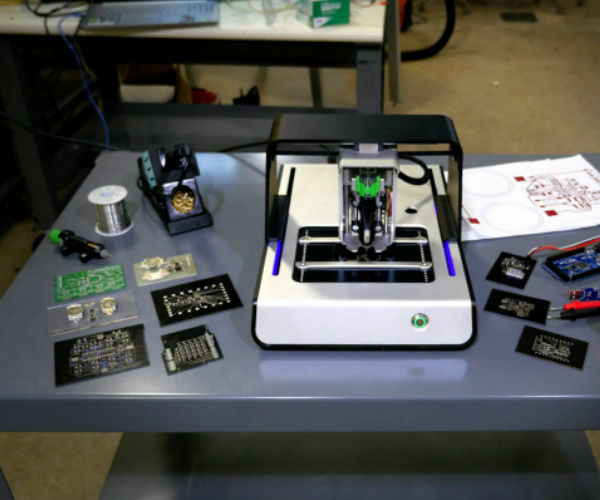 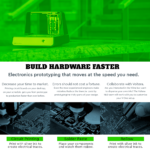 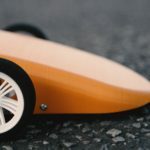 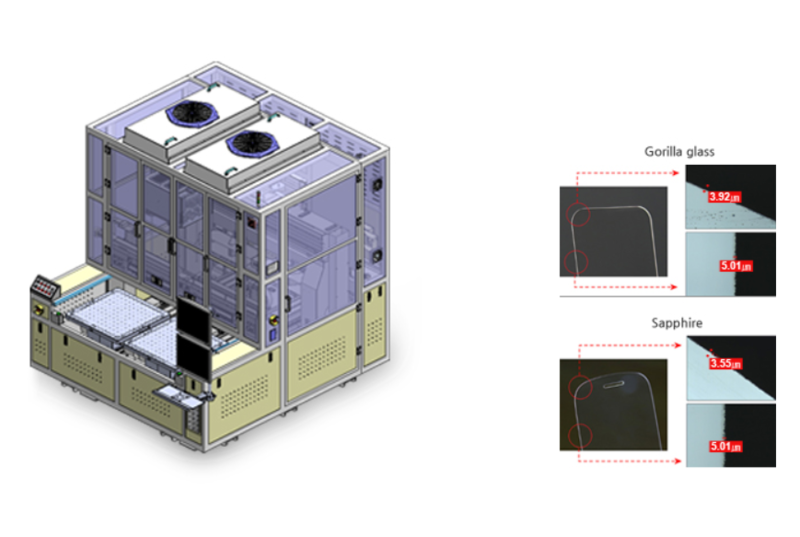 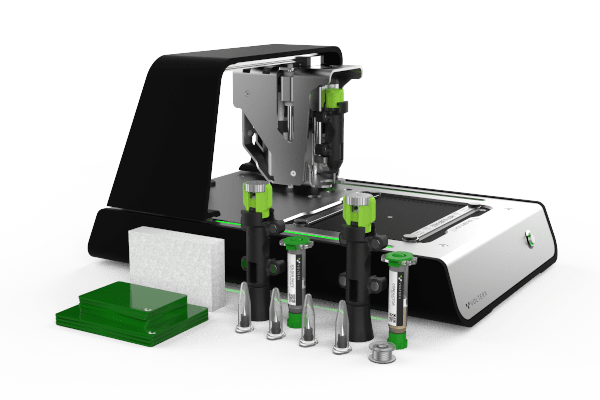 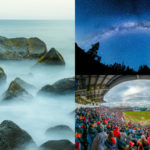 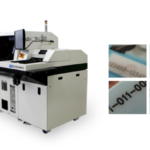 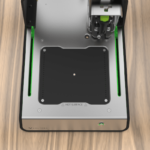 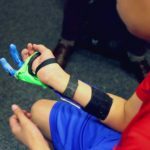 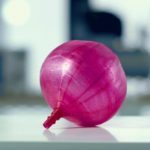 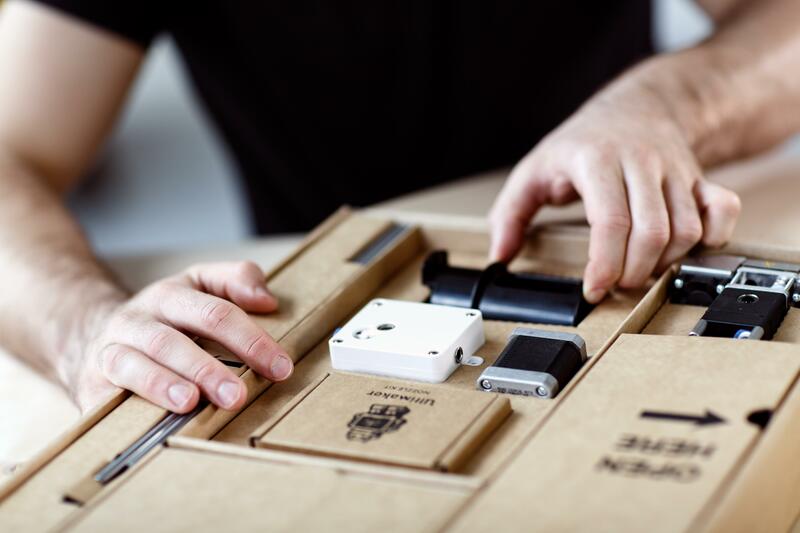 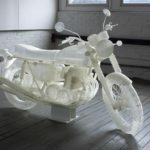 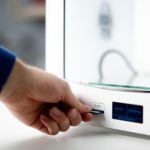 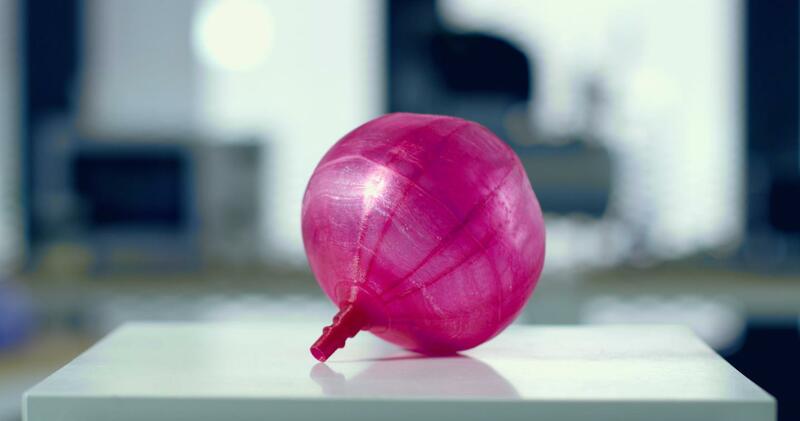 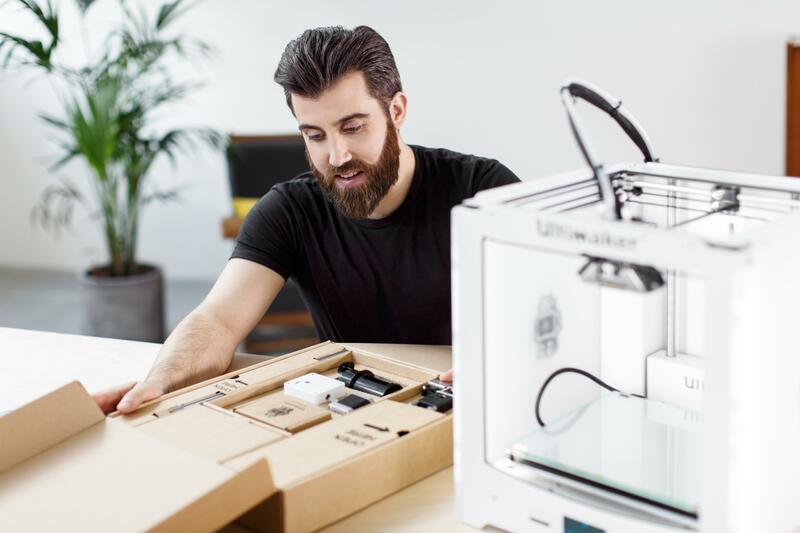 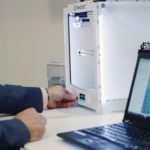 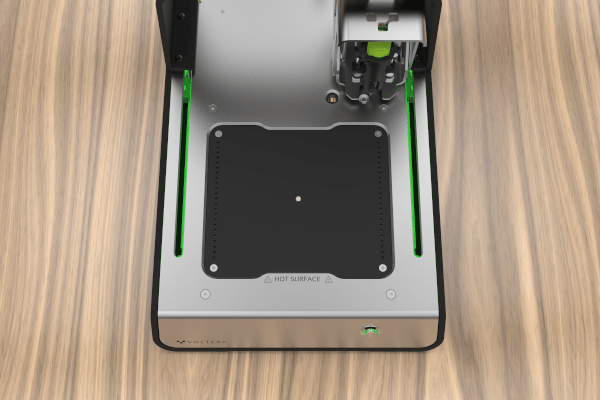 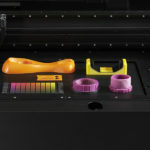 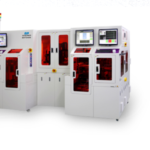 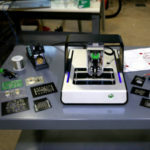 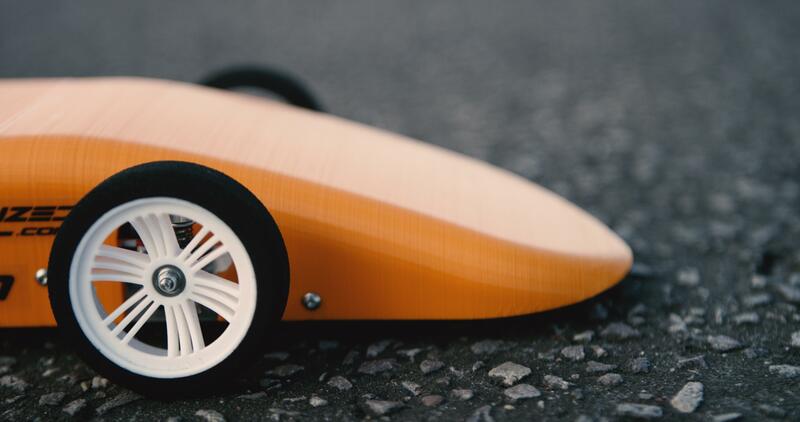 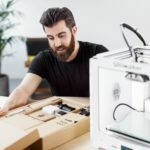 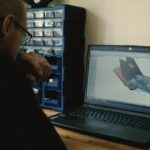 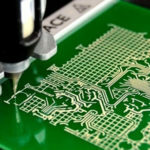 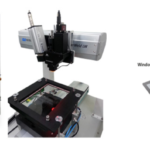 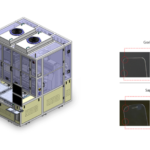 What began as an idea – that it is time for rapid prototyping to reach the electronics industry – has evolved into a growing company delivering on that vision. 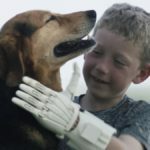 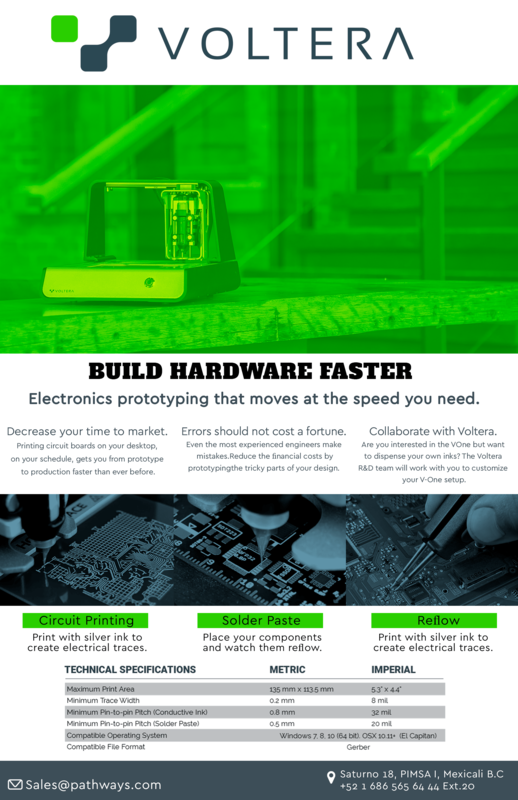 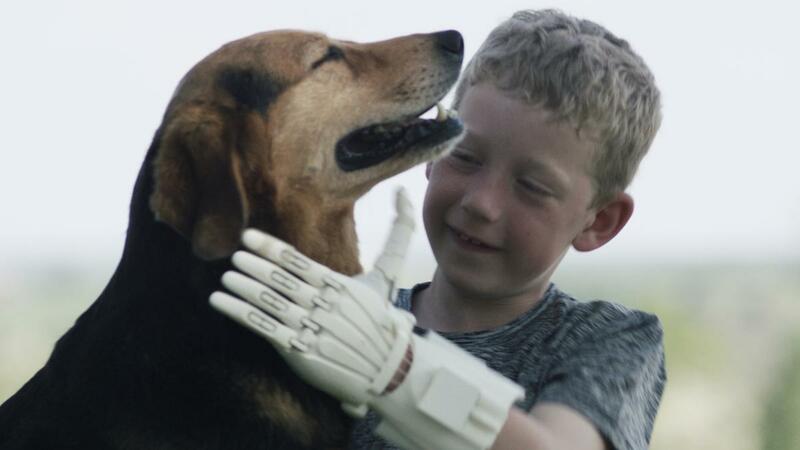 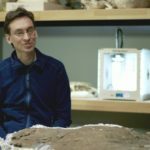 Every day people are using the Voltera V-One to prototype innovative electronics, discover new things, and learn more about electronics. 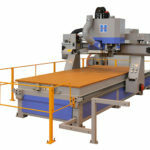 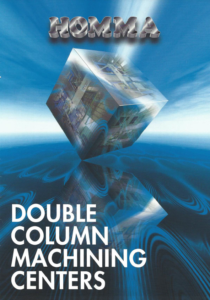 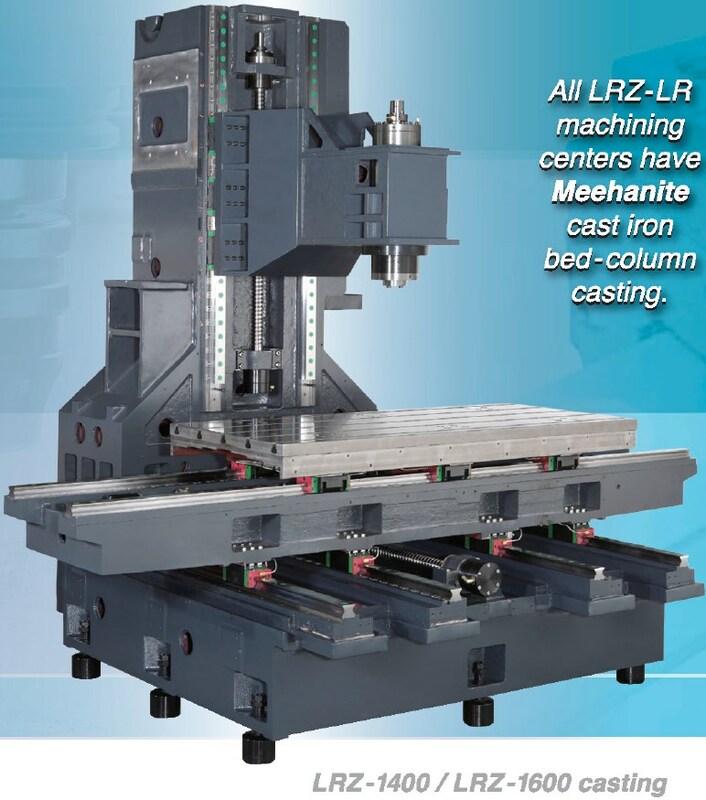 Metal - Mechanic Product Machining, Fabrication and Intelligent Solutions. 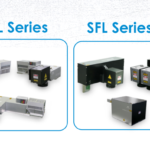 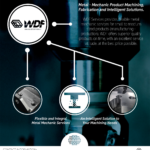 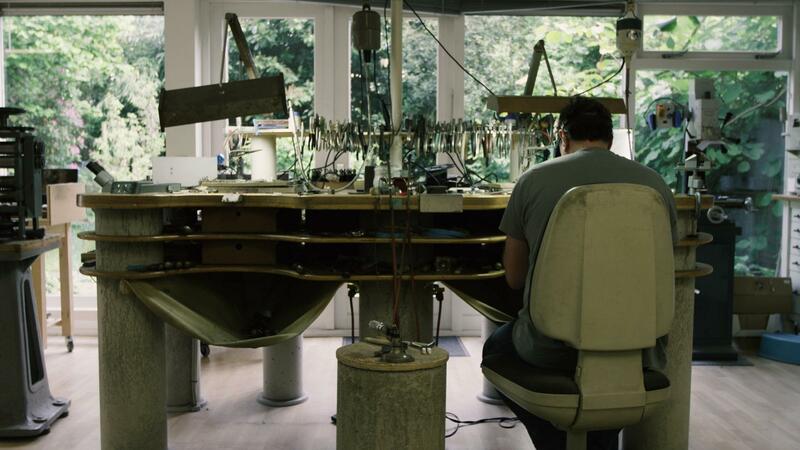 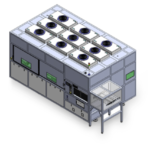 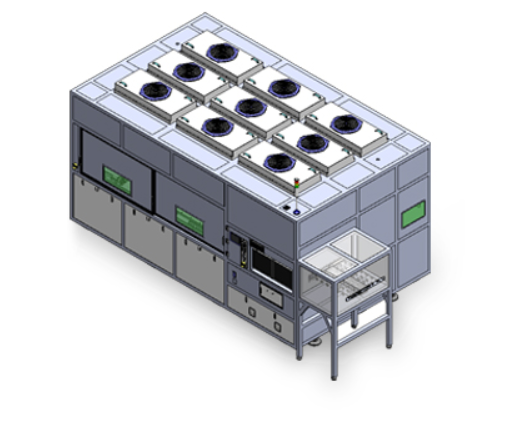 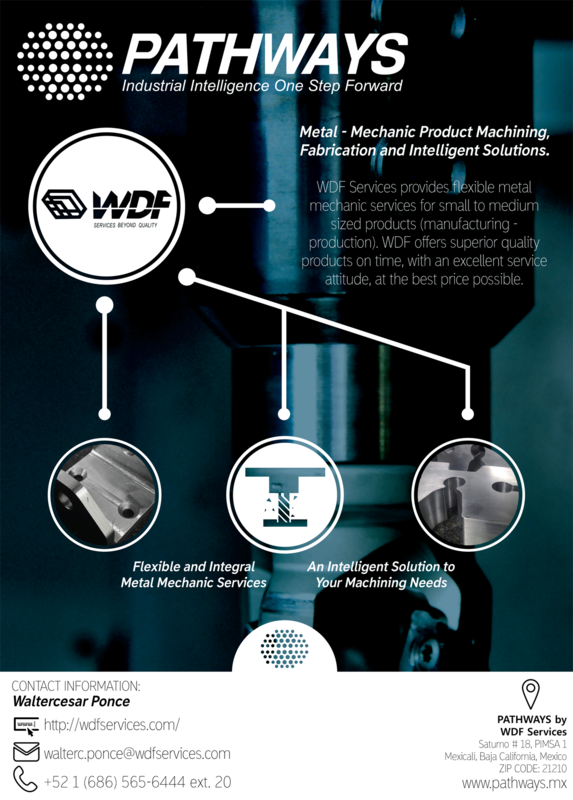 WDF Services provides flexible metal mechanic services for small to medium sized products (manufacturing -production). 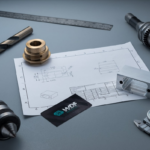 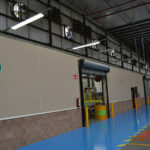 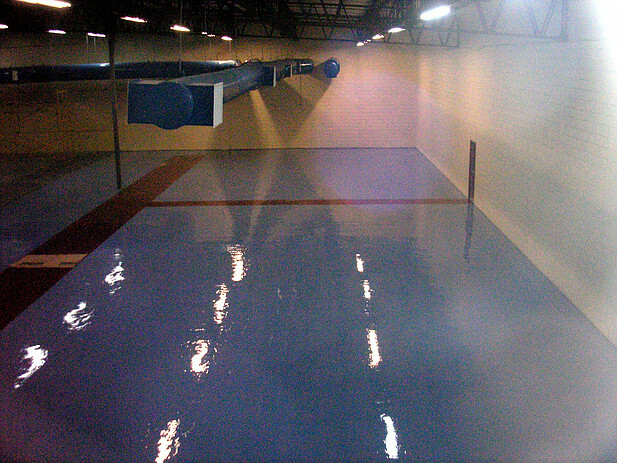 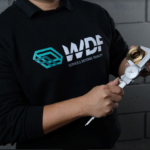 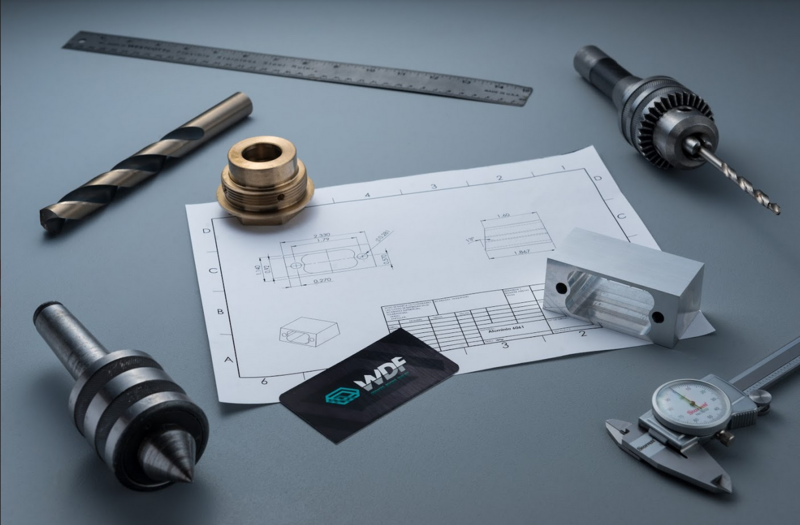 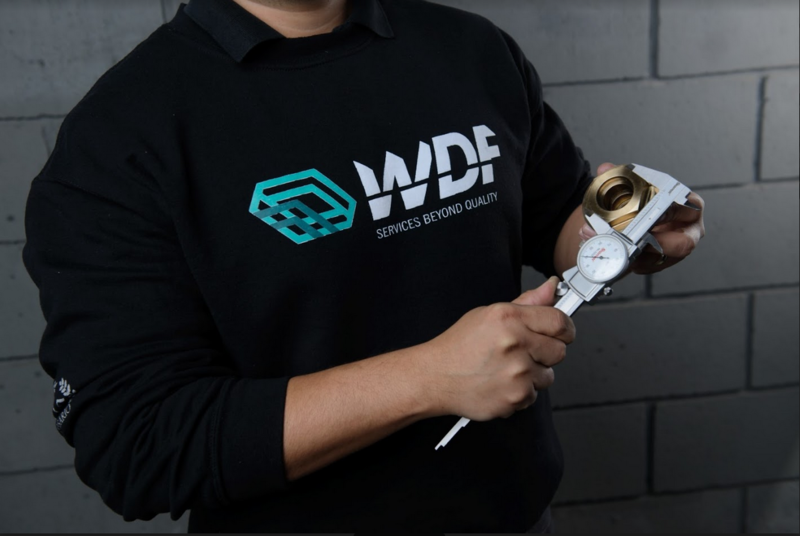 WDF offers superior quality products on time, with an excellent service attitude, at the best price possible. 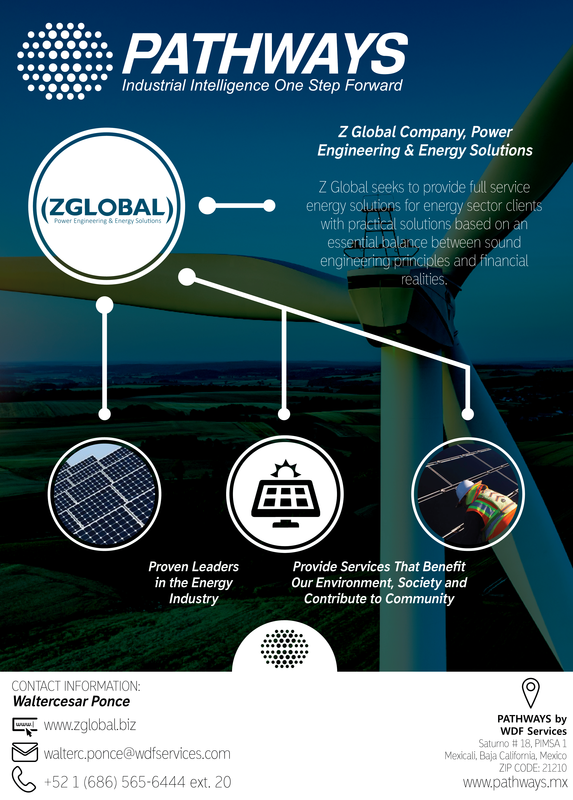 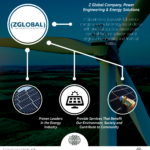 Z-Global seeks to provide full service energy solutions for energy sector clients.